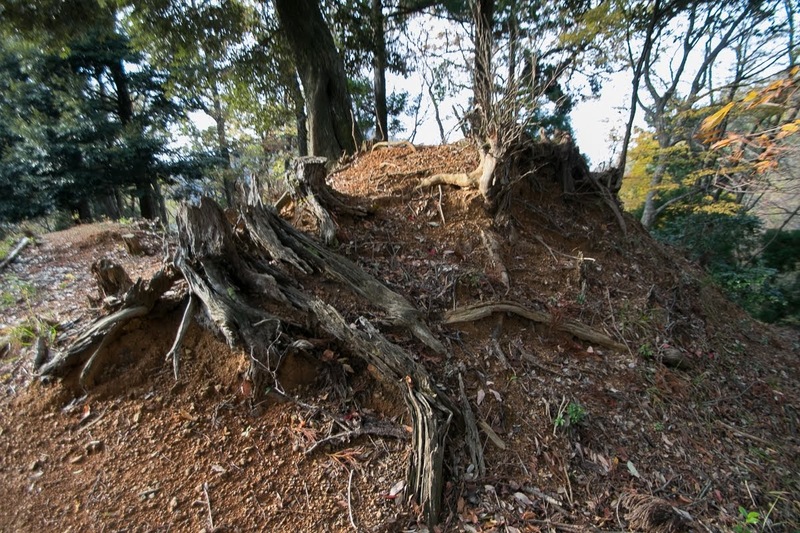 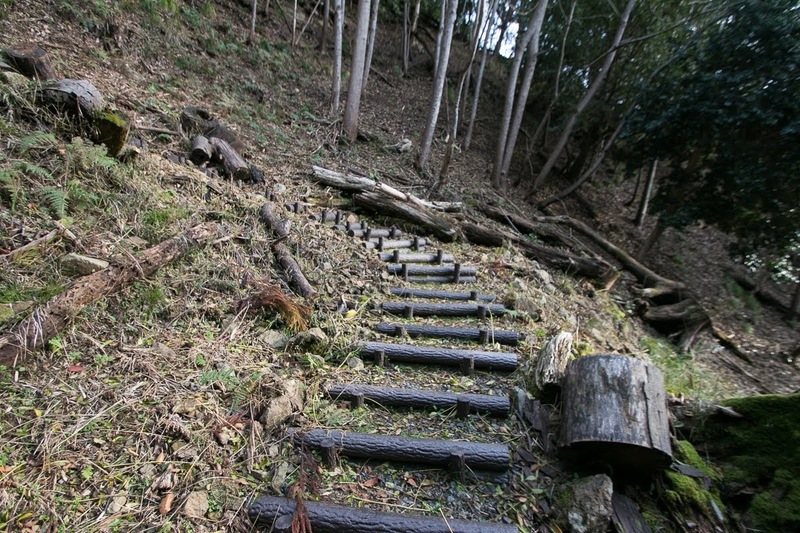 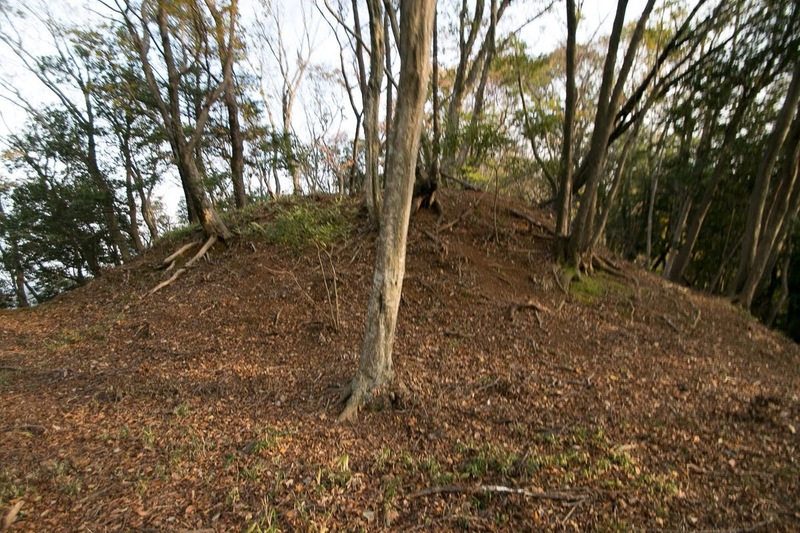 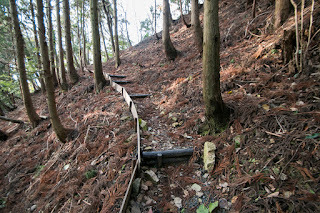 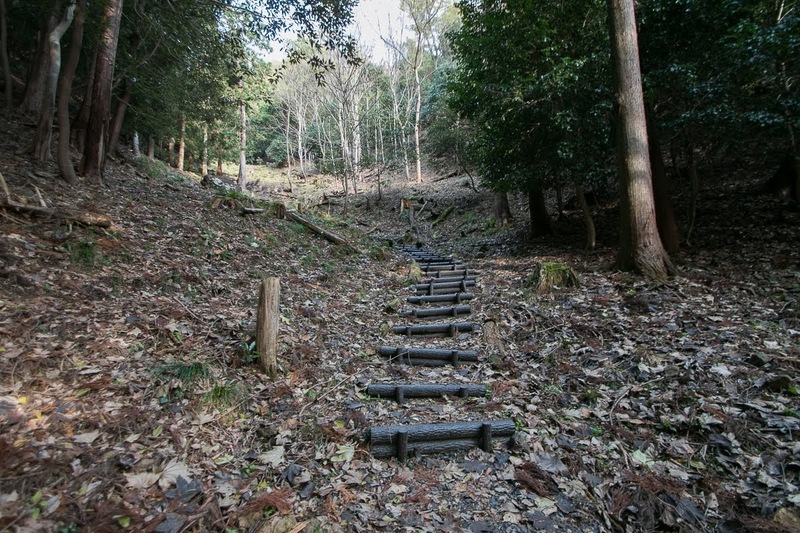 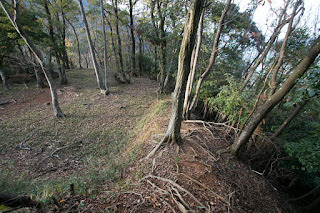 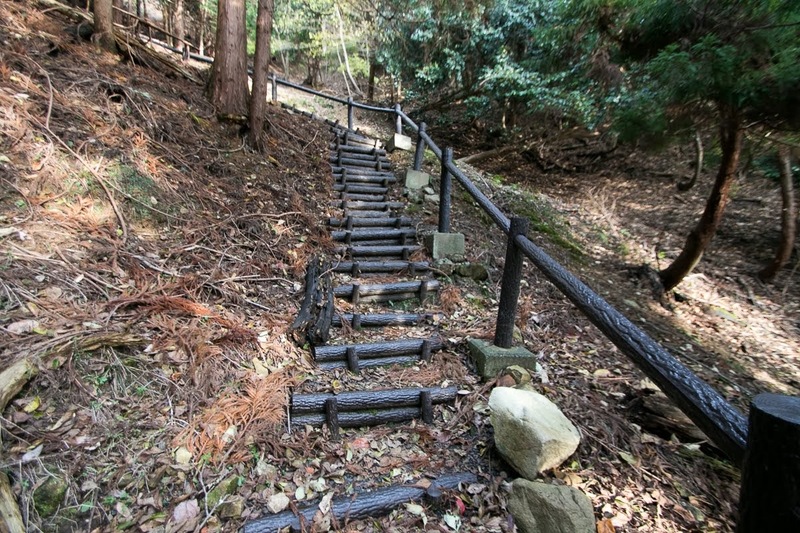 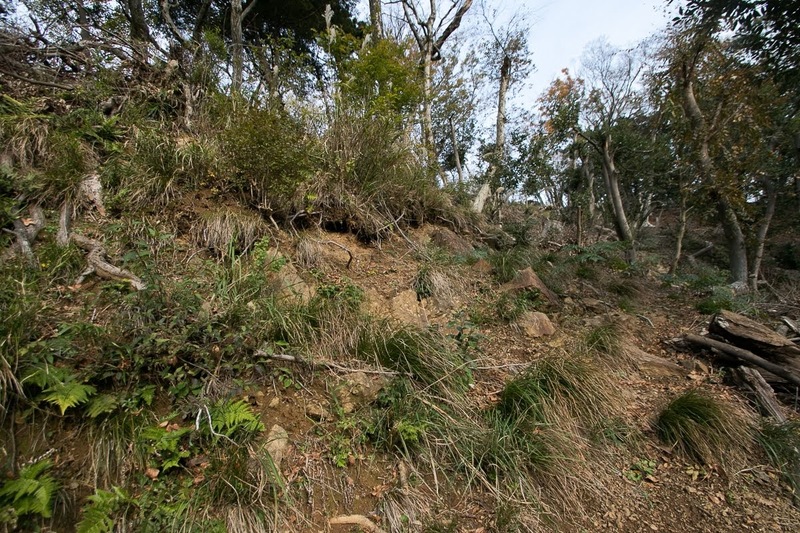 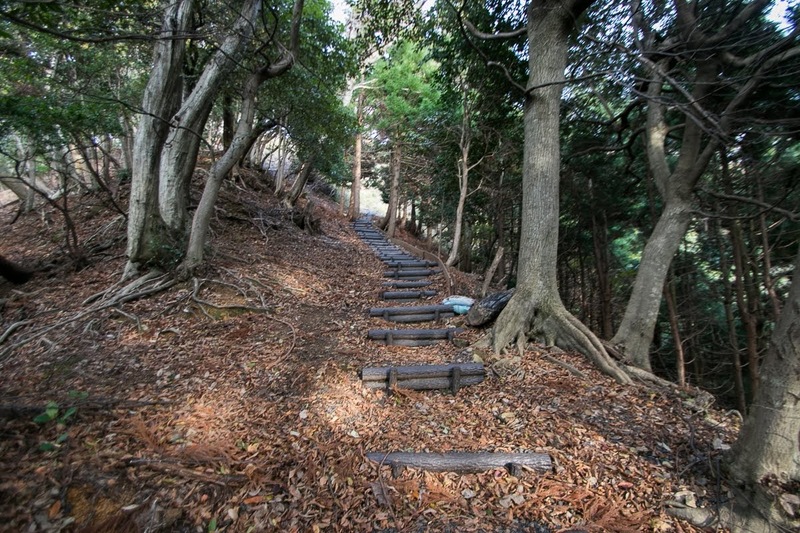 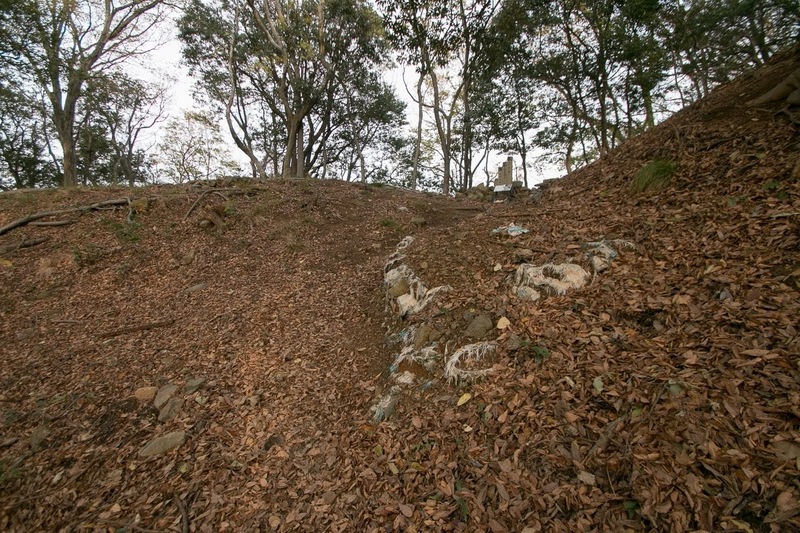 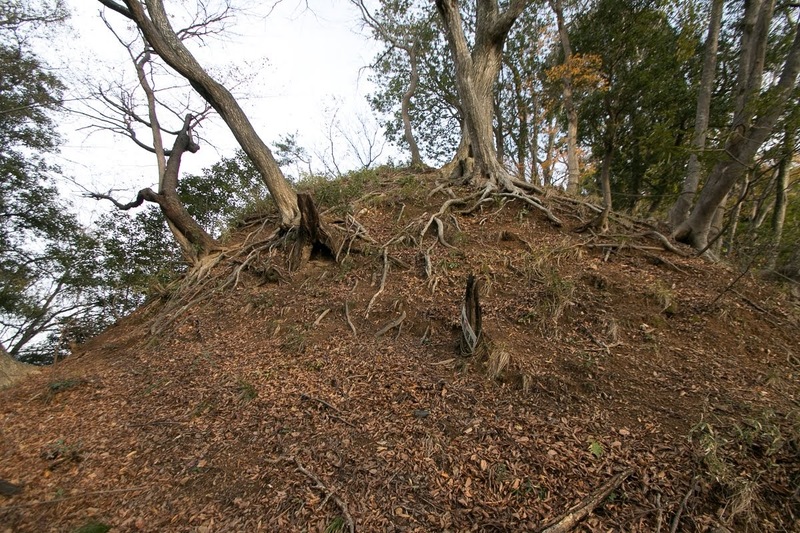 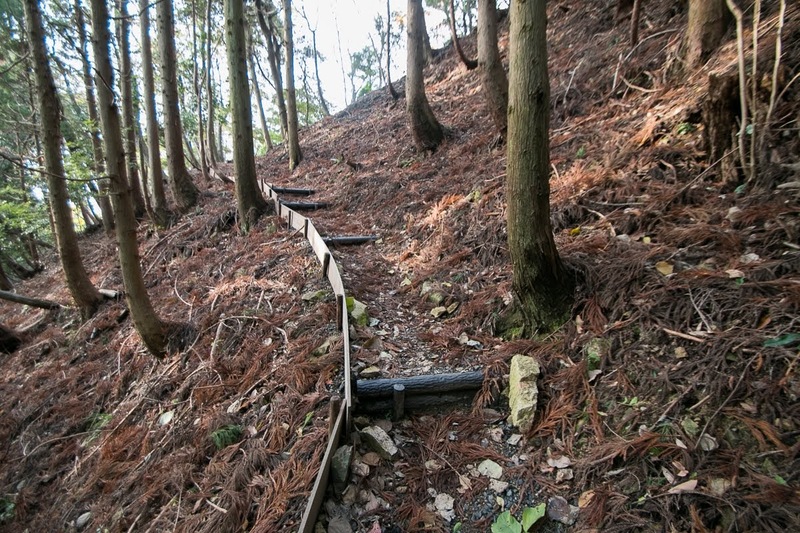 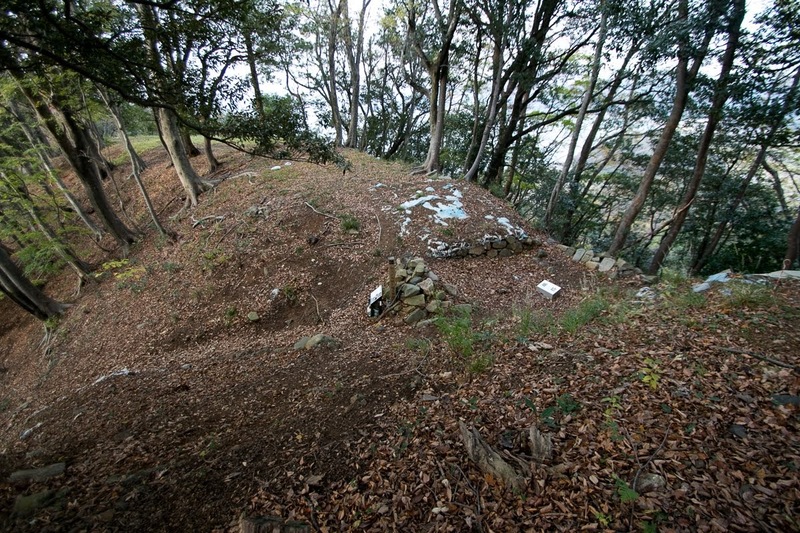 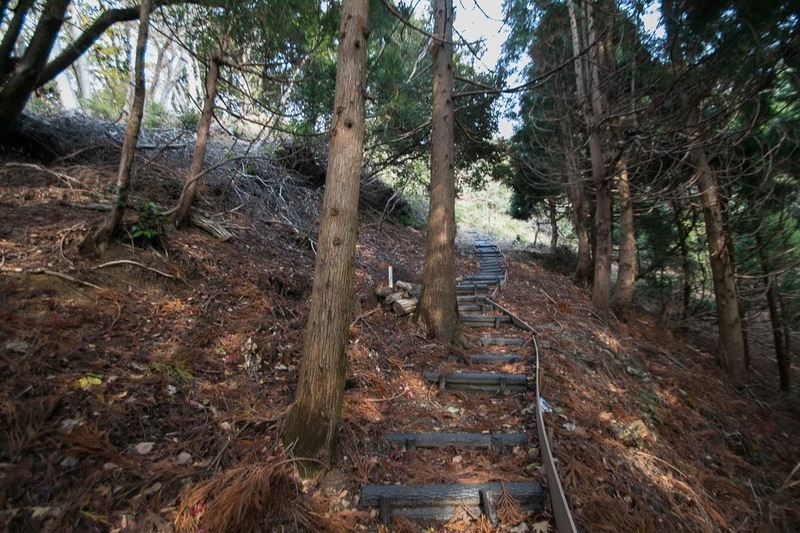 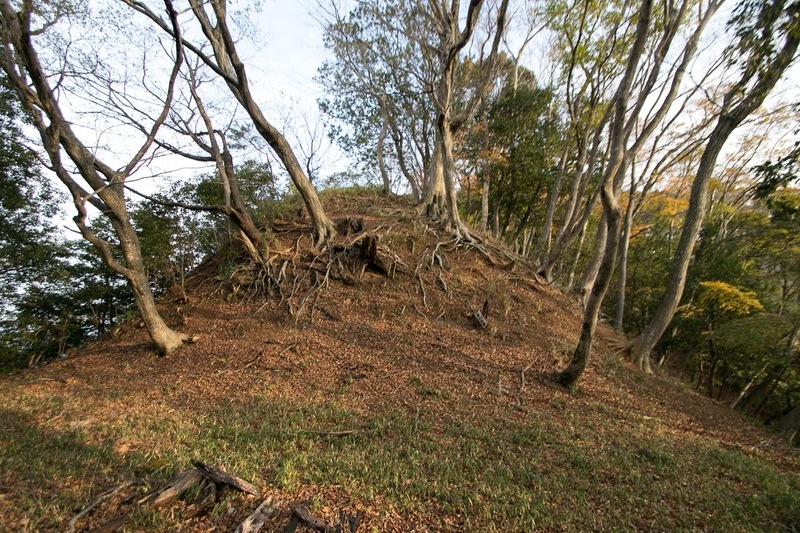 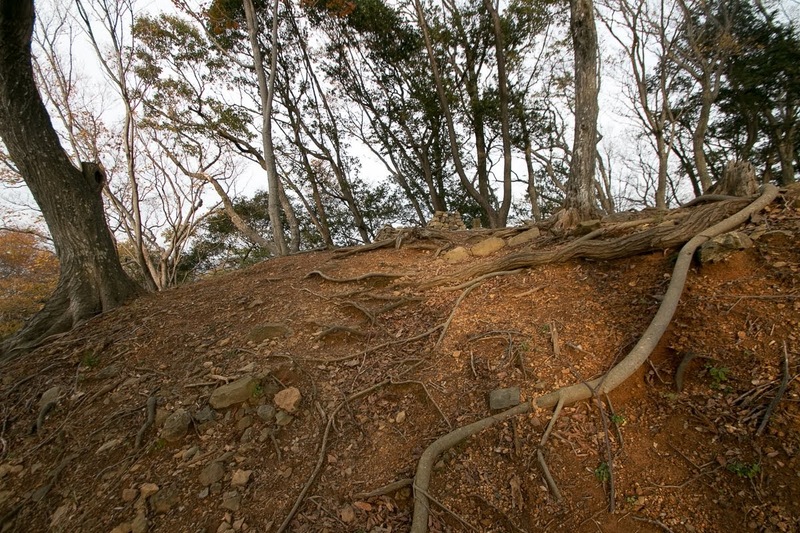 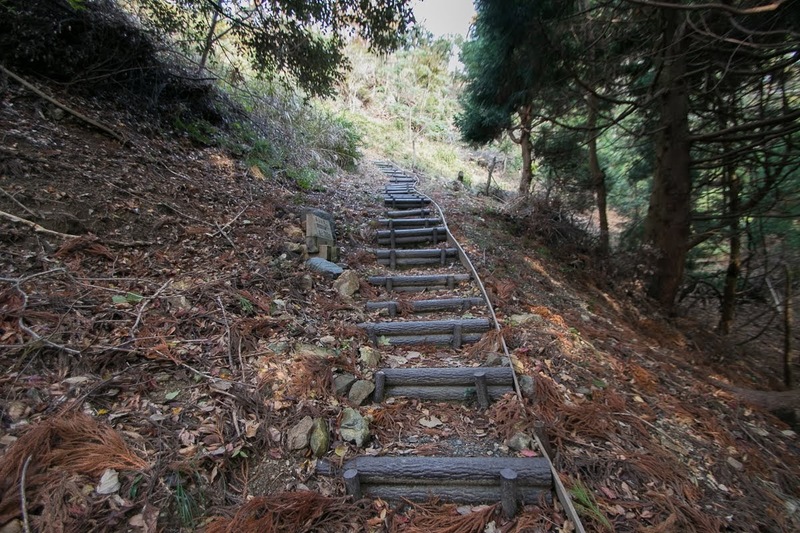 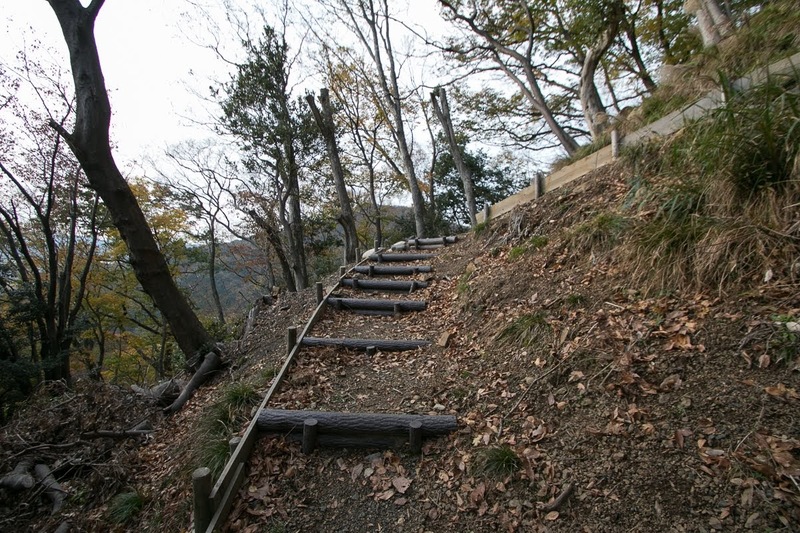 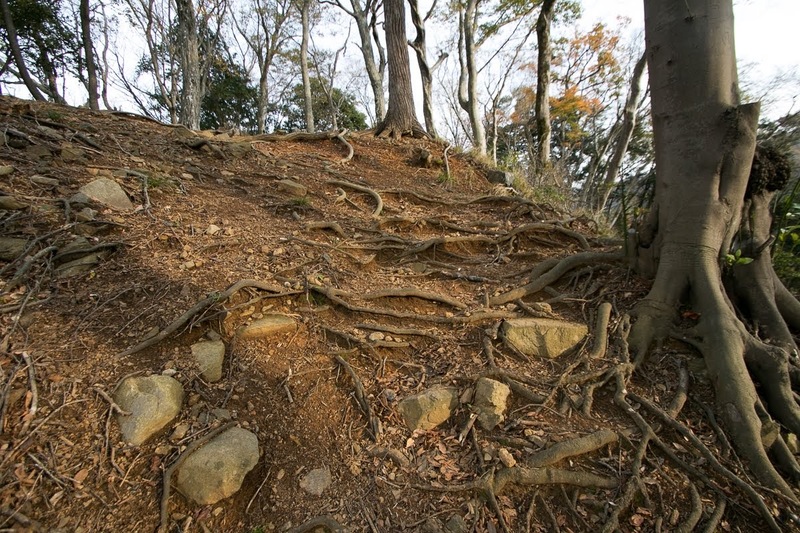 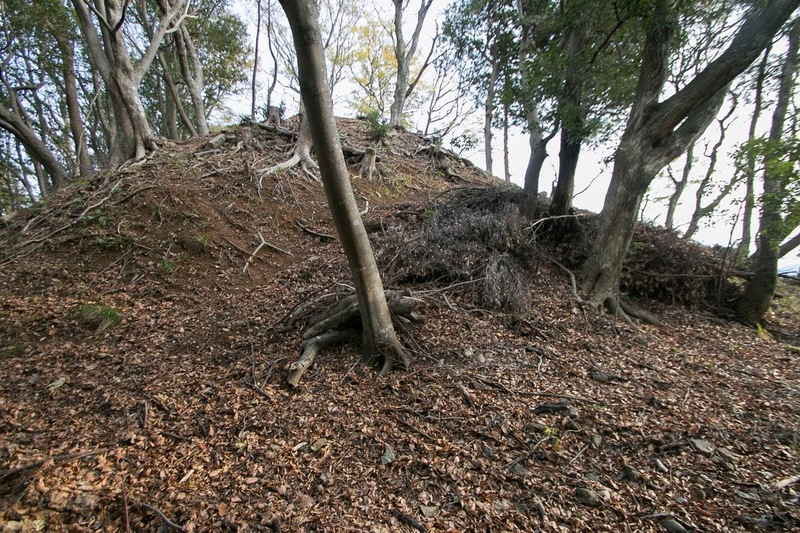 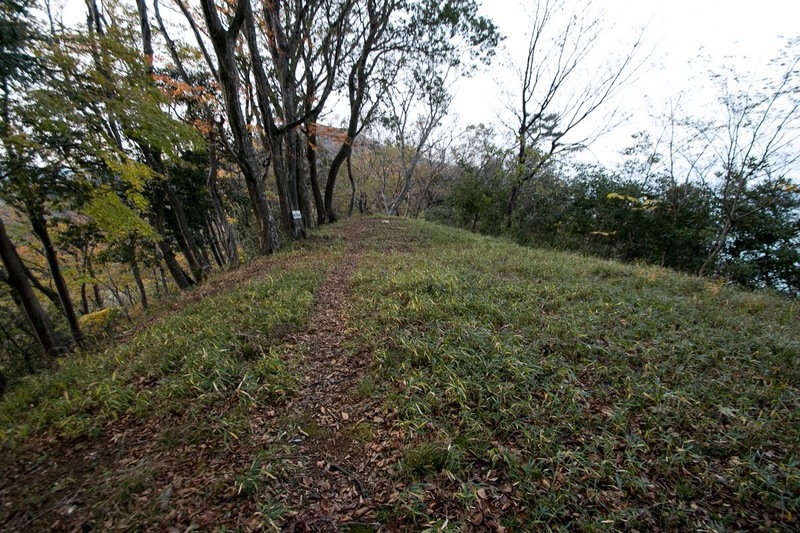 Kuniyoshi castle (国吉城) is located at the Shiroyama mountain, a 200 meter high one and located at the saddle point between Tennozan mountain and Mitakeyama mountain in Sakaki area. 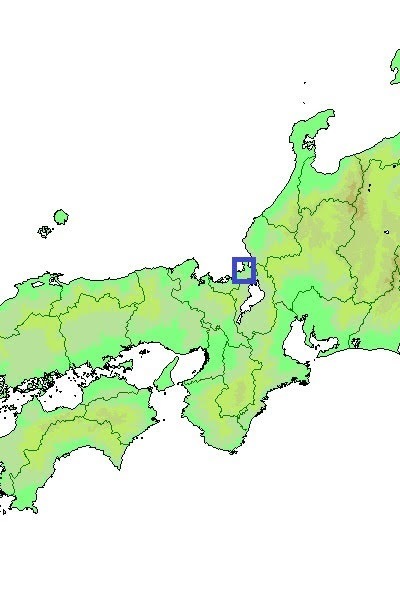 Sakaki area on which Kuniyoshi castle exists is the east end of Wakasa province (western part of Fukui prefecture), and just 20km apart from Tsuruga city, the center of western part of Echizen province (eastern part of Fukui prefecture). Around this area a narrow flat land spread along seashore, and this castle stands as if it blocks this narrow corridor. 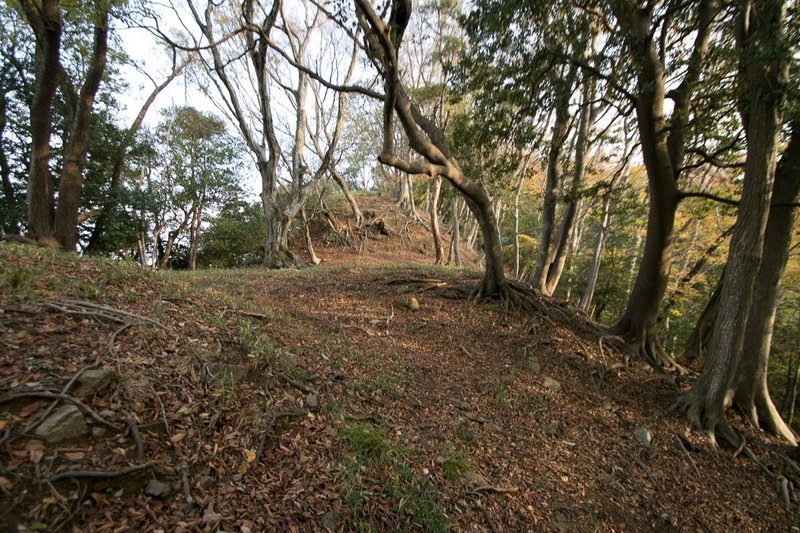 Kuniyoshi castle was built by Awaya clan, a local lord and an important retainer of Takeda clan, the house of governor of Wakasa province, in 1556. 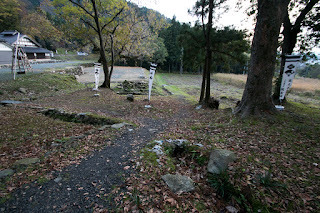 Takeda clan was a traditional clan had same origin as famous Takeda clan in Kai province, and once had a power to intervene the politics of central area. 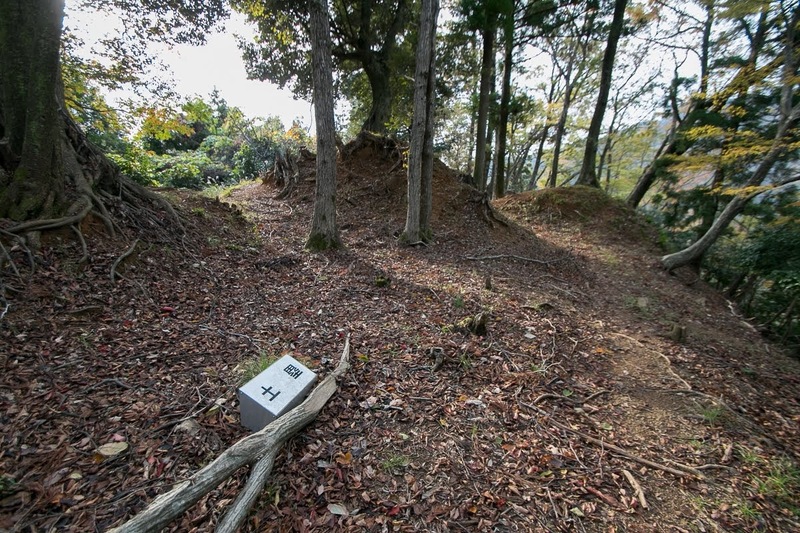 But since the latter half of 15th century, due to premature death of leaders and internal conflict the power of the clan significantly decreased, and major retainer of Takeda clan including Awaya clan seek independence from their master. After 1550’s, there arouse continuous internal conflict among Takeda clan. 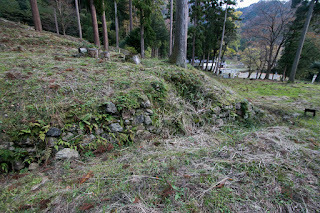 At first, Nobutoyo Takeda (1514-? ), the sixth leader of Takeda clan, and Yoshizumi takeda (1526-1567), son of Nobutoyo, fought for retirement of Nobutoyo and succession of Yoshizumi. 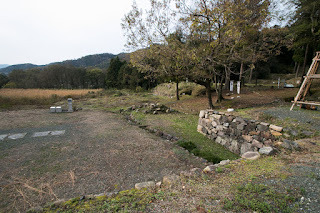 Yoshizumi who became the seventh leader expelled his younger brother, and finally conflicted with his son Motoaki Takeda (1562-1582). 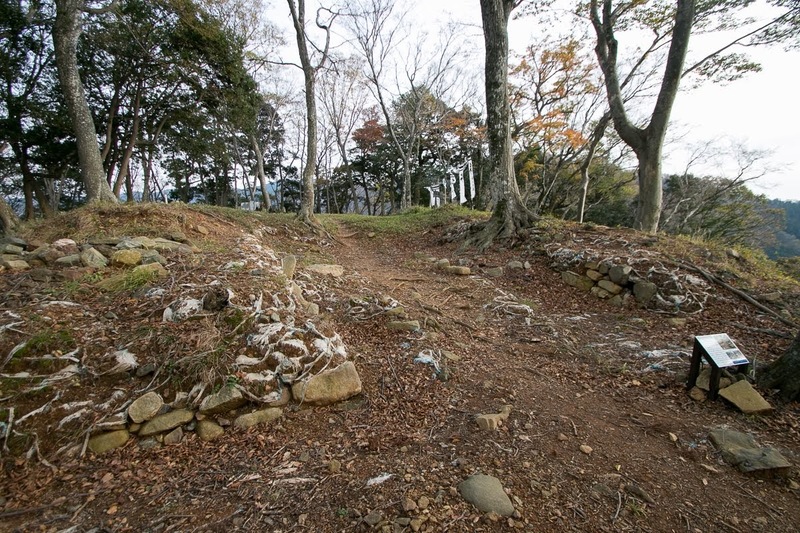 During this process, Nobutoyo asked assistance from Asakura clan, and Asakura clan sent large army to Wakasa country. 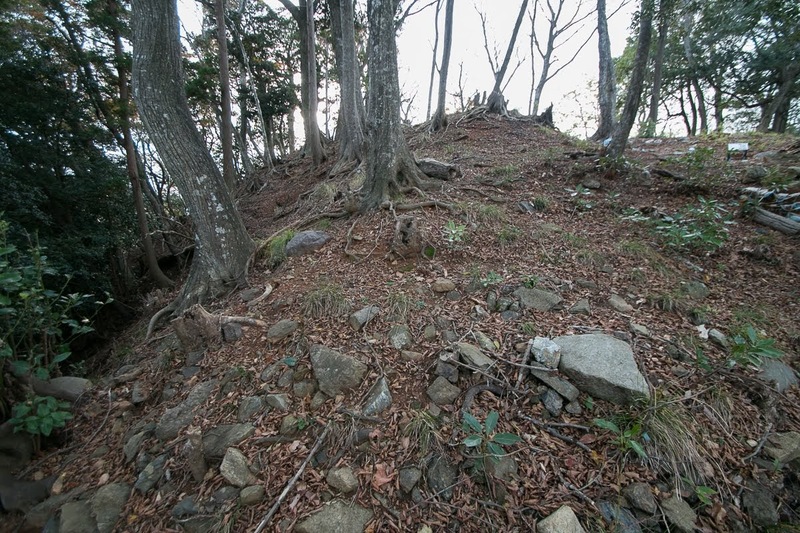 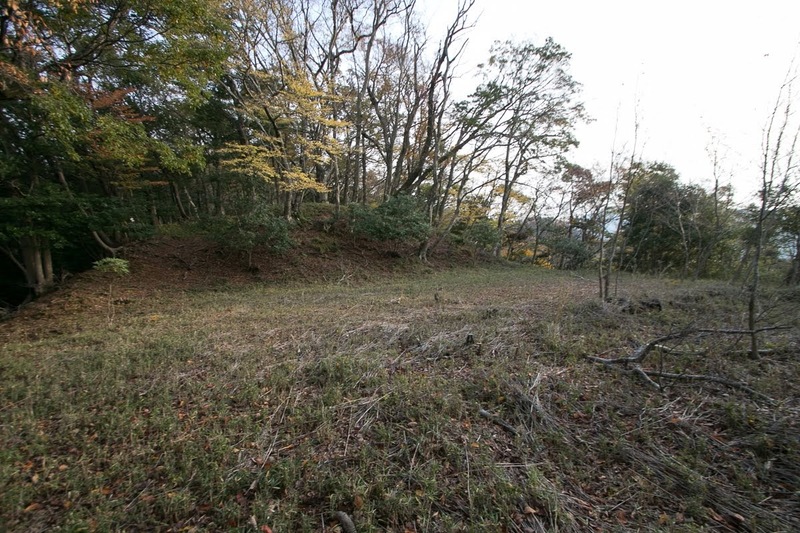 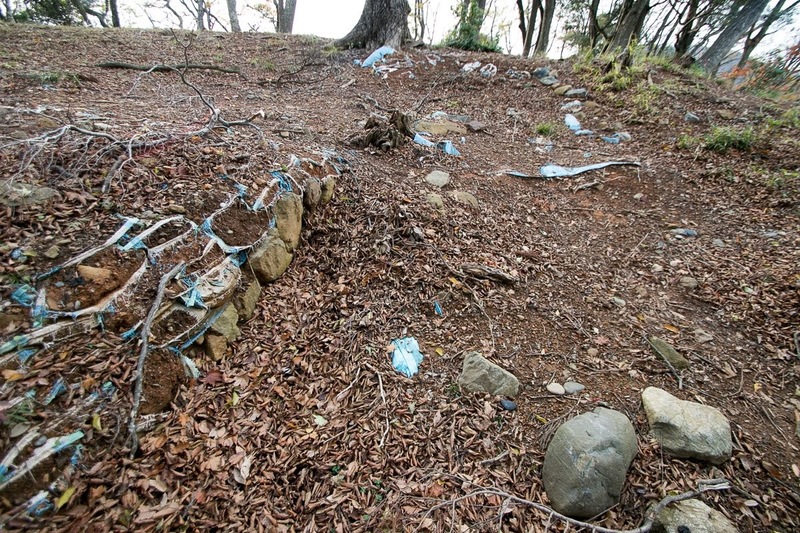 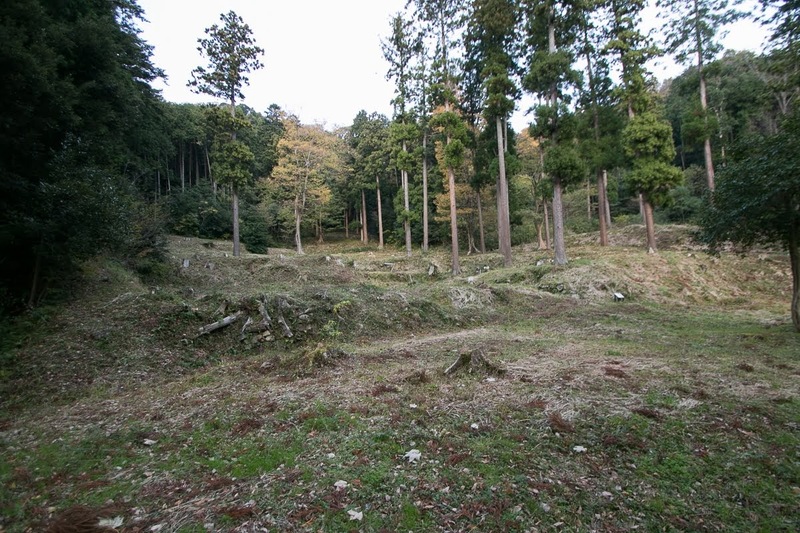 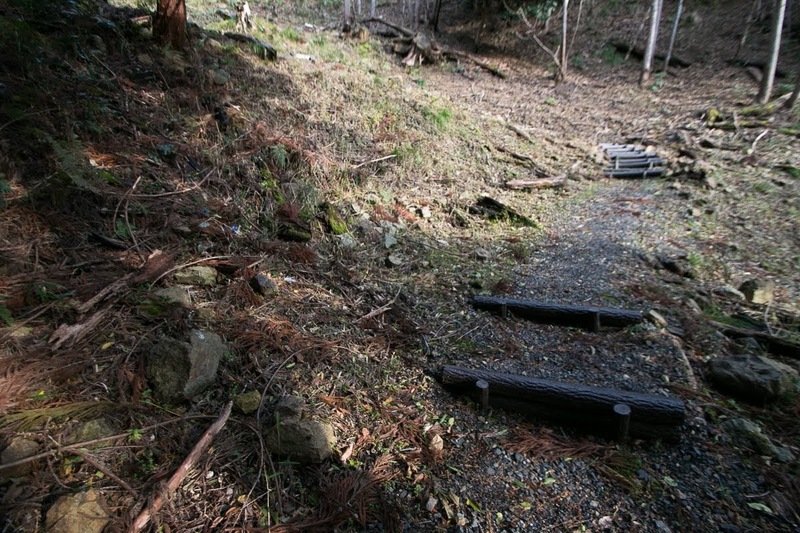 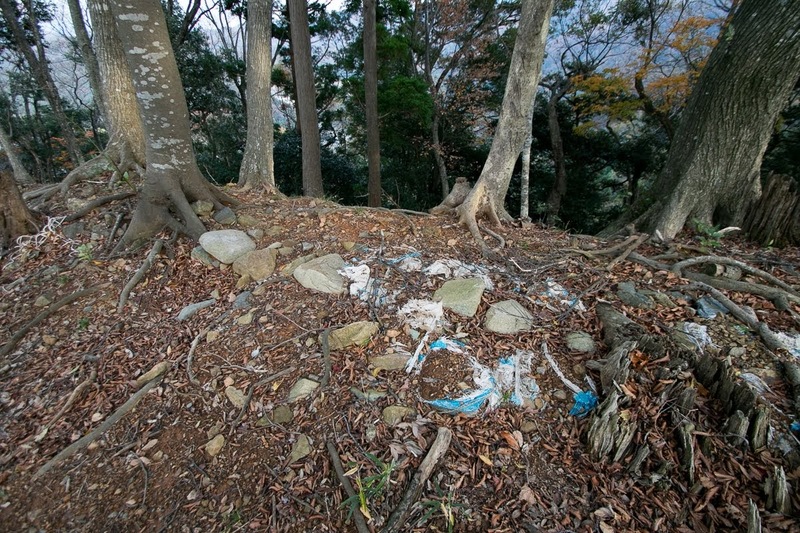 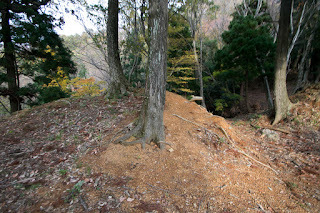 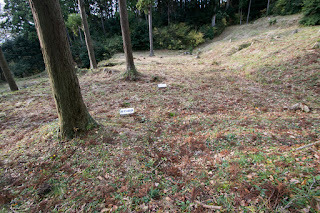 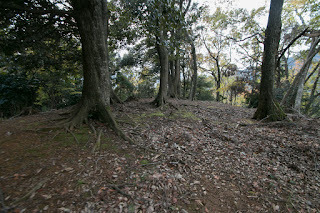 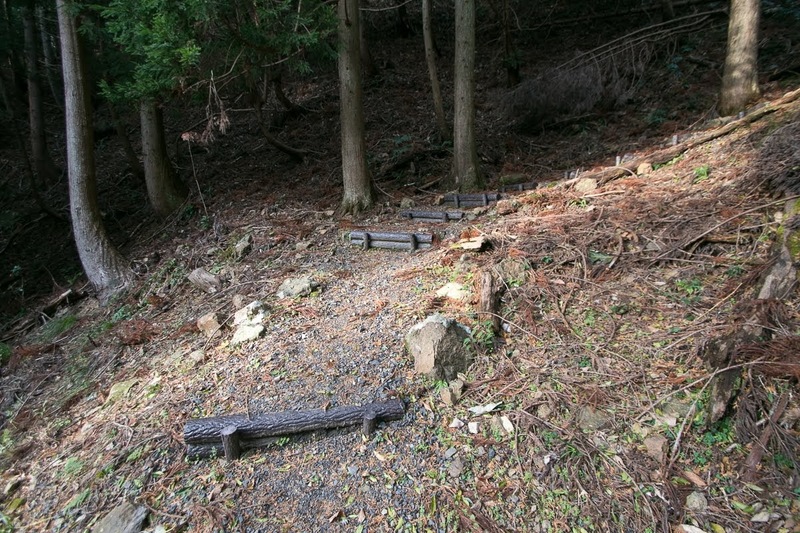 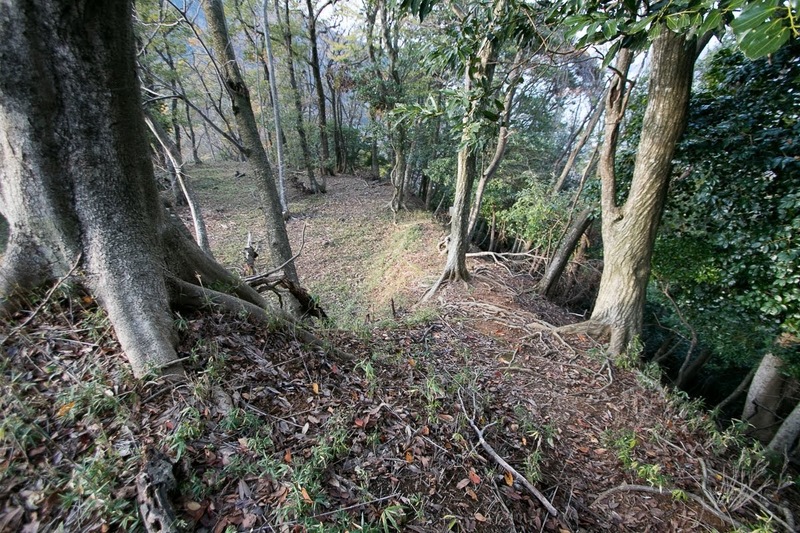 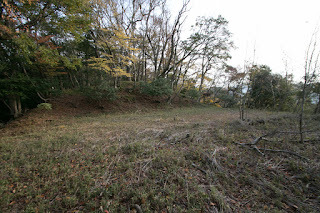 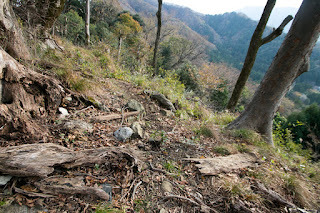 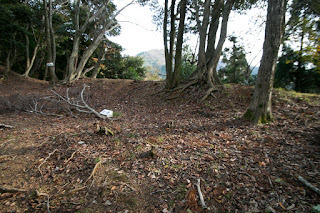 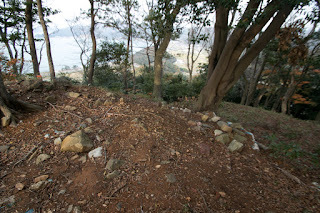 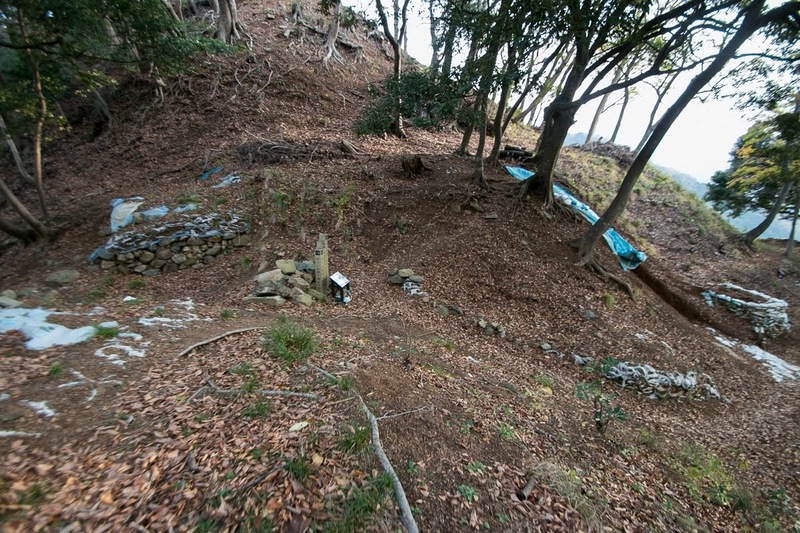 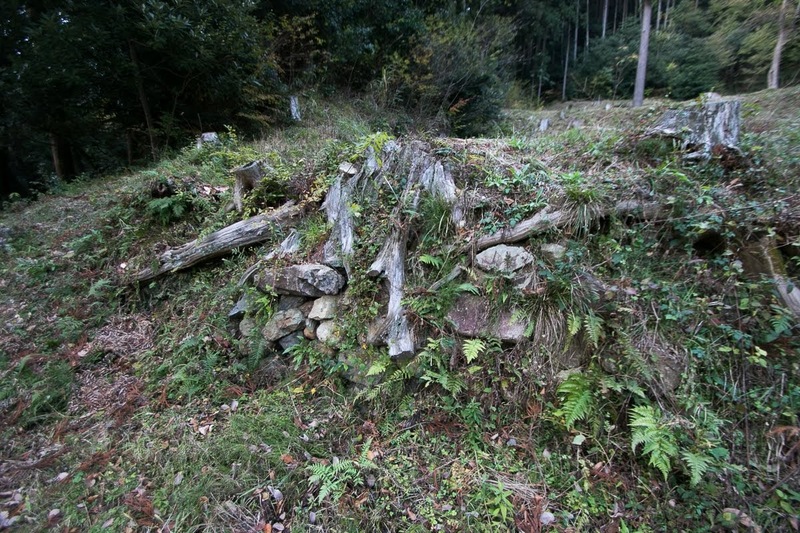 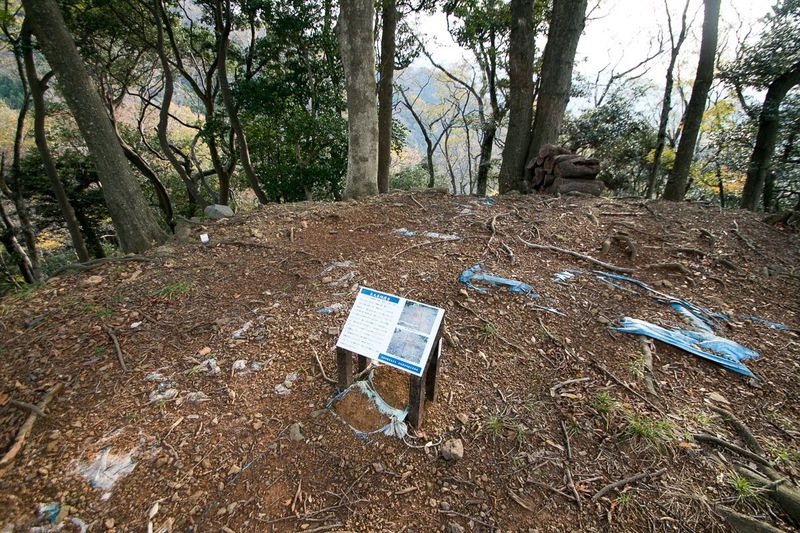 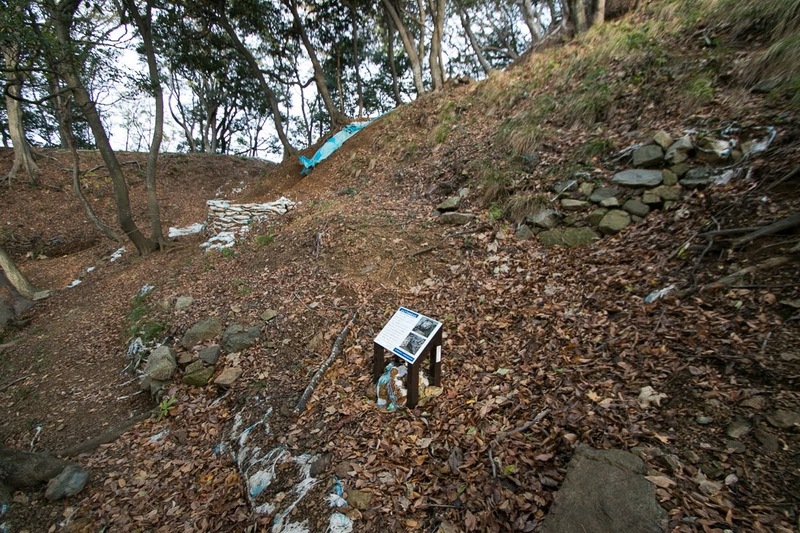 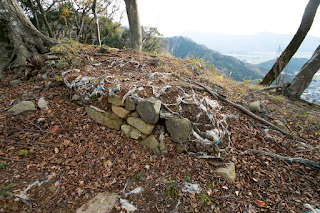 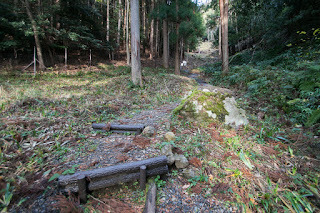 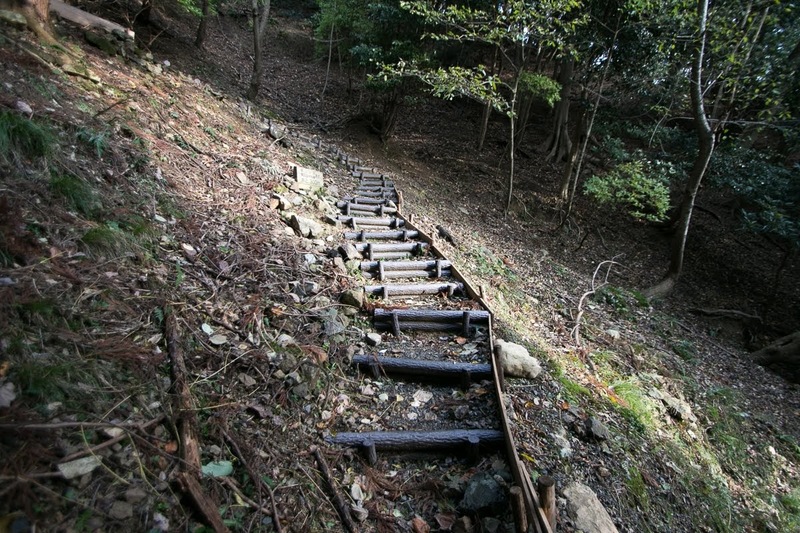 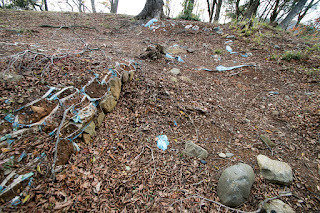 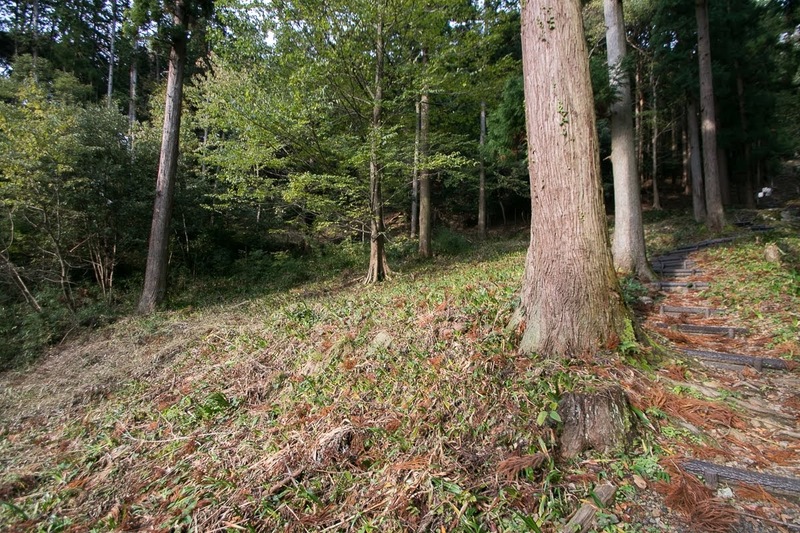 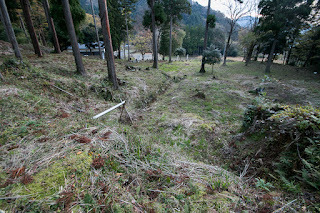 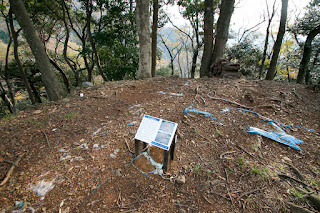 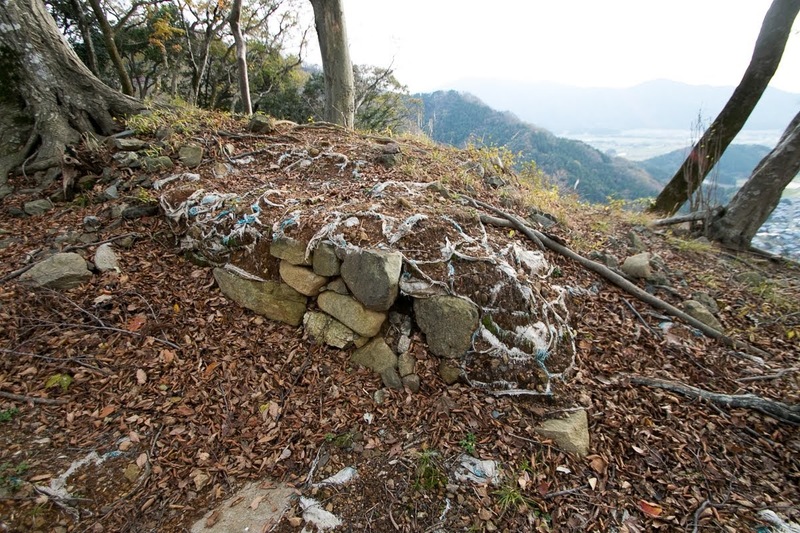 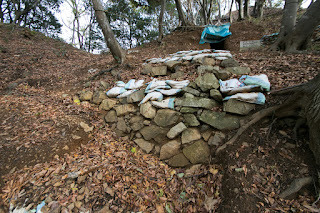 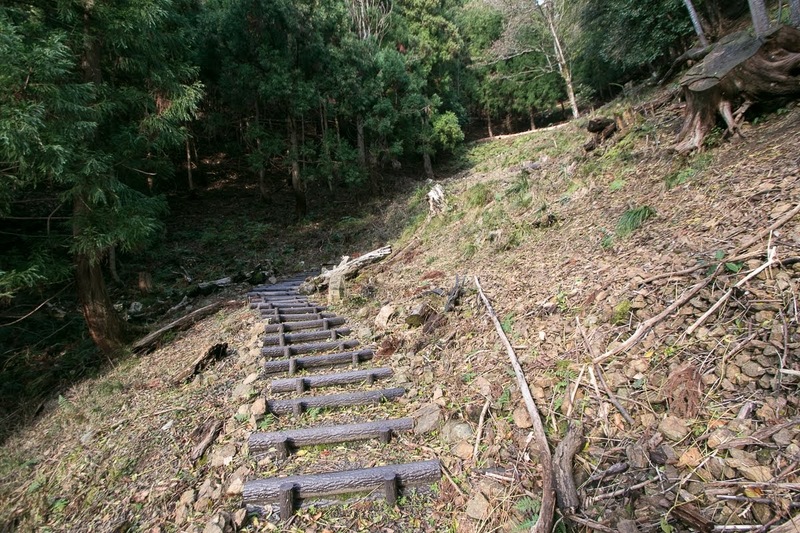 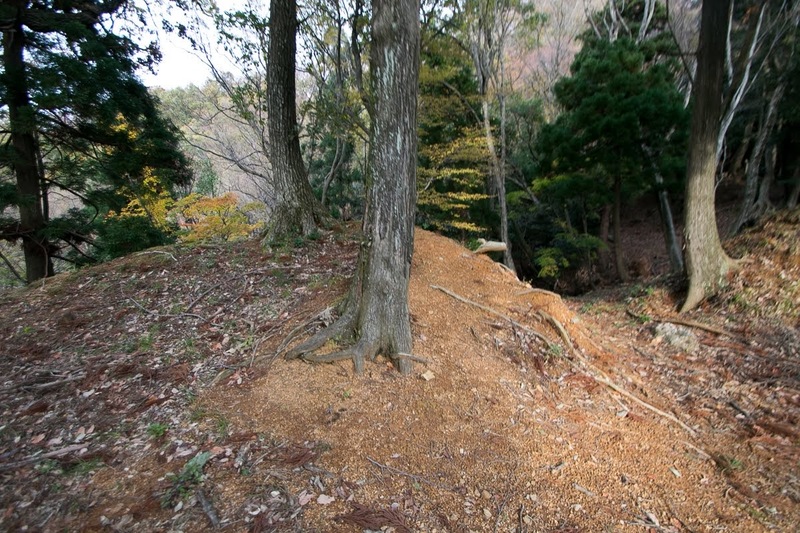 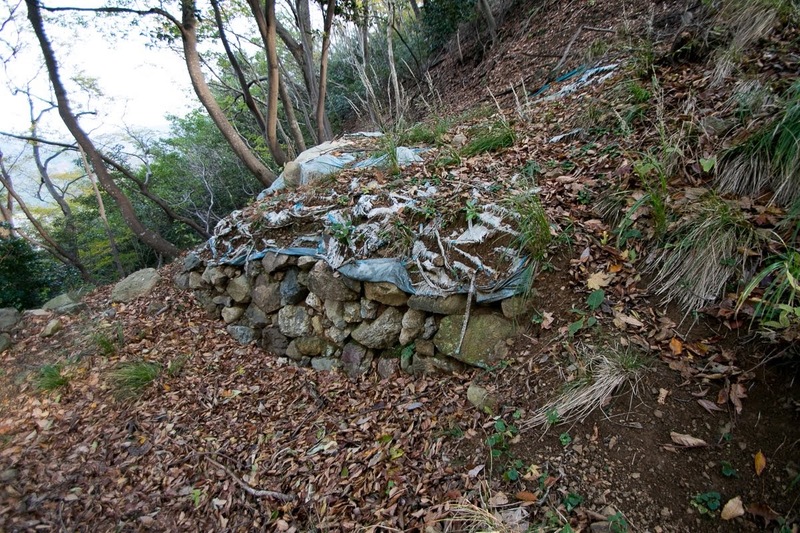 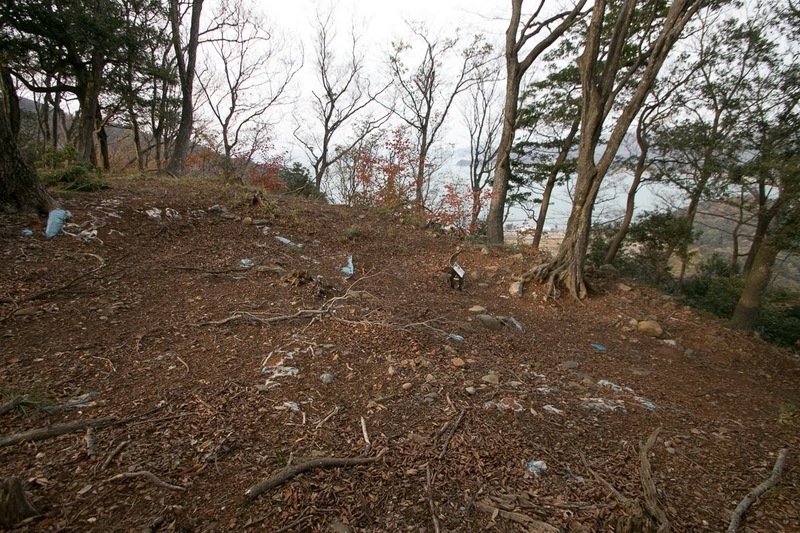 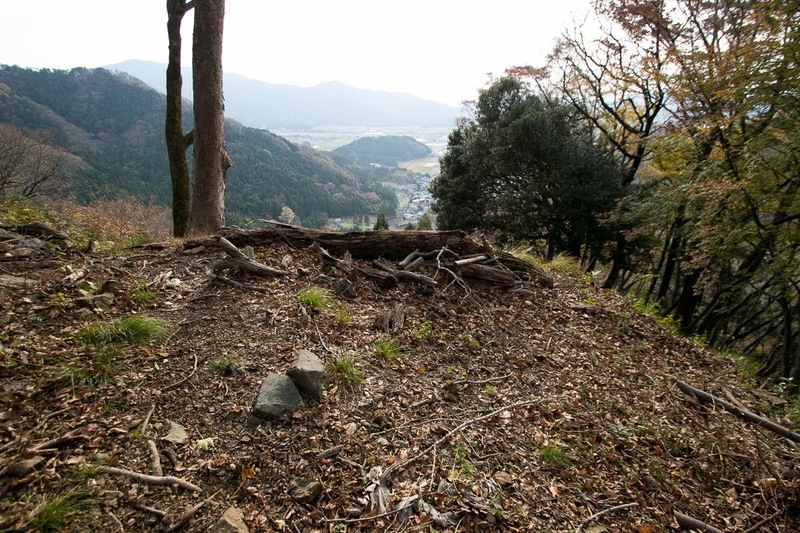 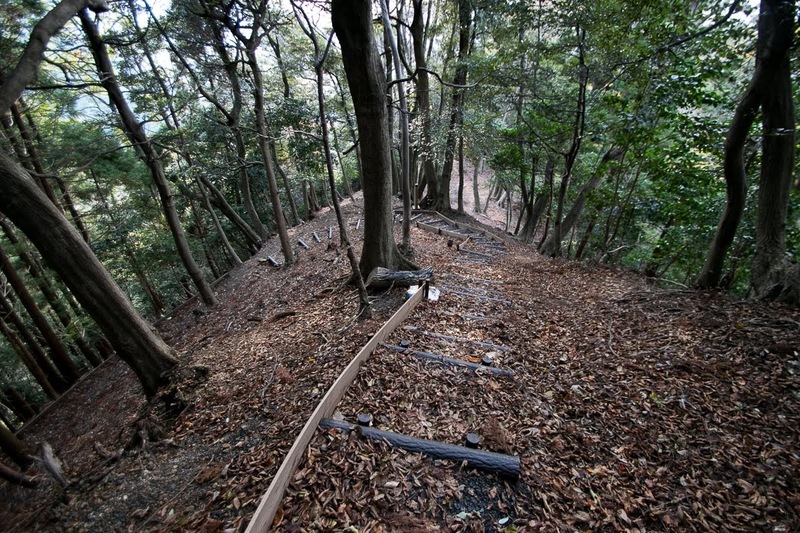 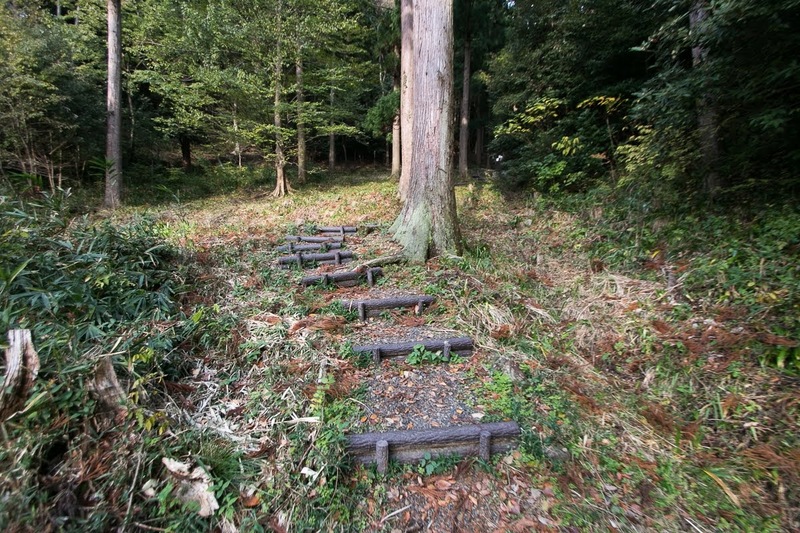 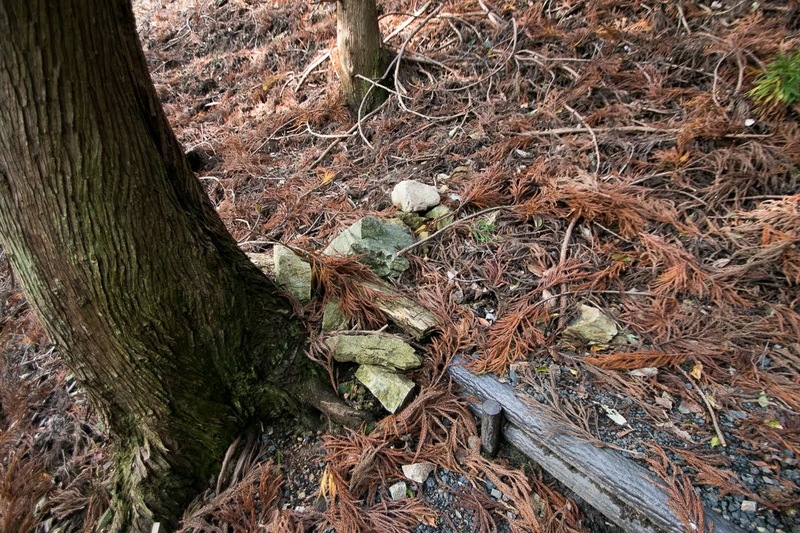 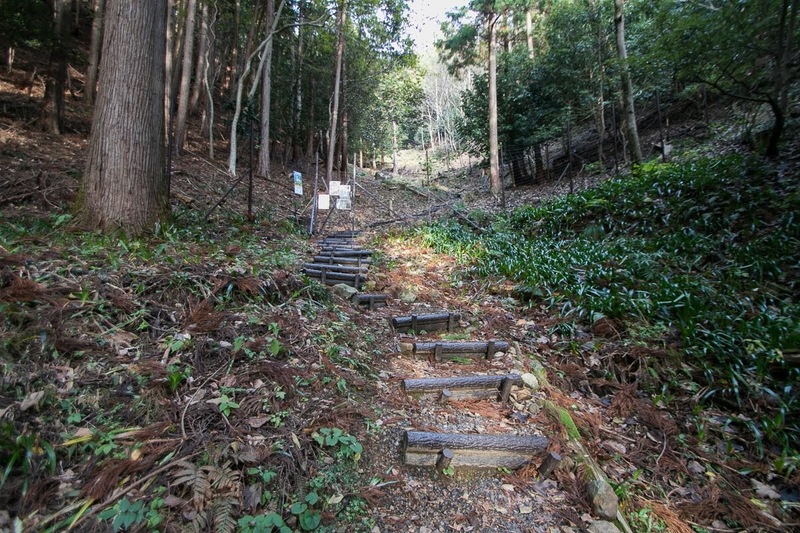 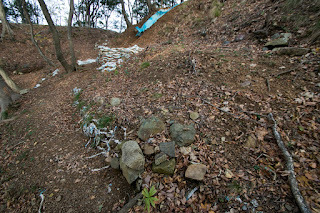 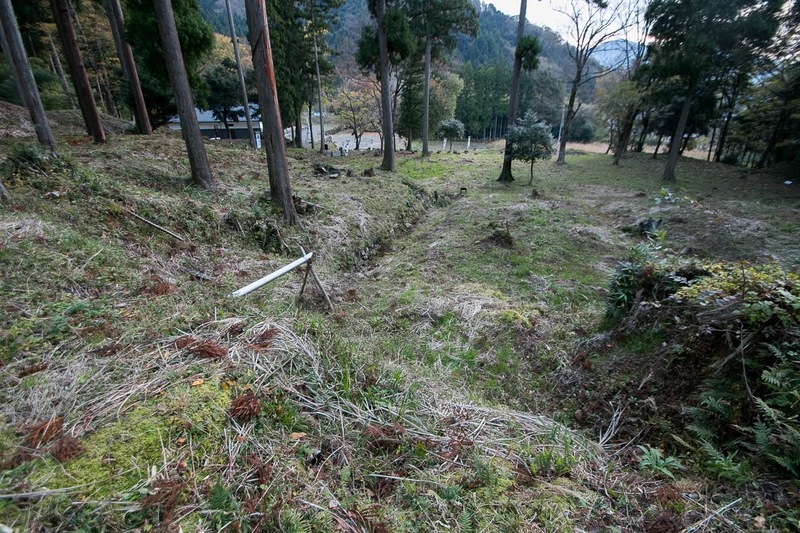 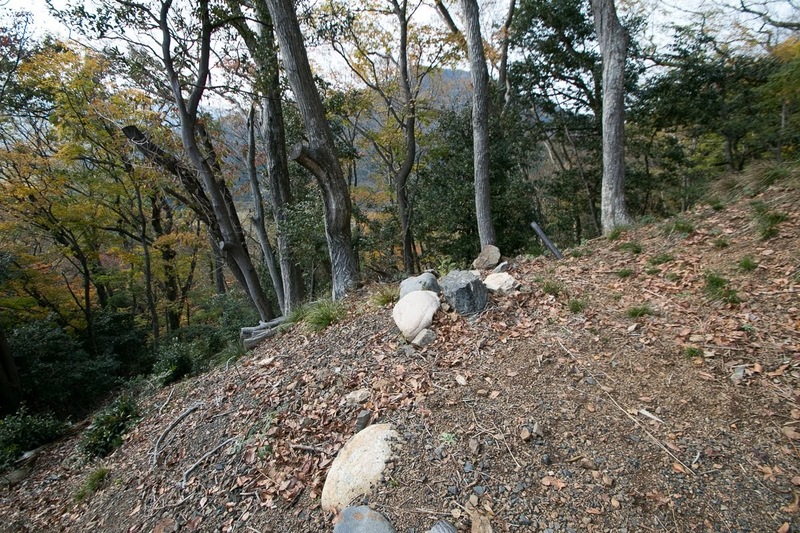 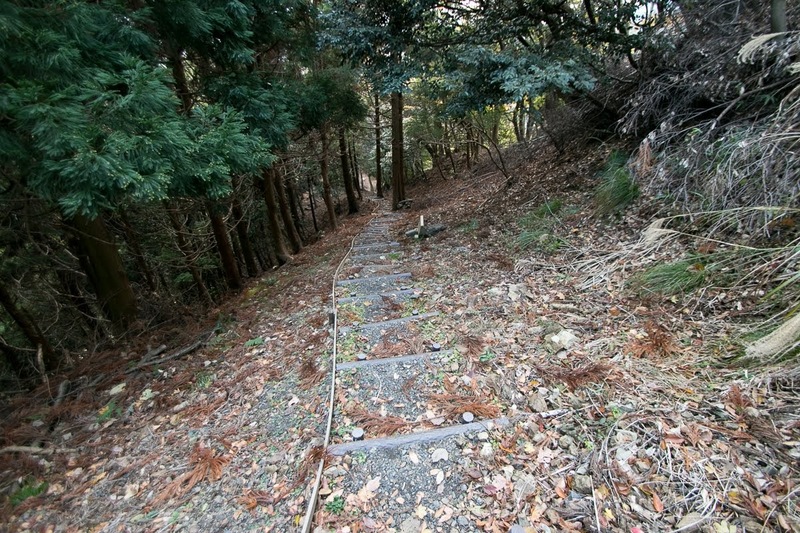 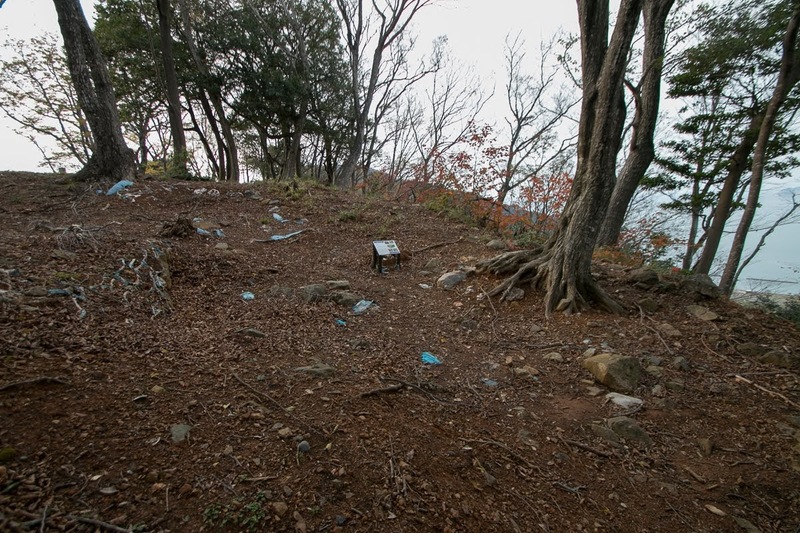 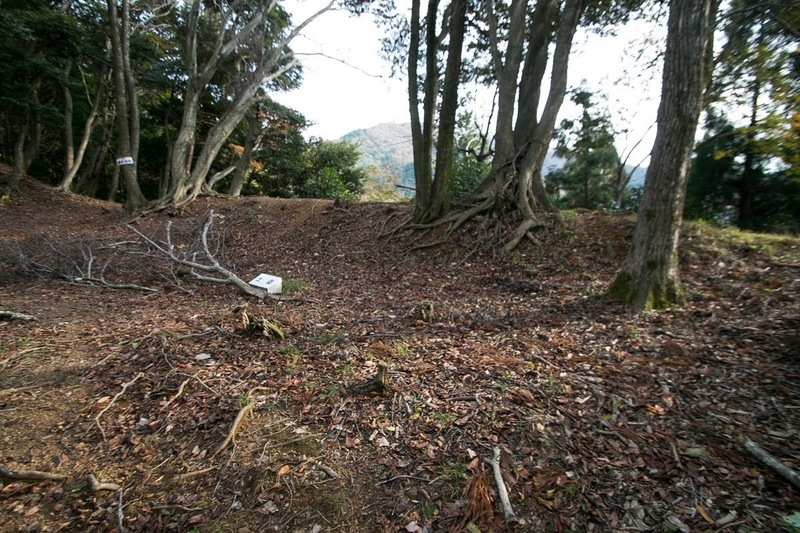 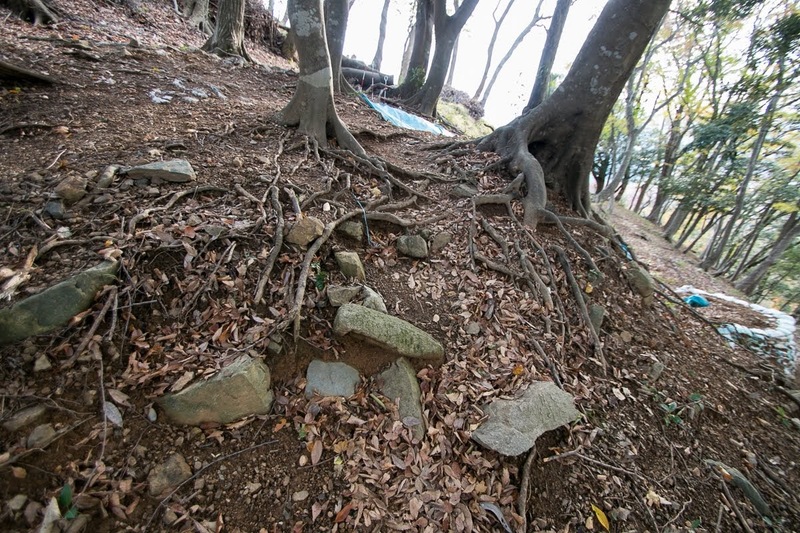 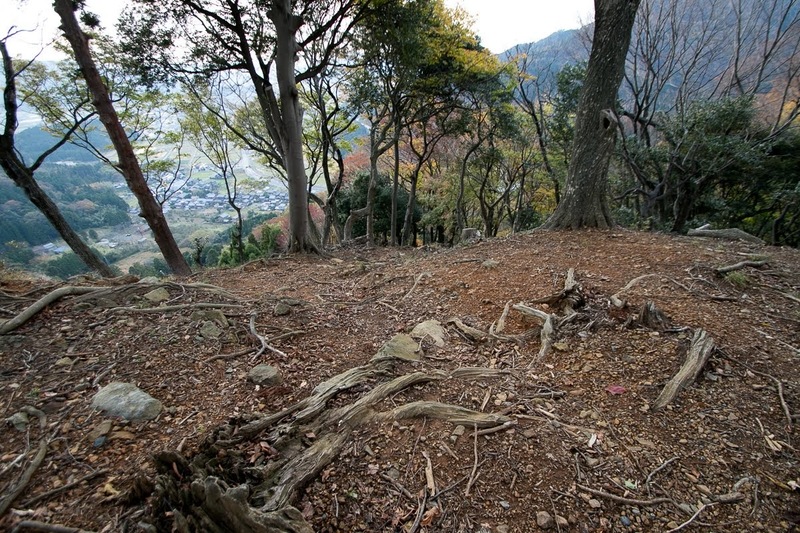 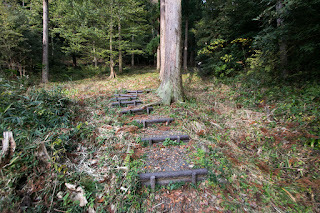 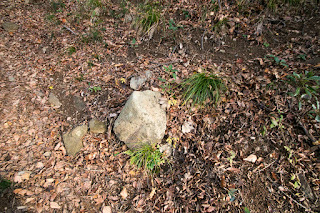 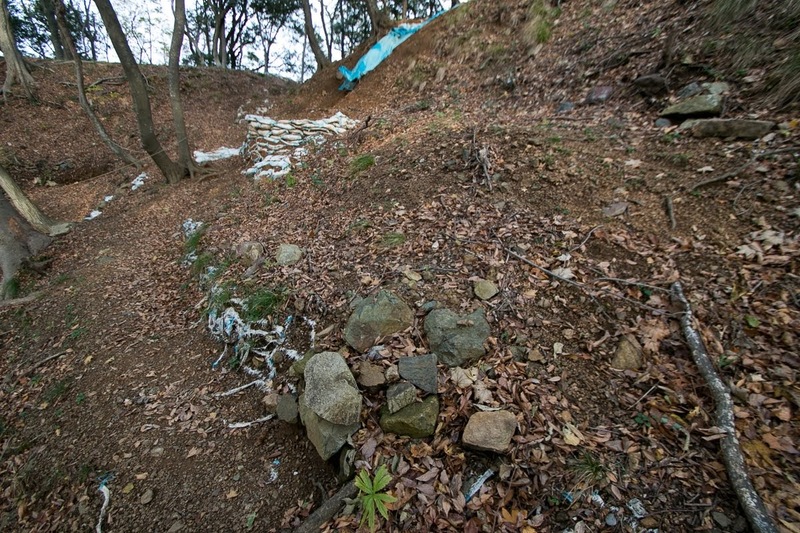 Facing such situation, local lords including Awaya clan resisted to Yoshizumi and Asakura clan. 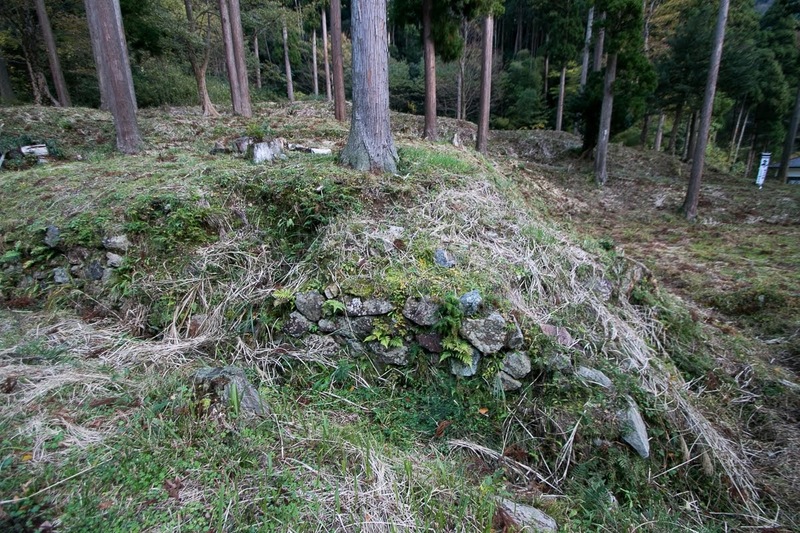 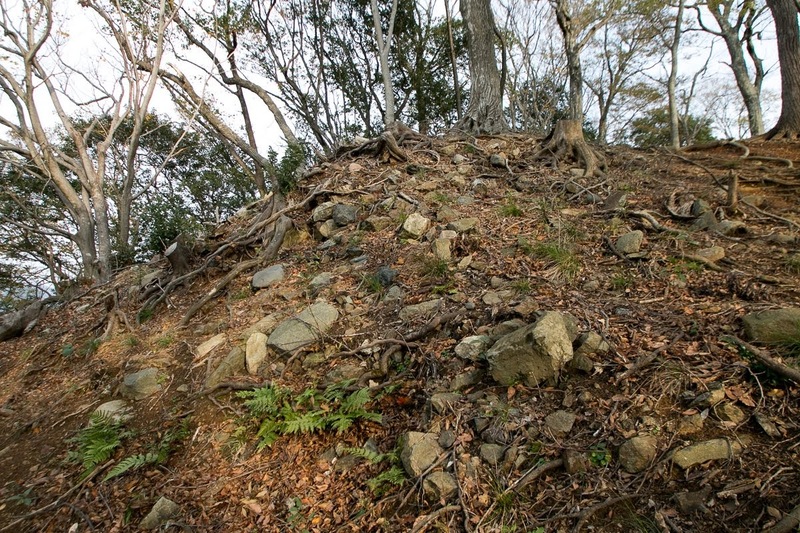 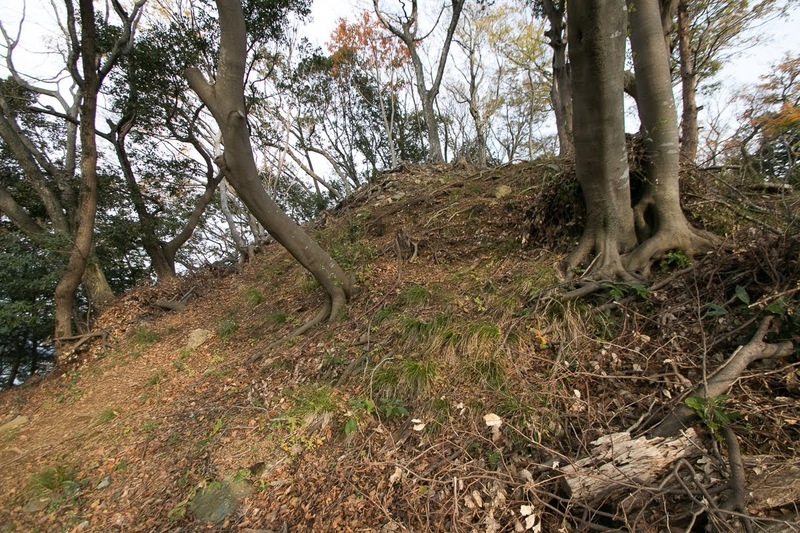 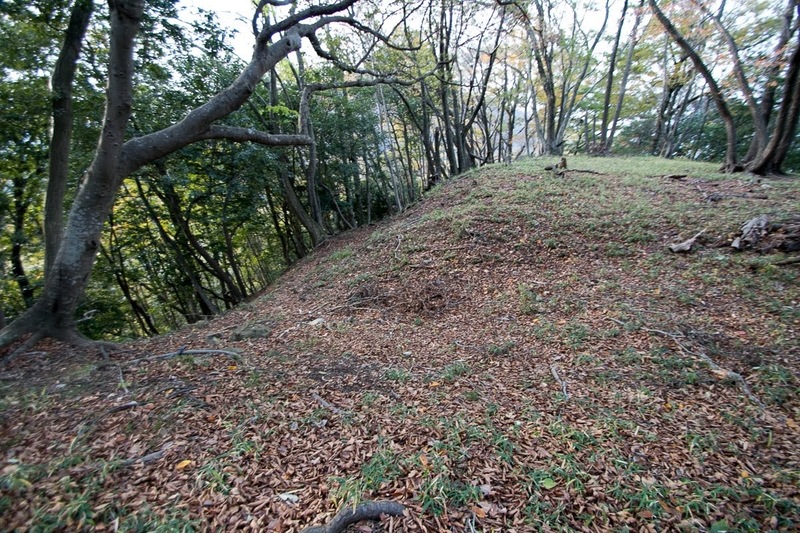 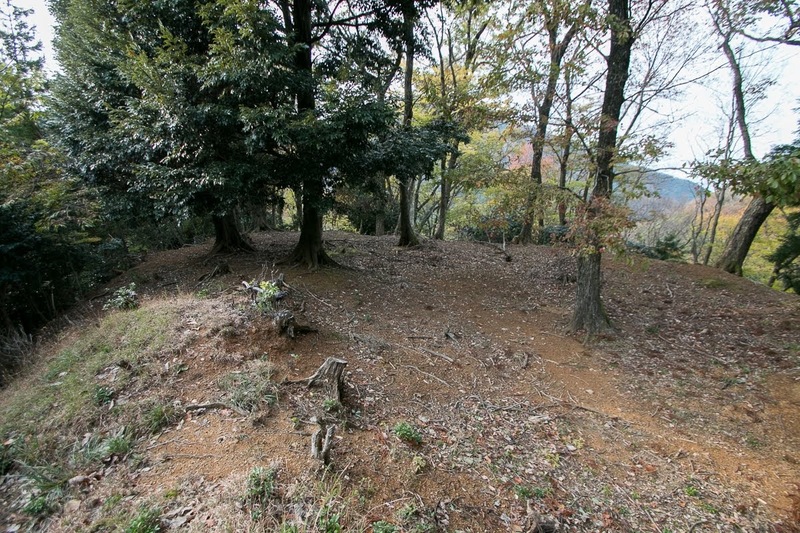 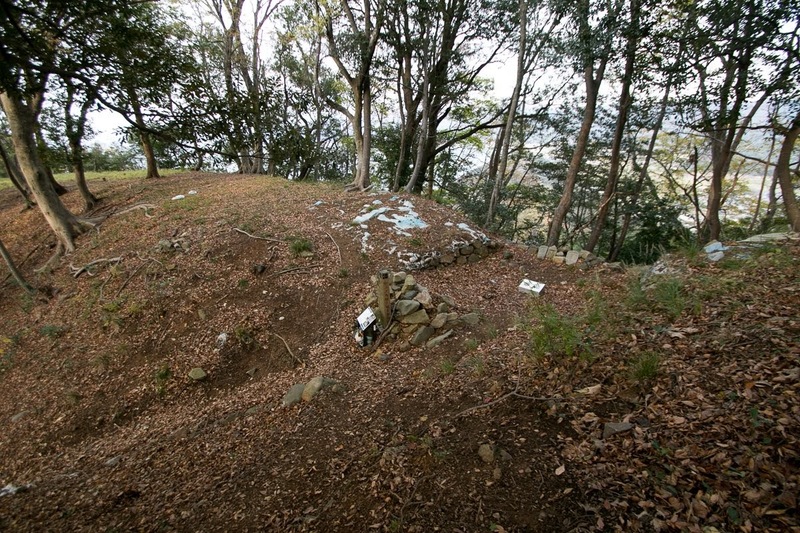 In 1563, large army of Asakura clan assaulted Kuniyoshi castle, but Katsuhisa Awaya (?-? 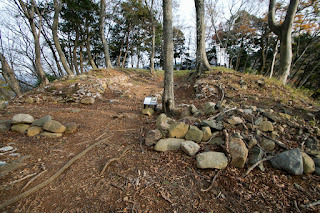 ), leader of the clan, was besieged at the castle and drove them back. 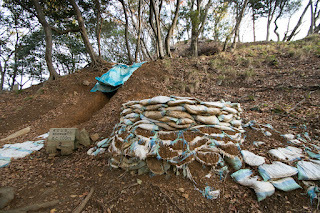 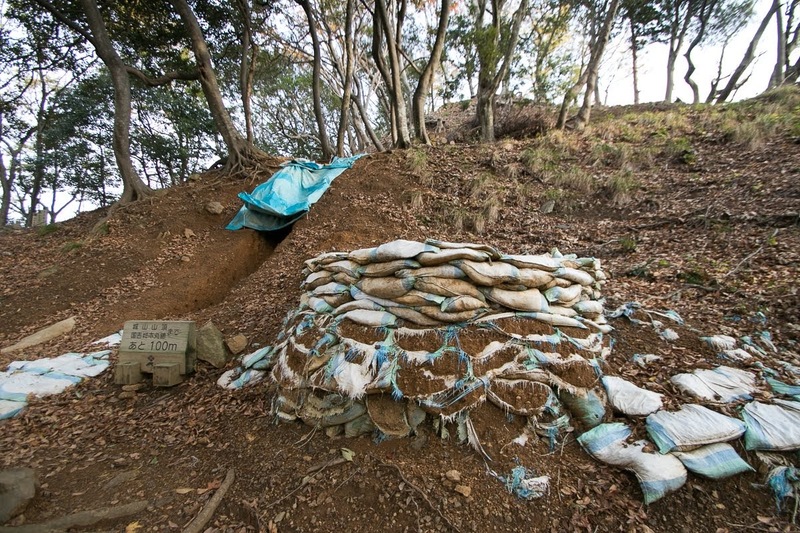 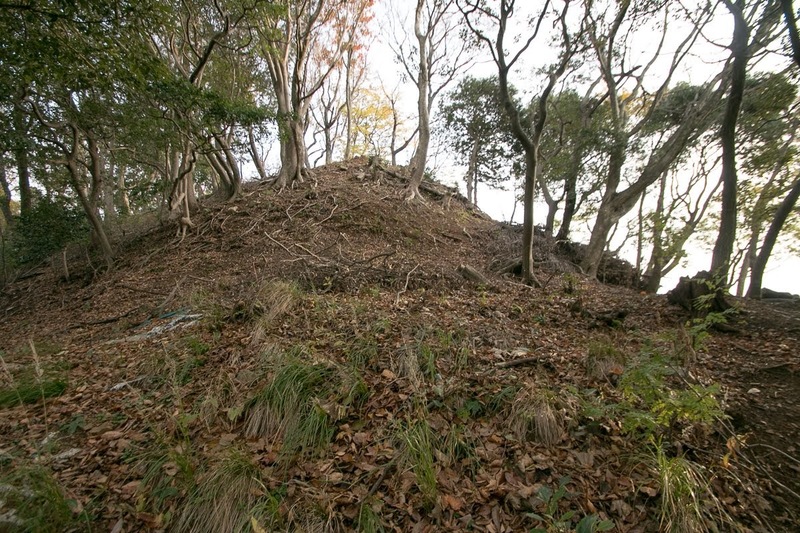 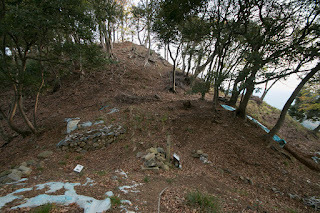 After that Asakura army attacked Kuniyoshi castle every year, but Kuniyoshi castle stand all attack from Asakura clan, and won the fame of secure castle. 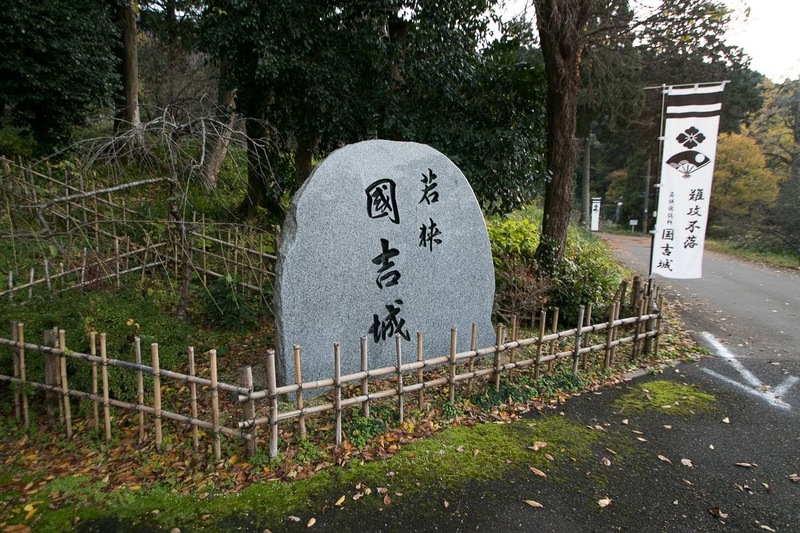 In 1568, Asakura clan captured Motomune who became the ninth leader of Takeda clan after the death of Yoshizumi, and took him away to Ichijyodani residence, their main base. 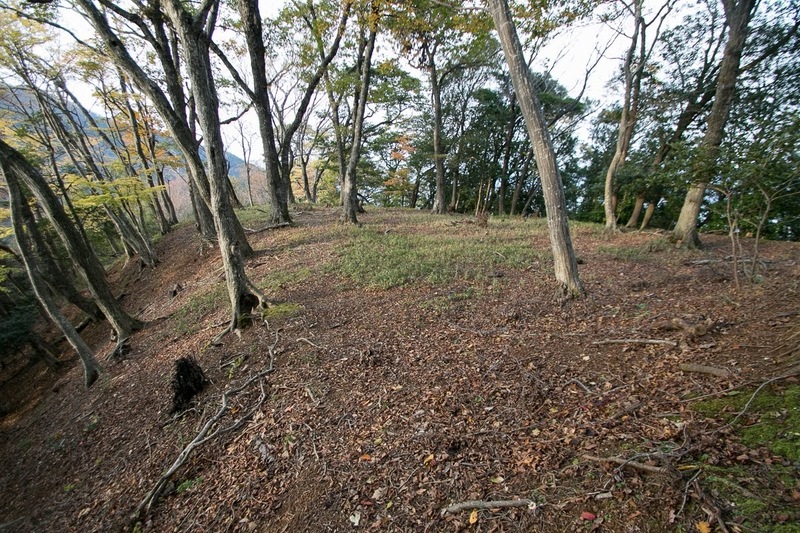 Due to this, Wakasa country was substantially captured by Asakura clan, but Awaya clan still continued resistance to Asakura clan. 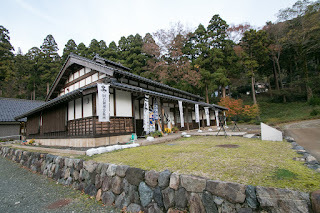 In 1570, central ruler Nobunaga Oda (1534-1582) made expedition to Asakura clan and dropped in Kuniyoshi castle. 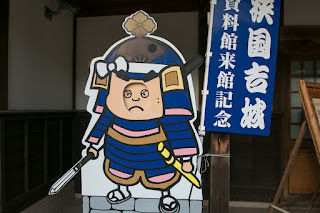 Katsuhisa was praised his resistance against Asakura clan by Nobunaga, but this time Nobunaga had to retreat to Kyoto by betrayal of Azai clan at the backward. Three years later, now Nobunaga overwhelmed Asakura clan and extincted it. 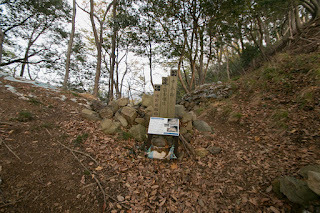 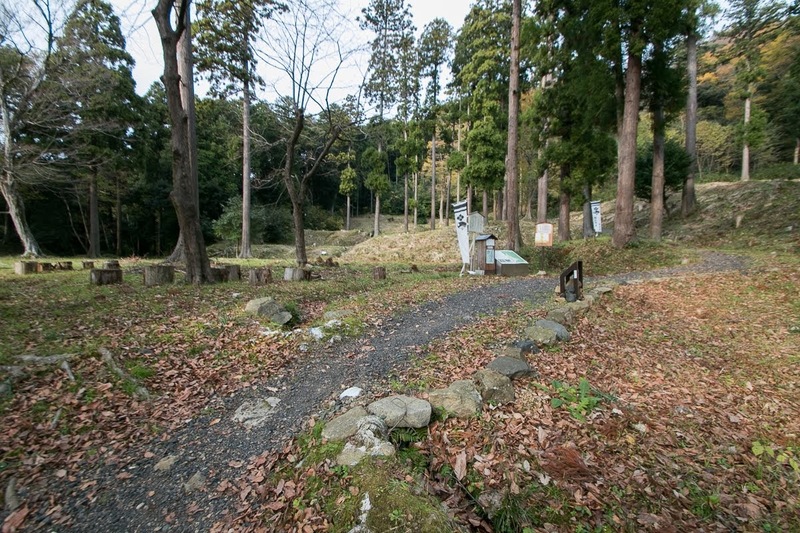 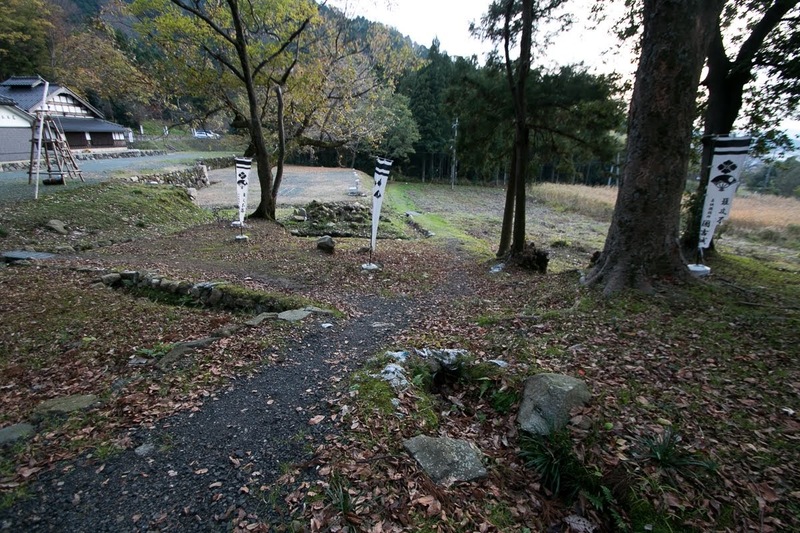 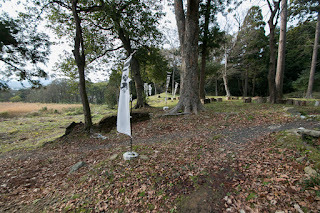 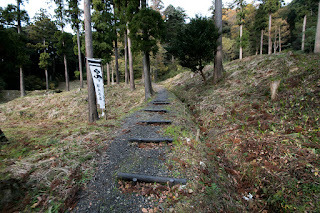 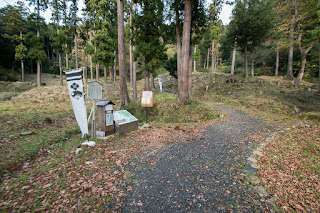 Awaya clan arrived Ichijyodani, capital of Asakura clan, at first and rescued his master Motoaki. 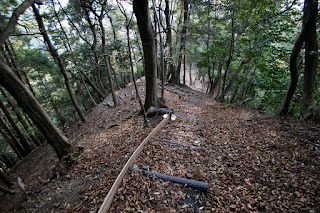 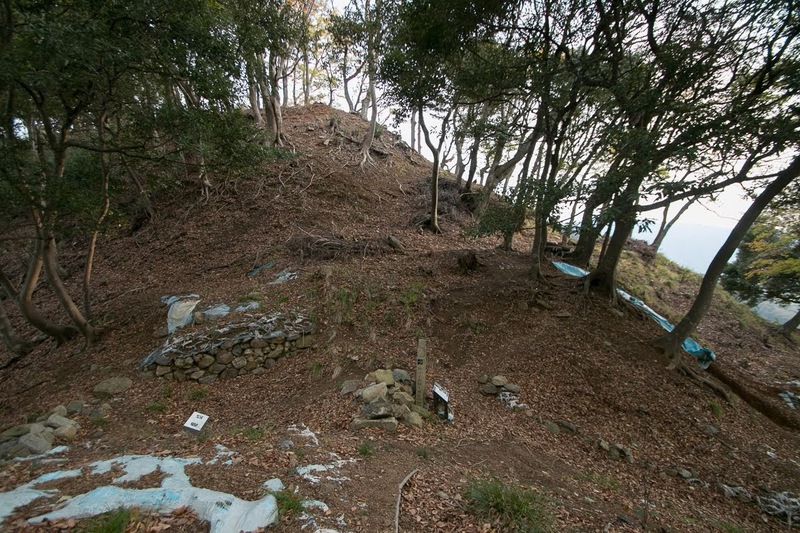 Now 10 years battle between Asakura clan and Awaya clan at Kuniyoshi castle became an end. 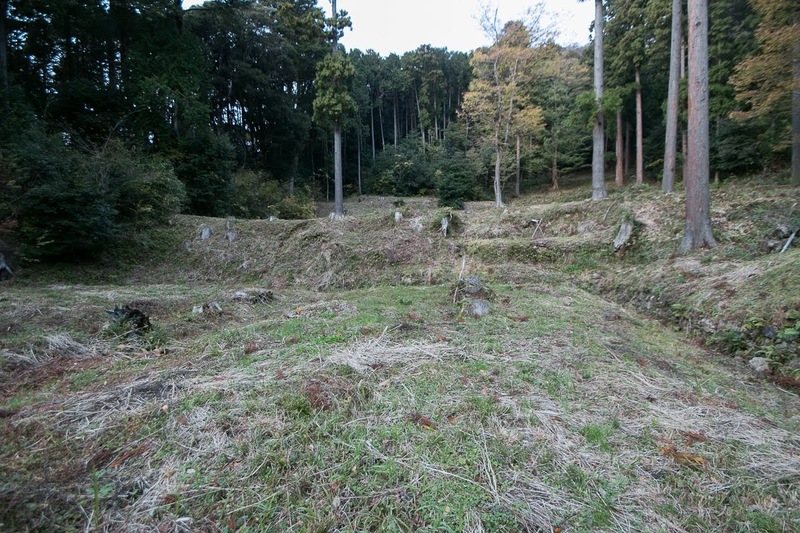 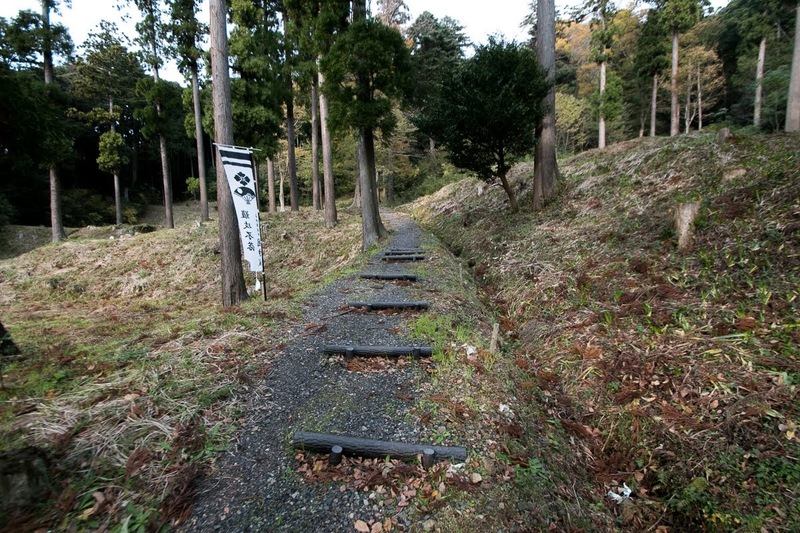 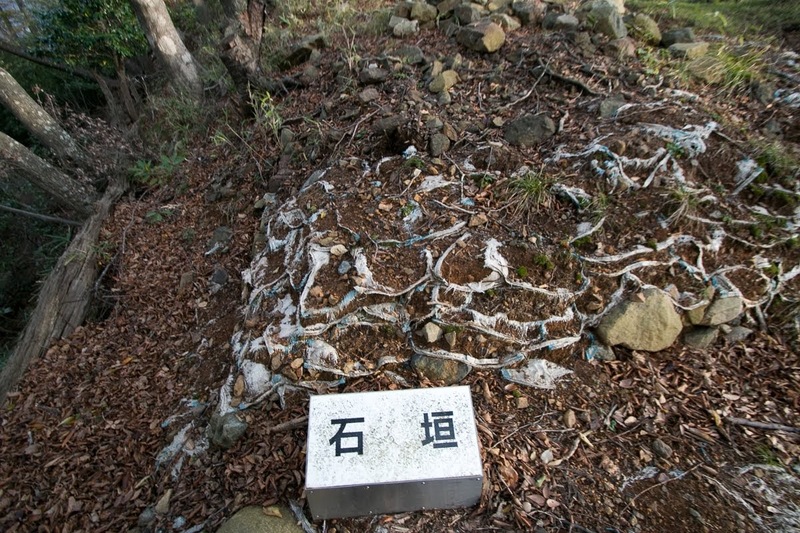 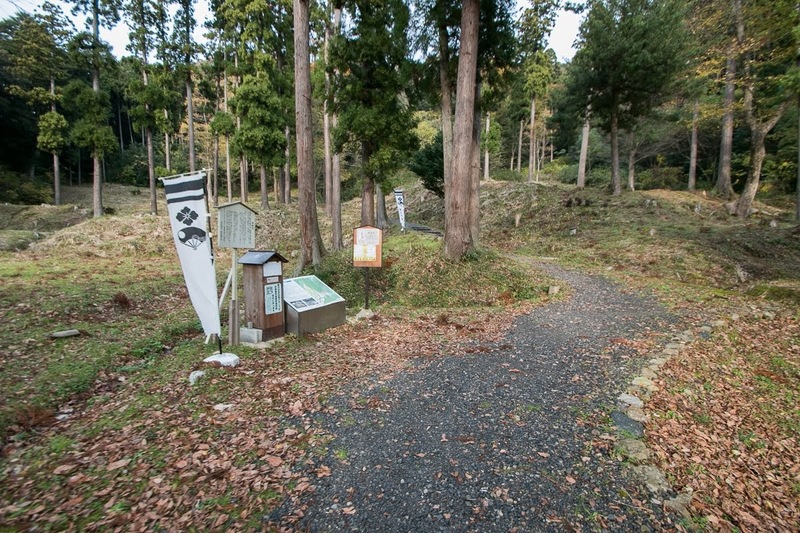 During this battle, Asakura clan was a governor of strong country and lead thousands of soldiers. On the other hand, Awaya clan was mere a local lord and had around 1,000 soldiers. 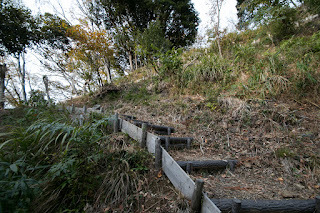 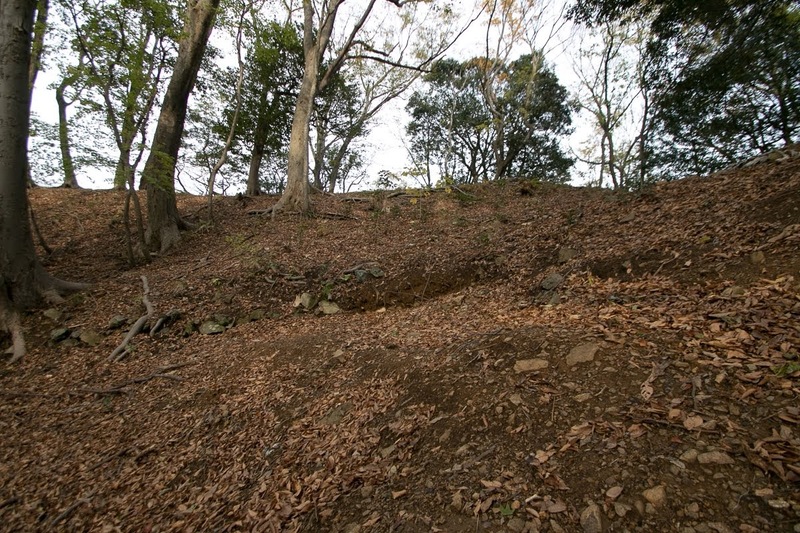 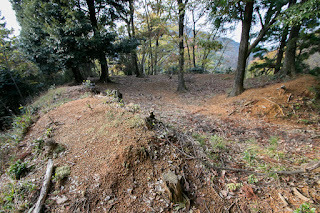 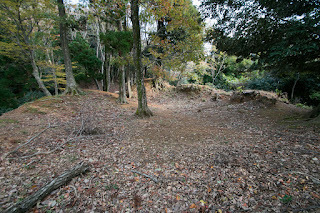 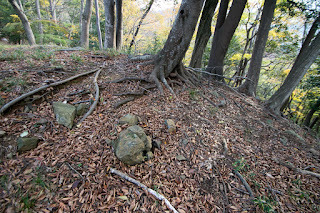 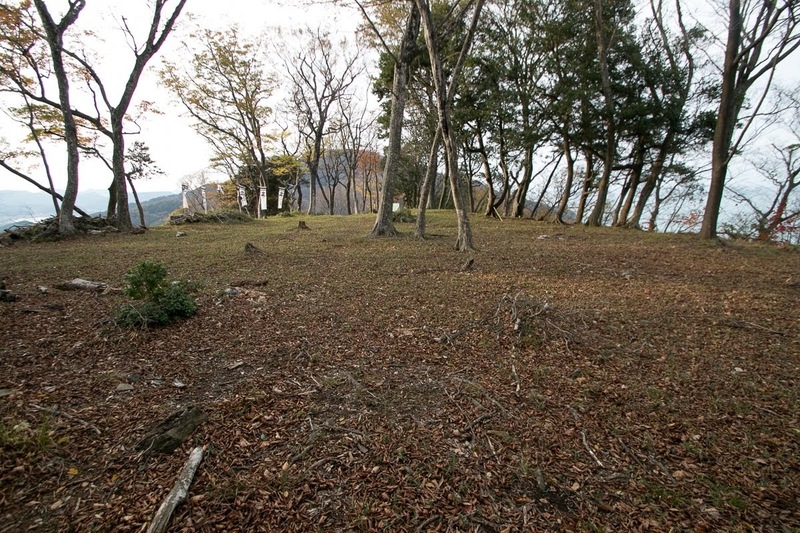 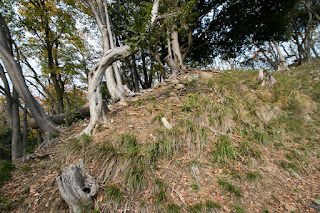 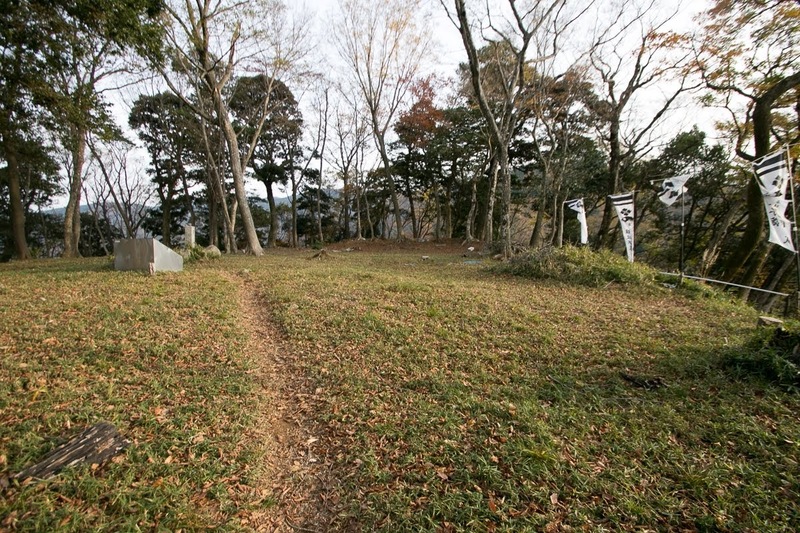 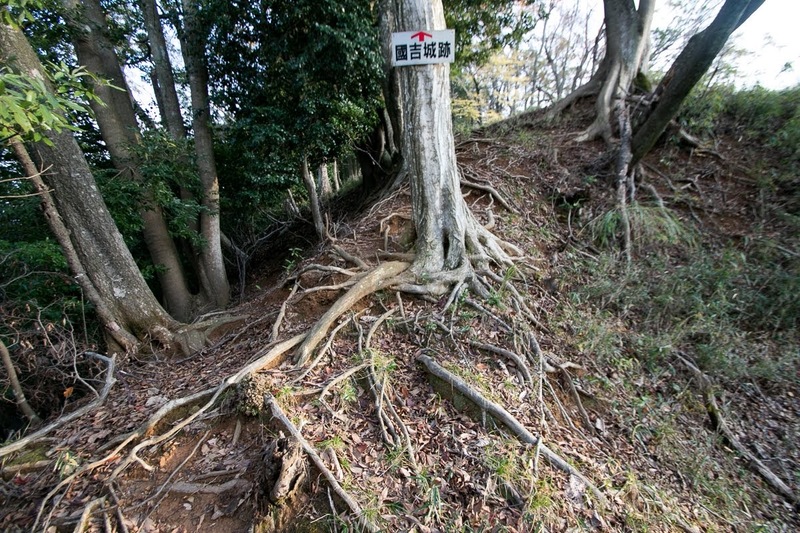 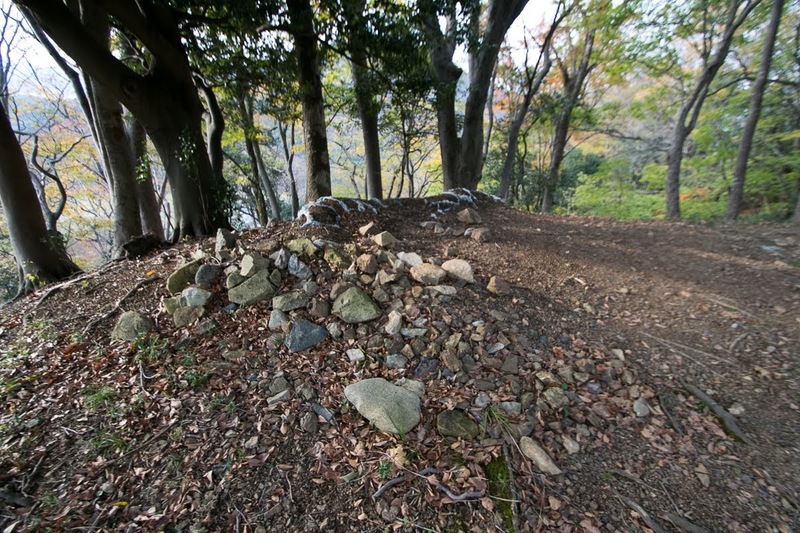 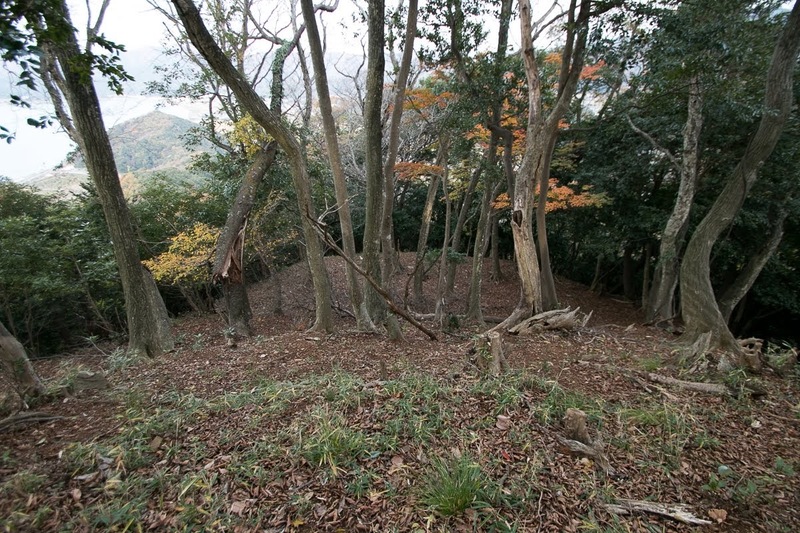 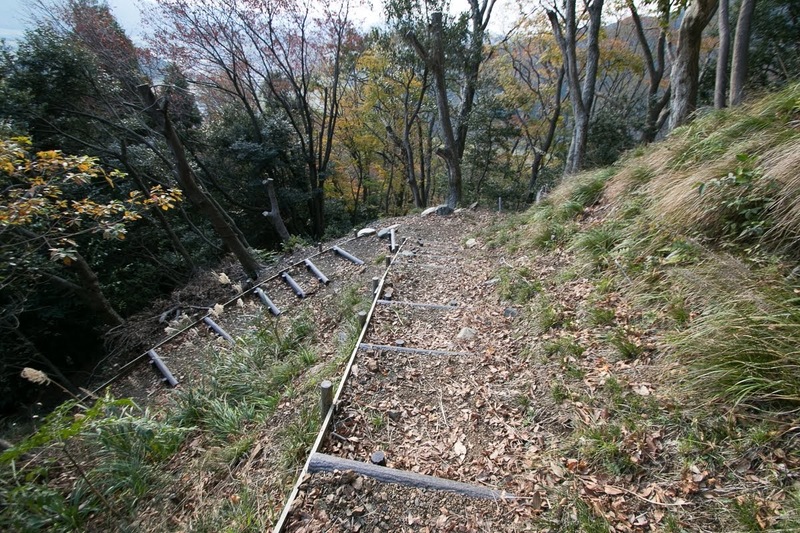 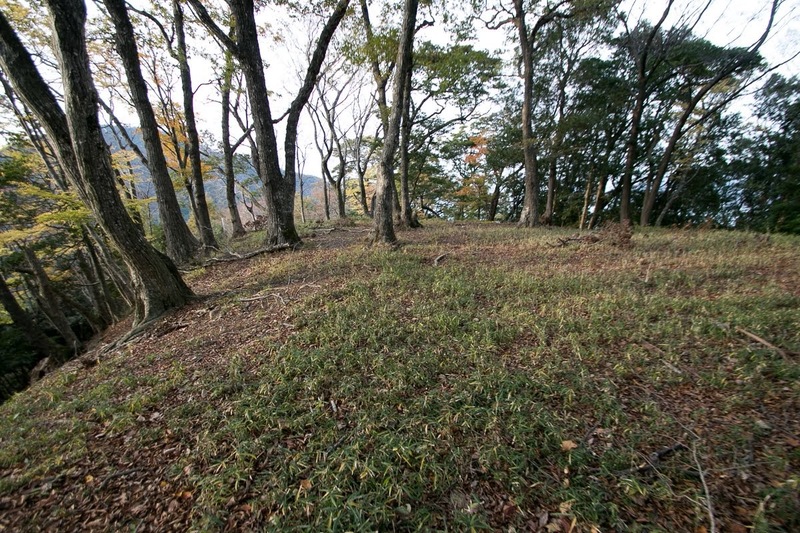 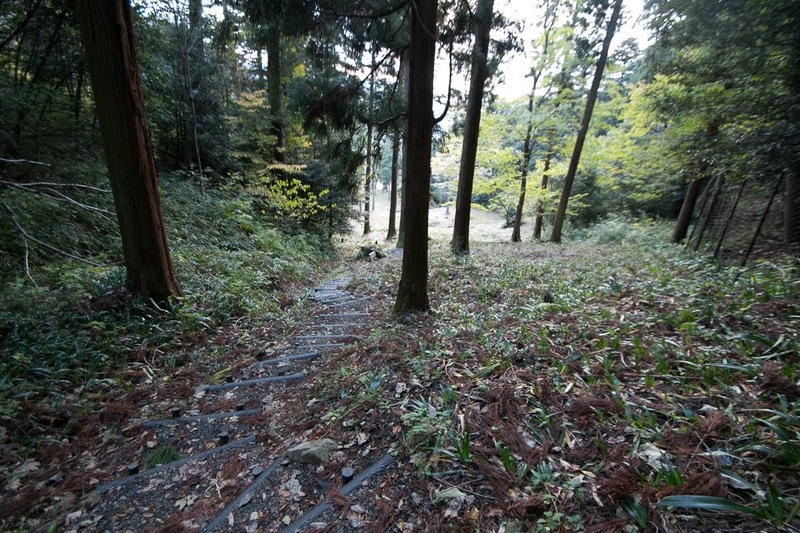 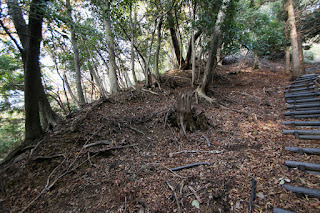 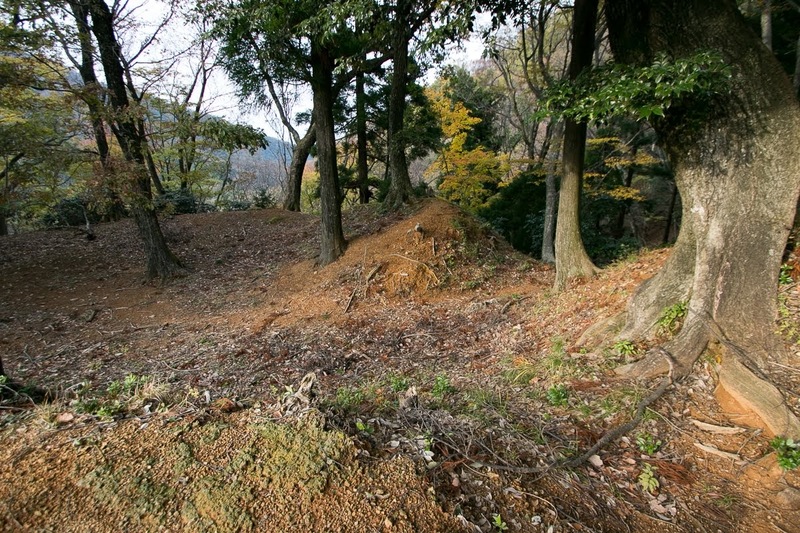 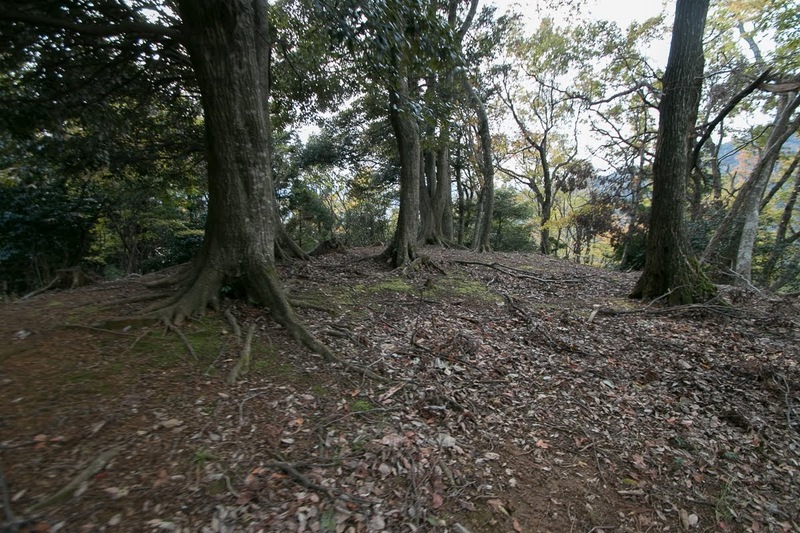 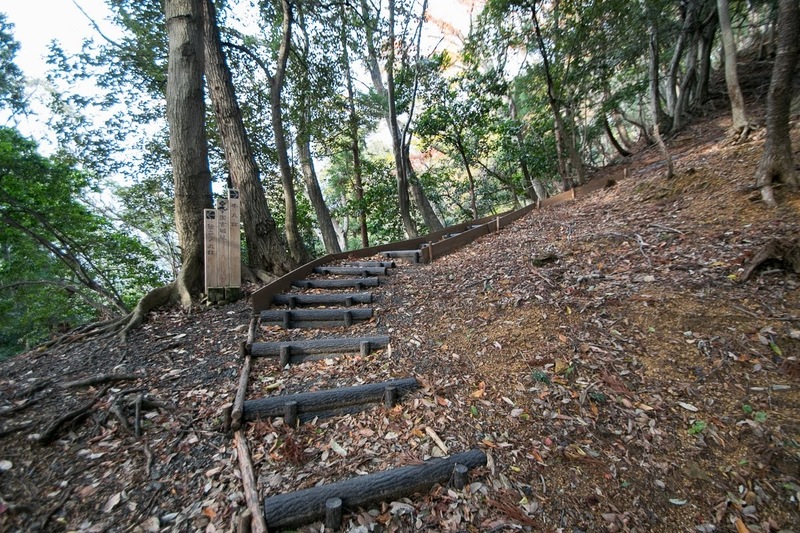 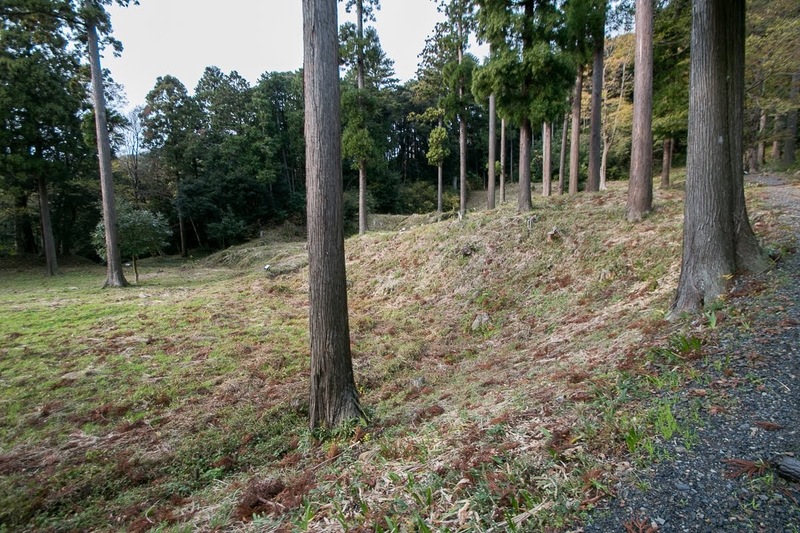 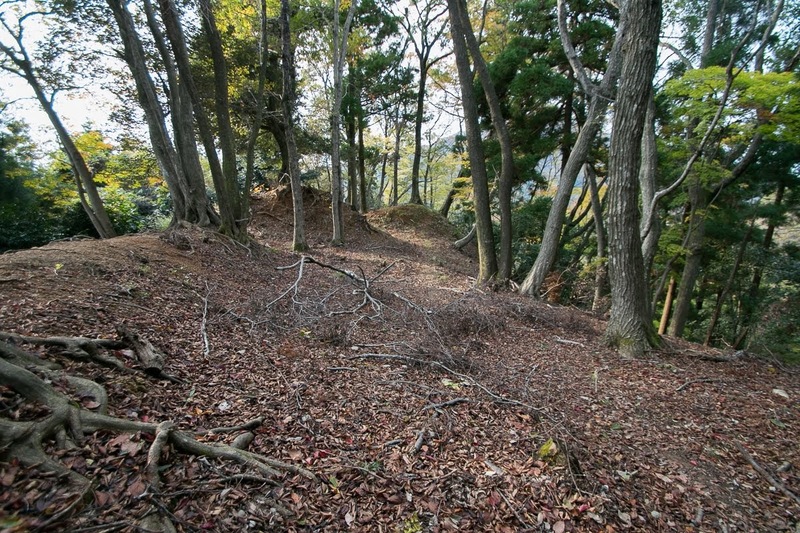 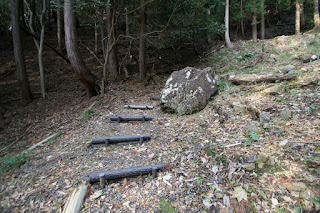 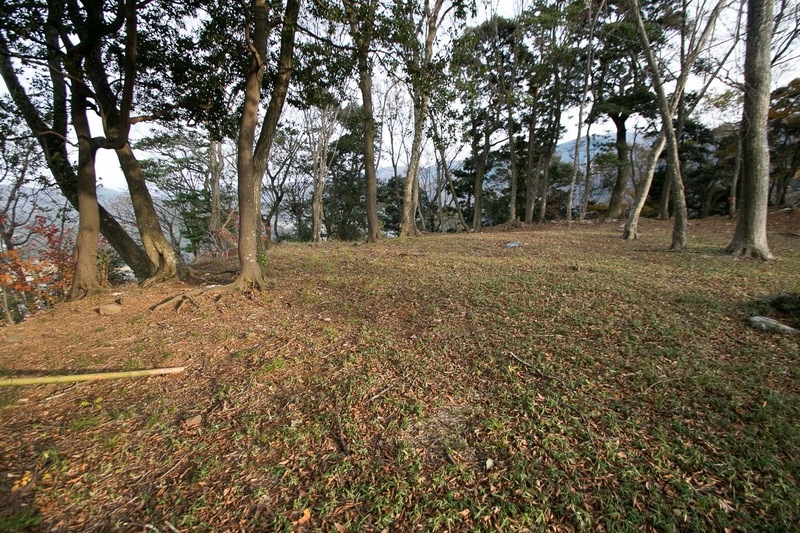 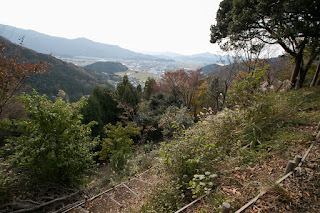 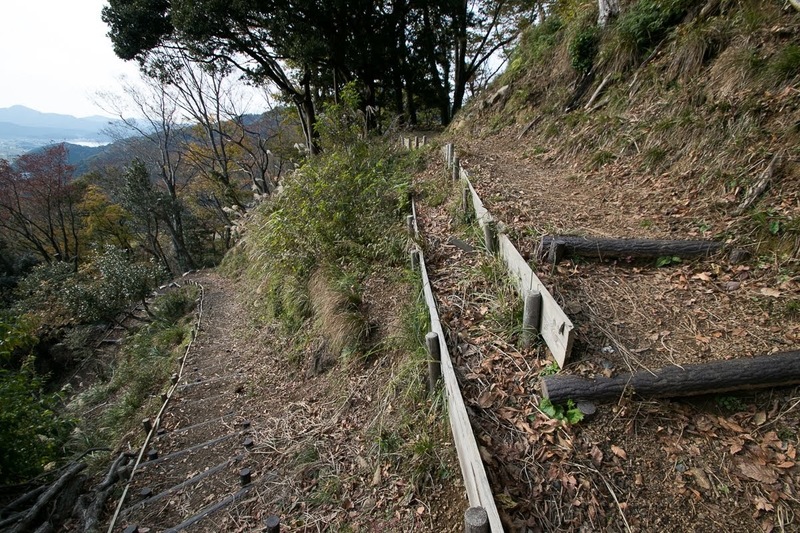 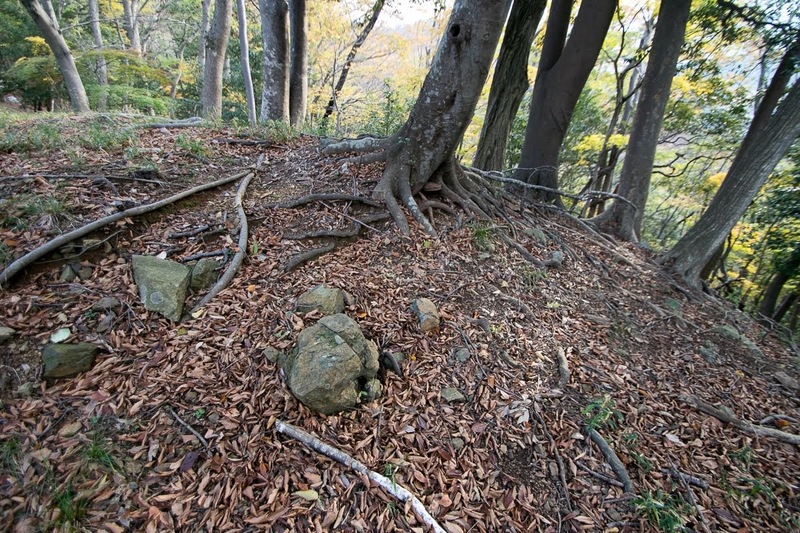 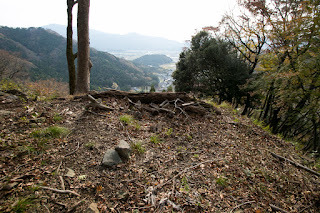 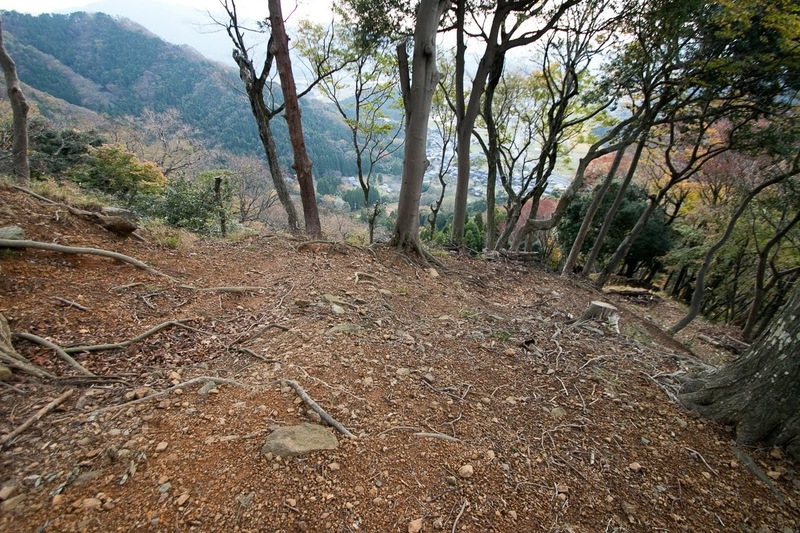 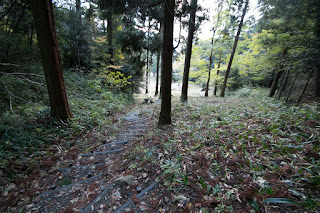 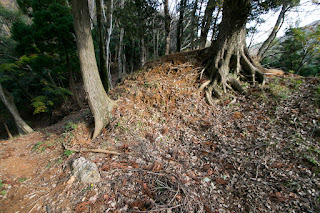 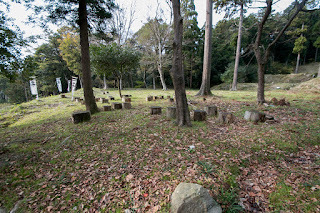 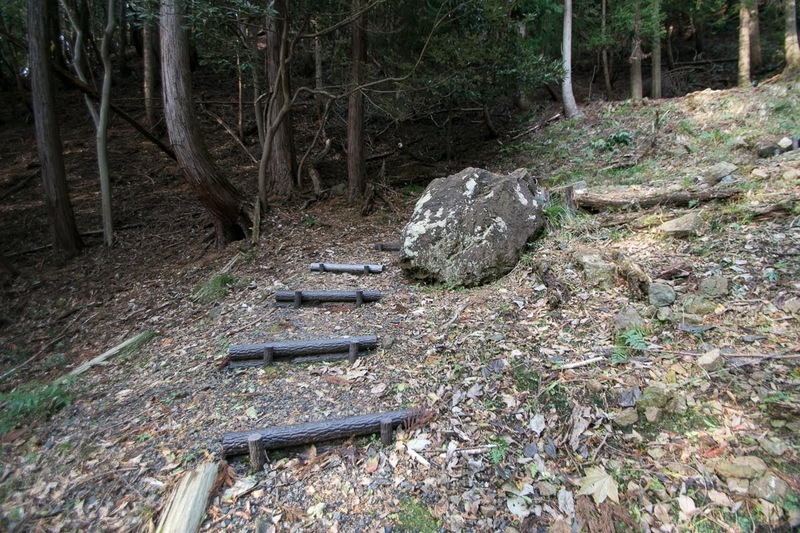 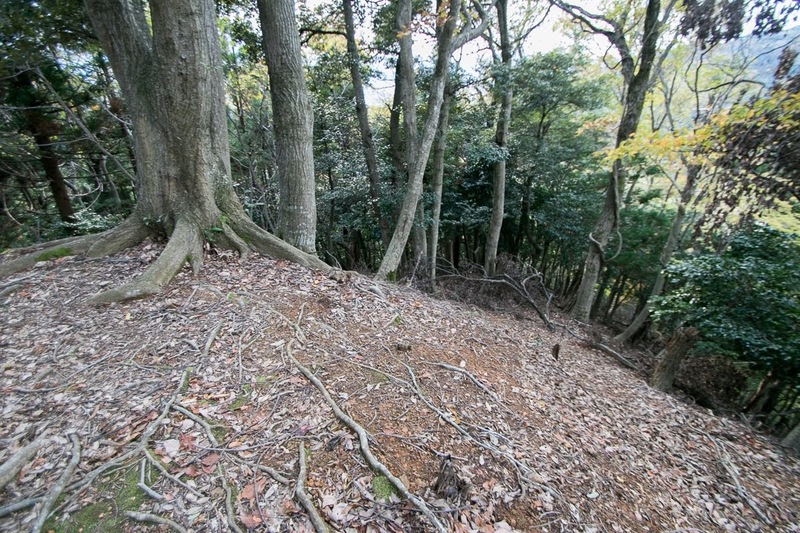 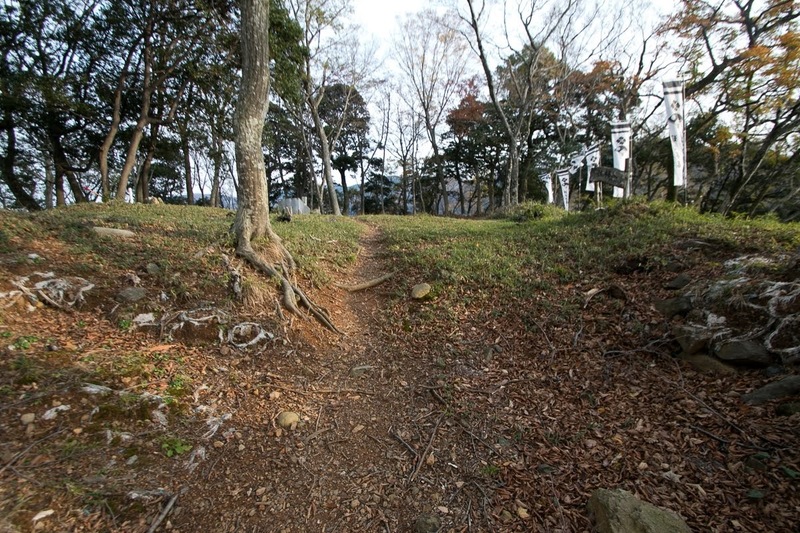 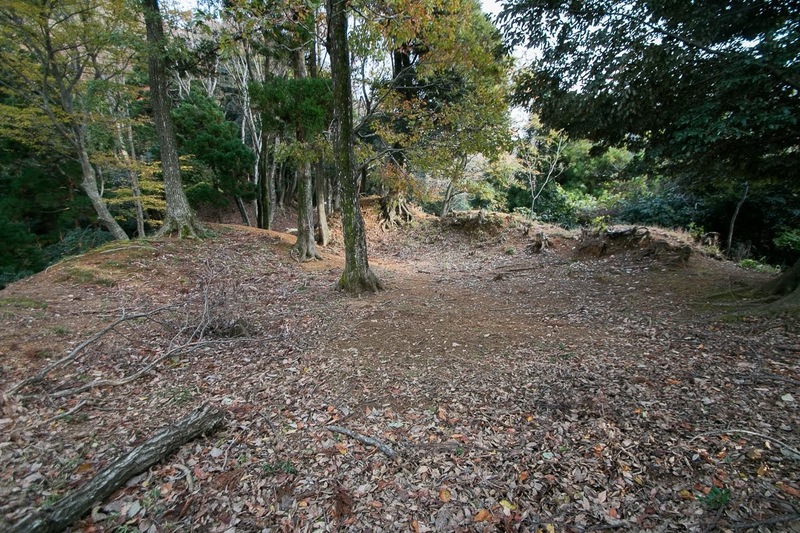 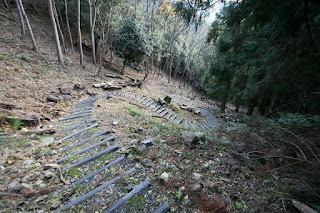 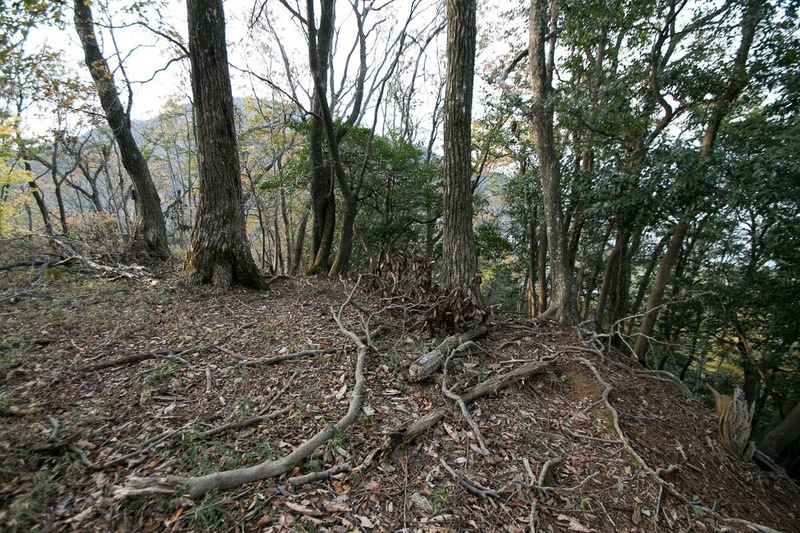 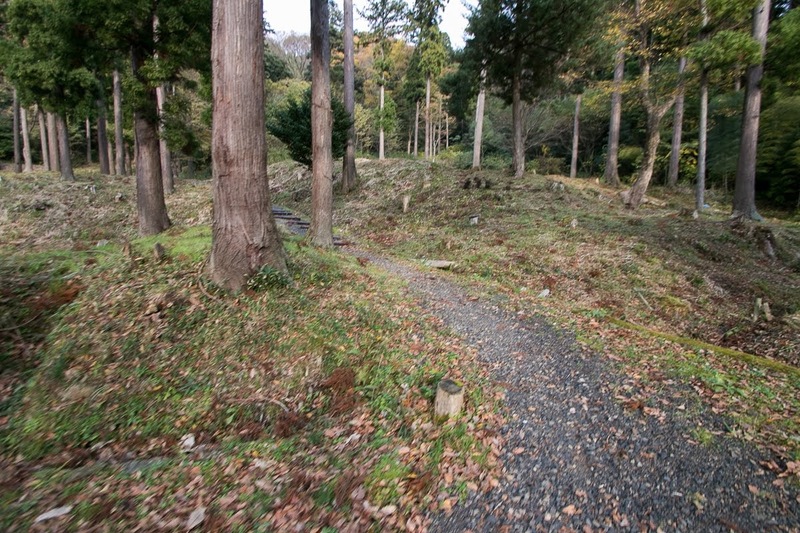 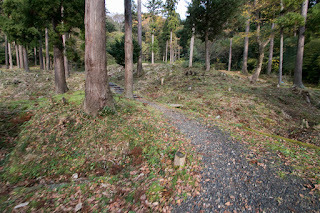 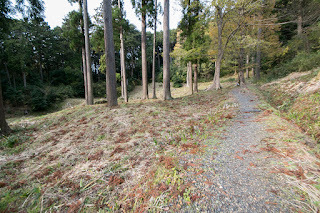 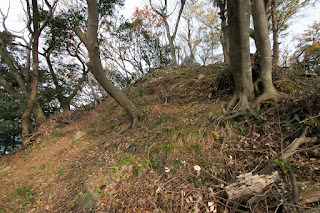 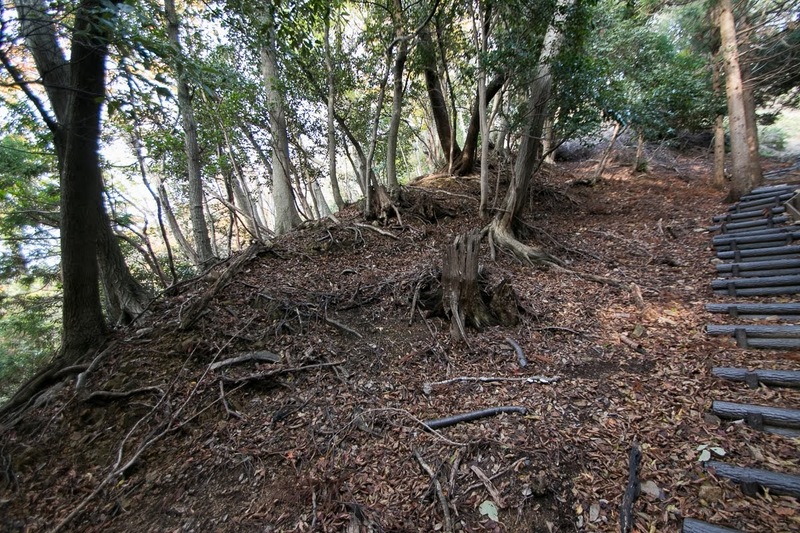 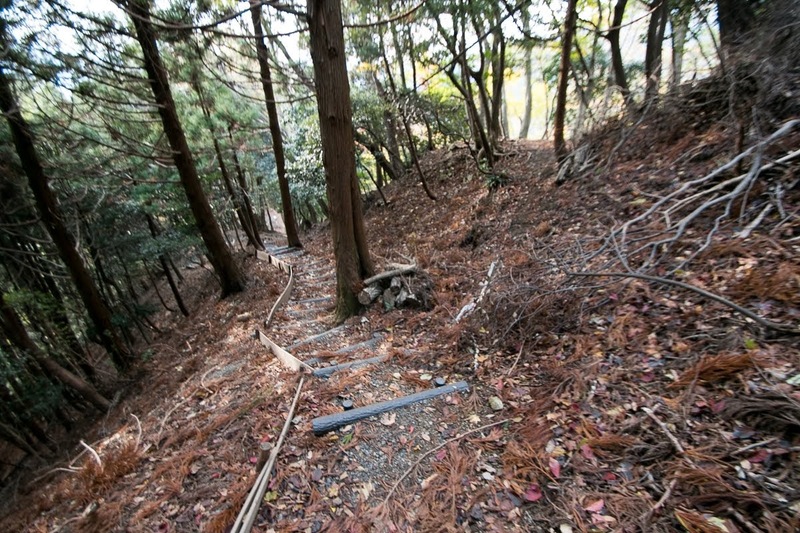 But in spite of power difference, Awaya clan could stand Kuniyoshi castle. 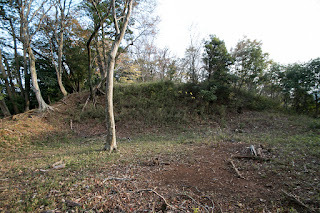 Of course Awaya clan and guard soldiers well fought, but there might be a condition that enabled to protect castle against dominant Asakura army. 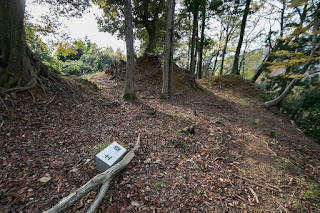 Above all else, Asakura army lost their military pillar Norikage Asakura (1477-1555), and other general could not order the force well any more. 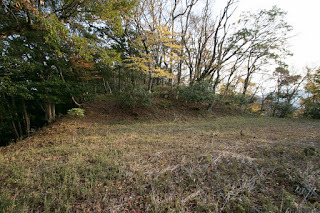 After the extinction of Asakura clan, Awaya clan stayed Kuniyoshi castle about 10 years, but in 1583 Awaya clan was moved and Sadashige Kimura (?-?) 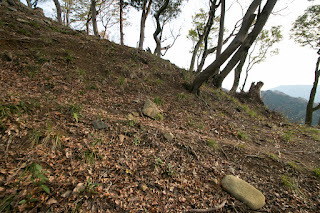 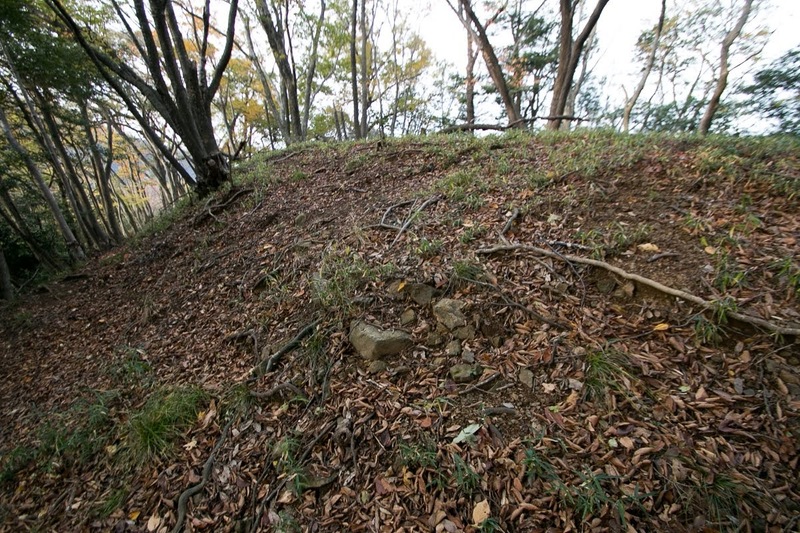 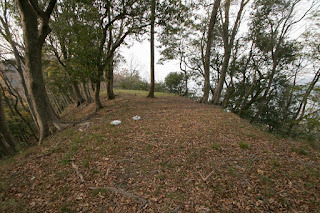 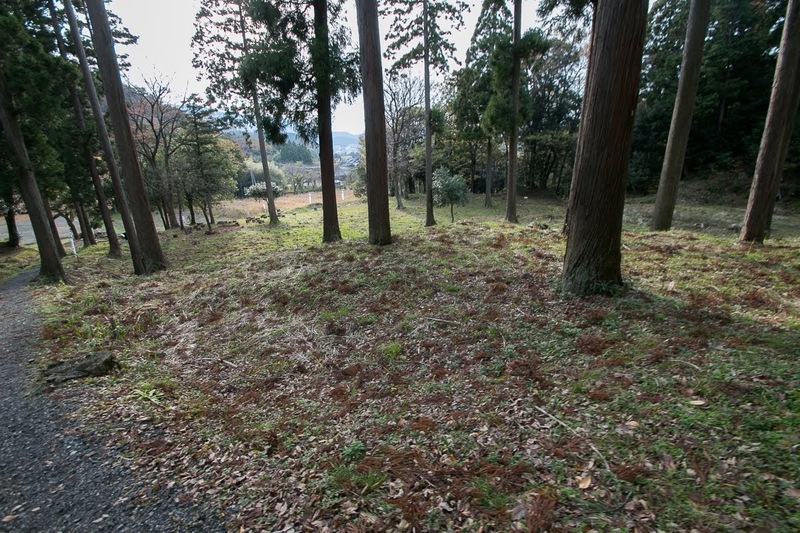 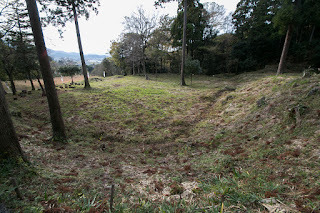 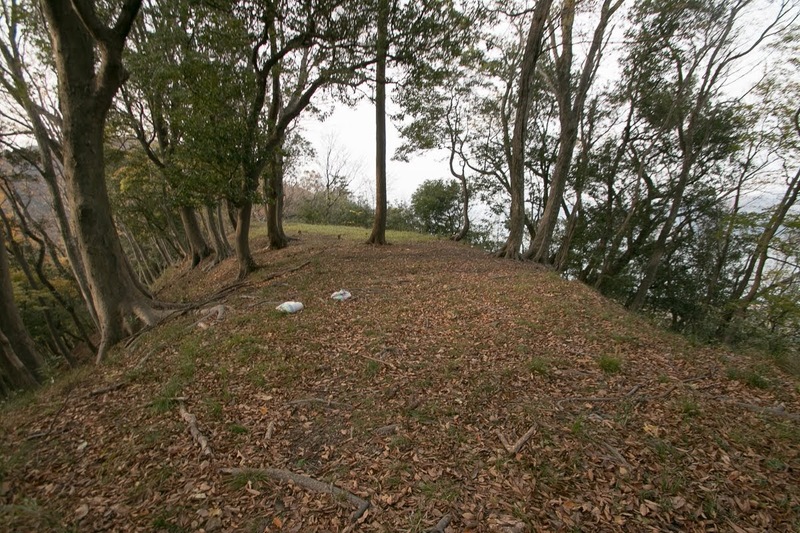 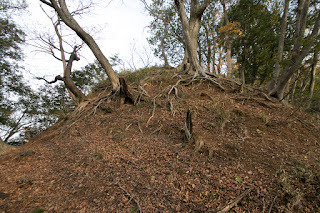 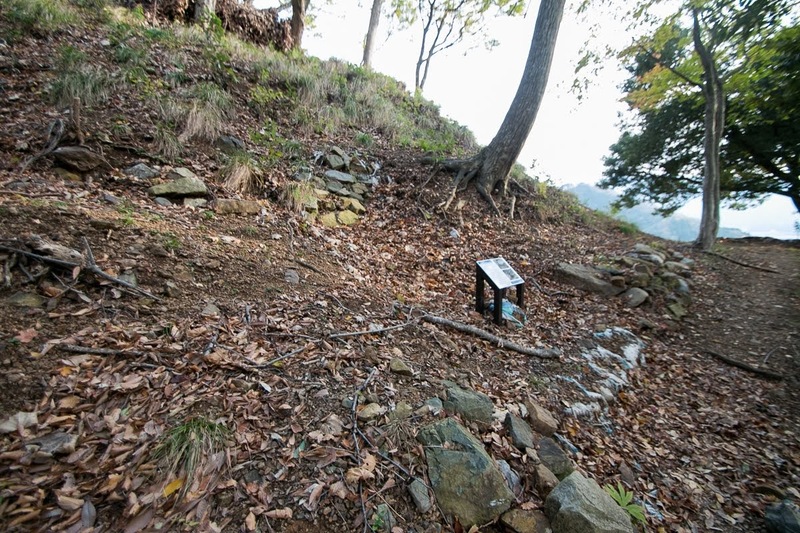 became the commander of the castle under Toyotomi government. 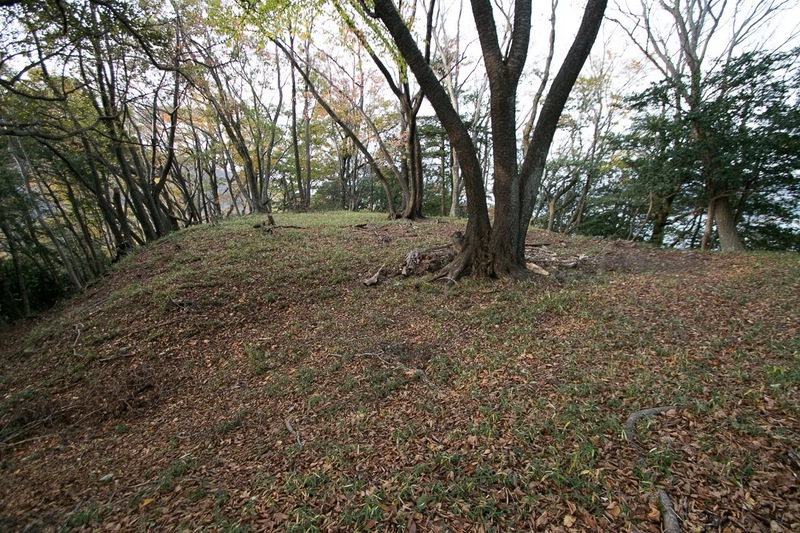 Under Kimura clan, Kuniyoshi castle was reformed into a modern castle covered with stone walls, and also castle town was developed. 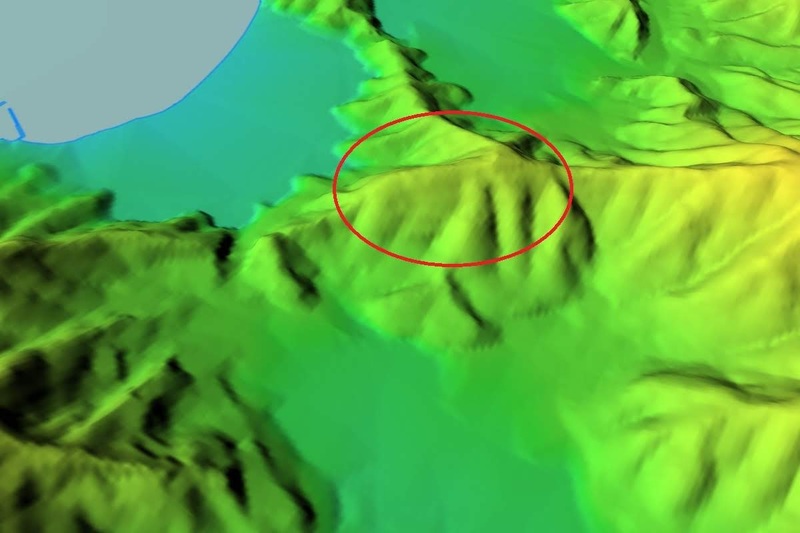 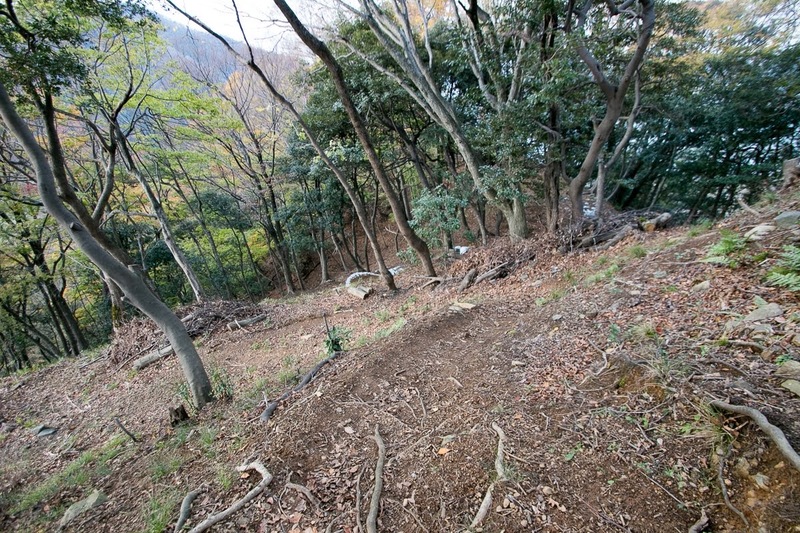 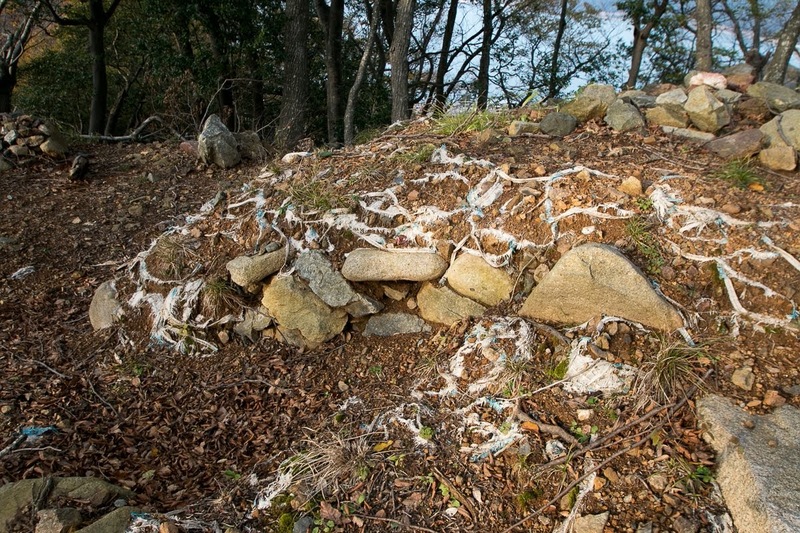 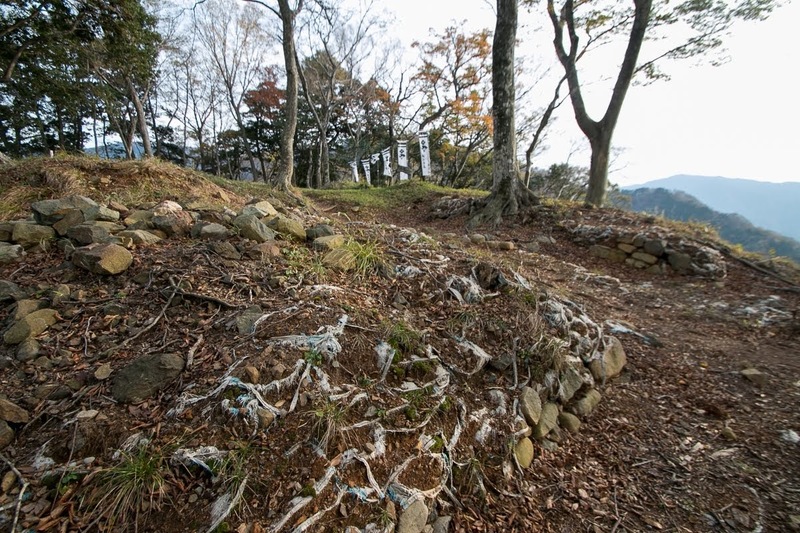 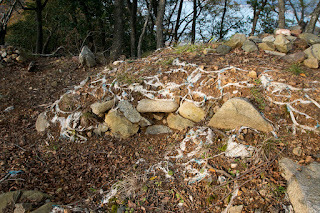 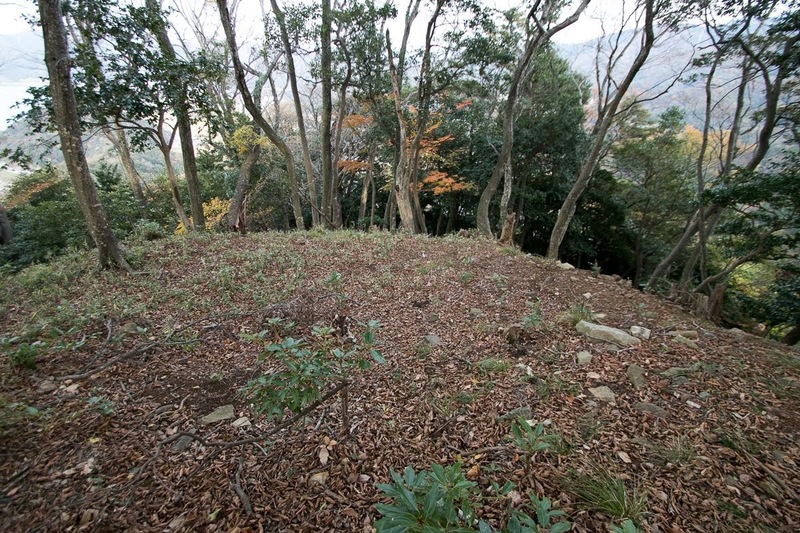 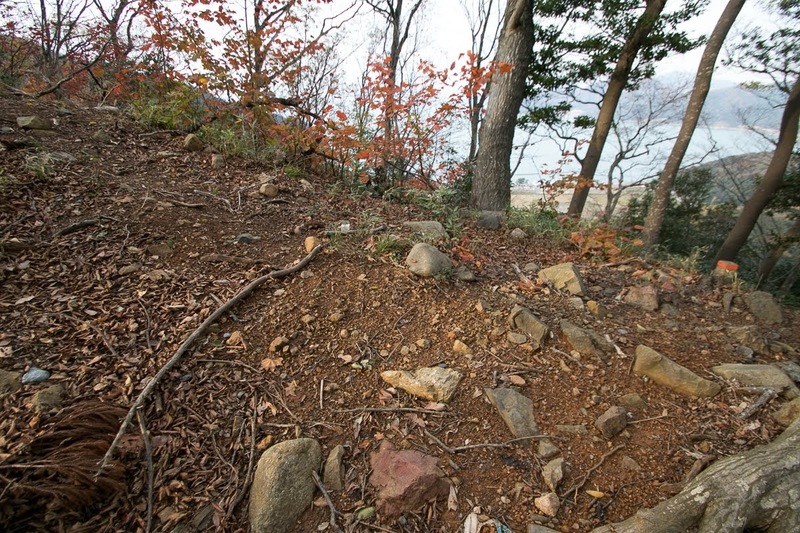 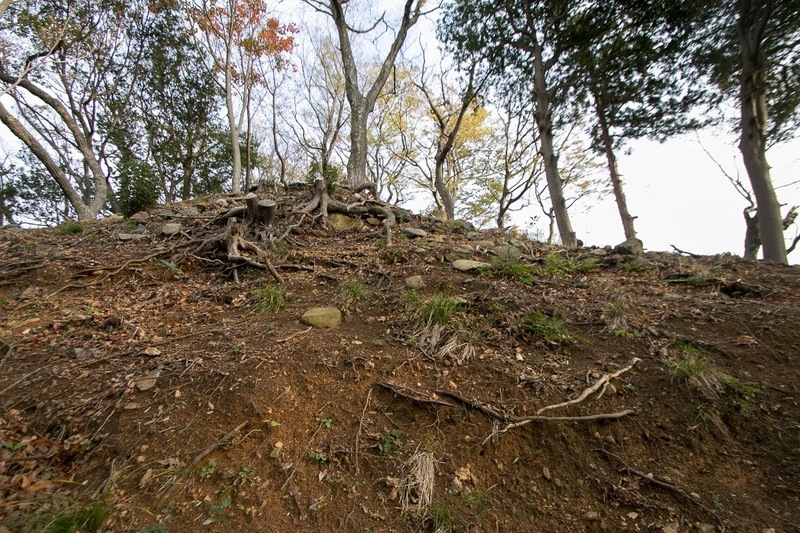 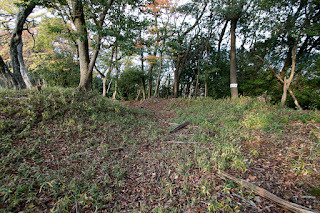 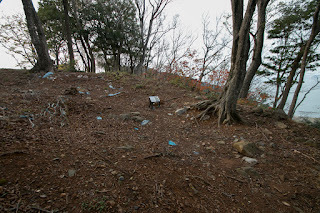 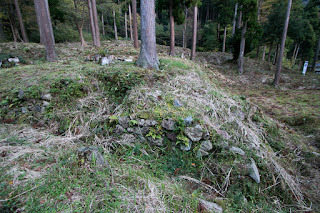 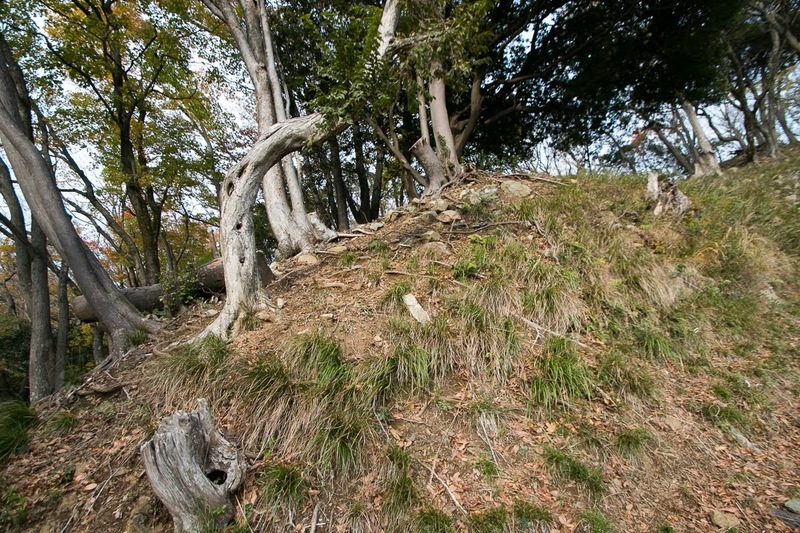 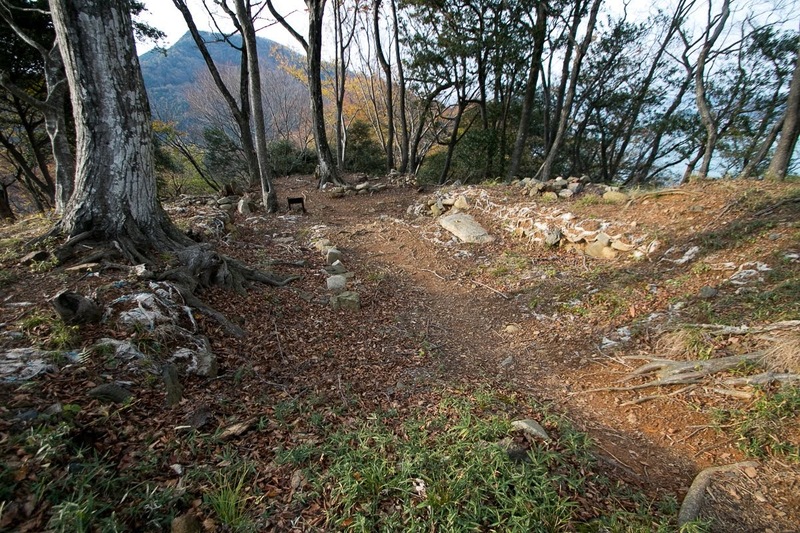 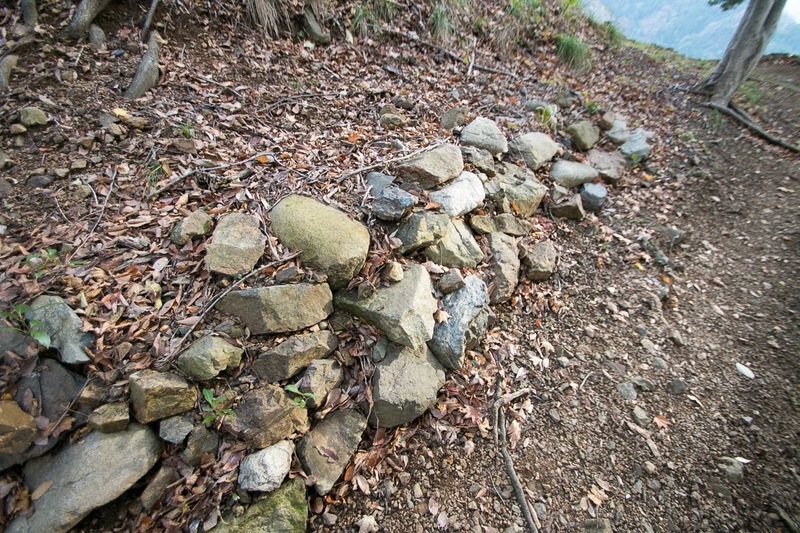 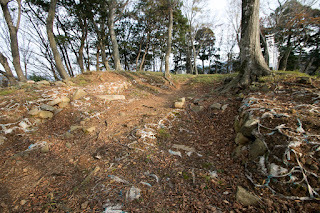 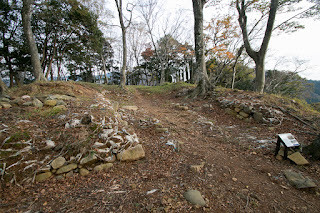 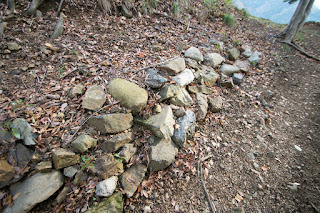 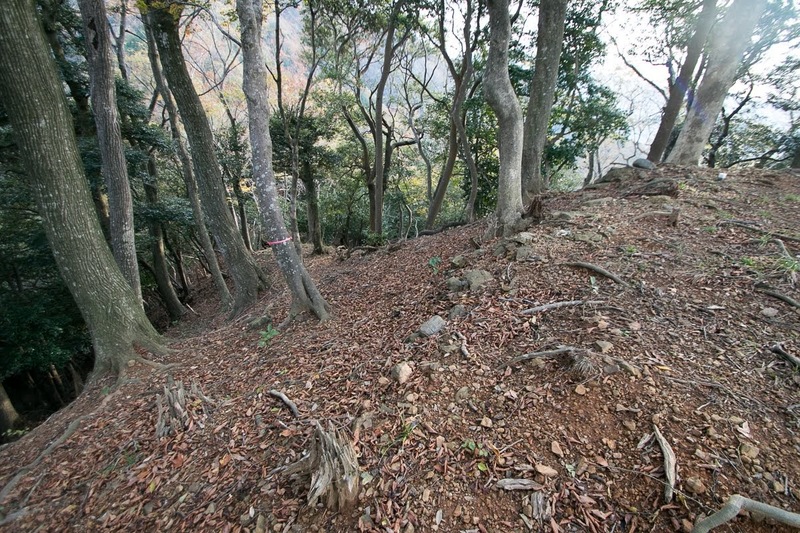 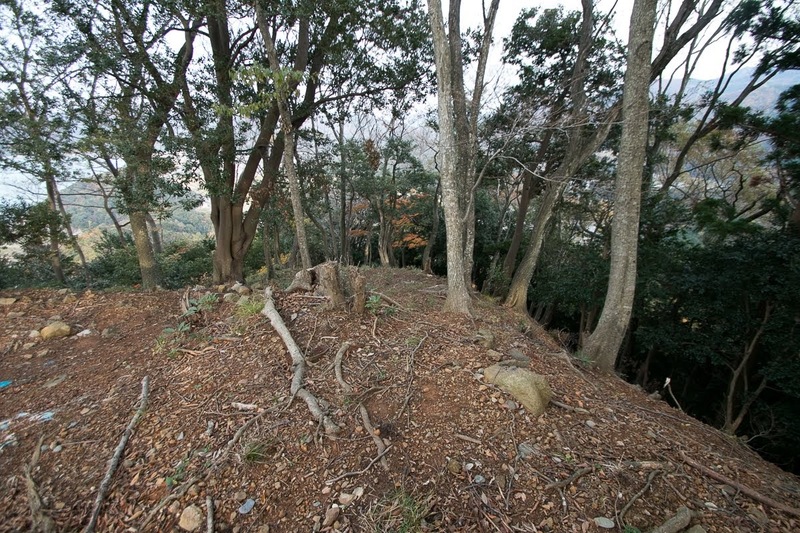 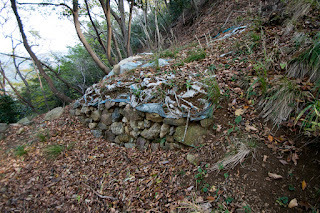 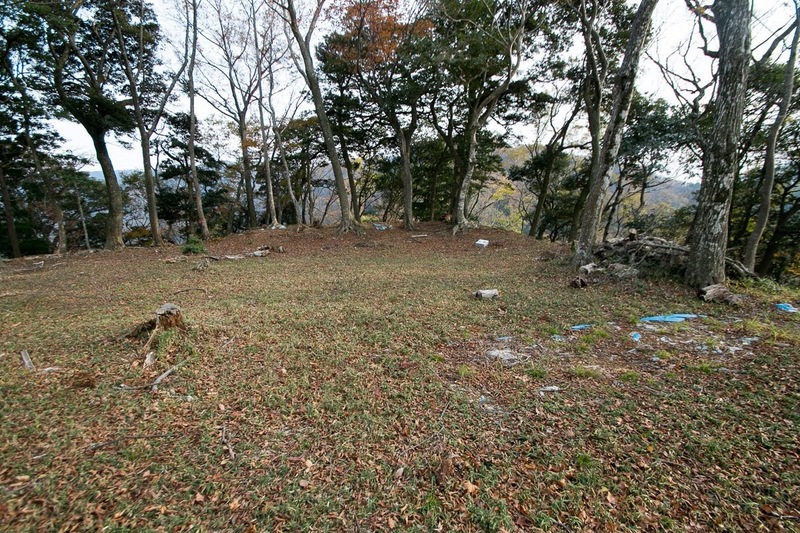 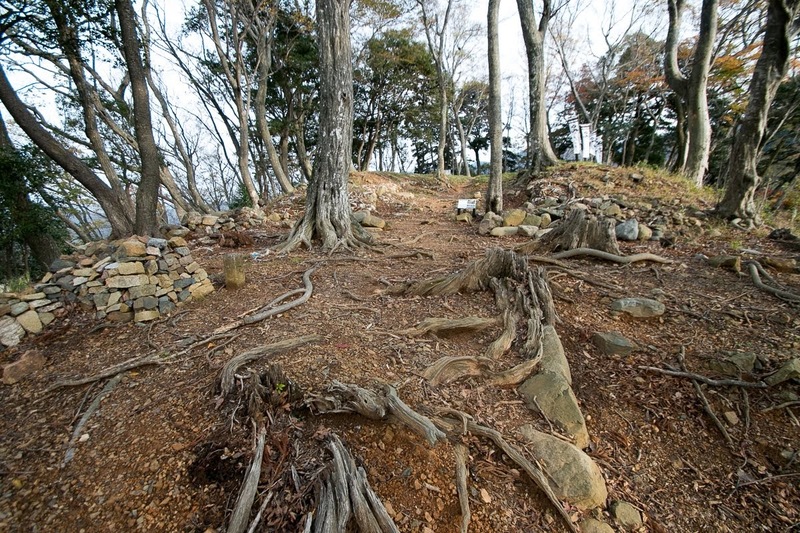 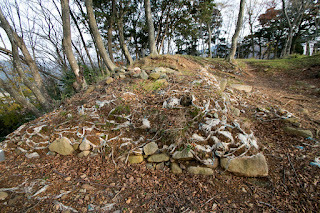 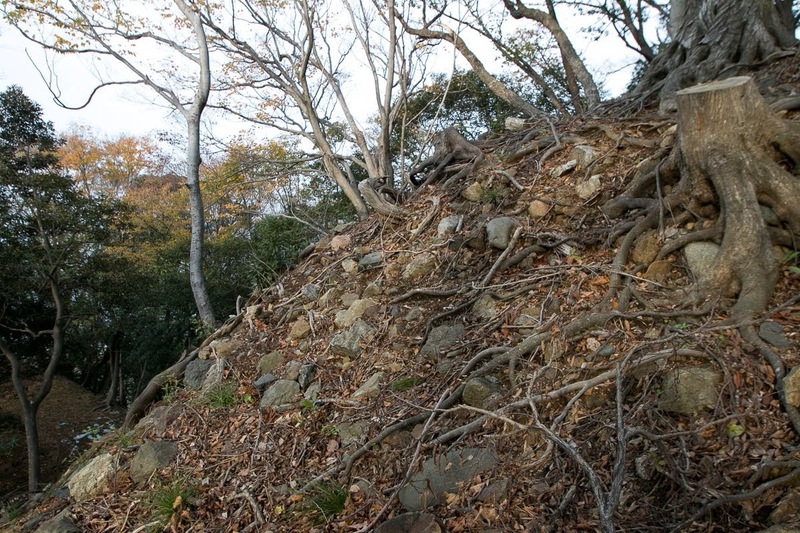 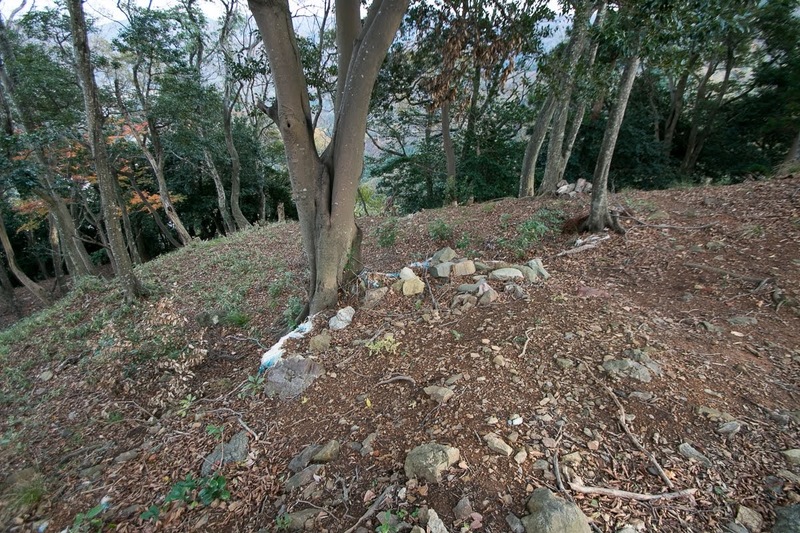 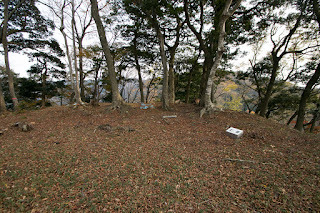 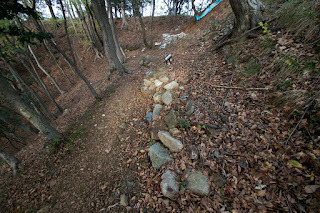 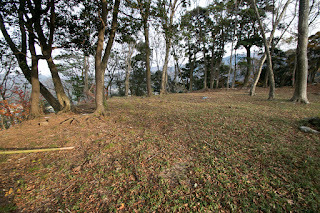 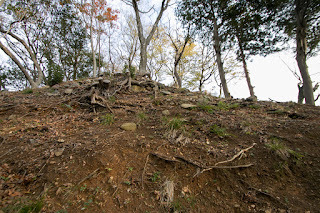 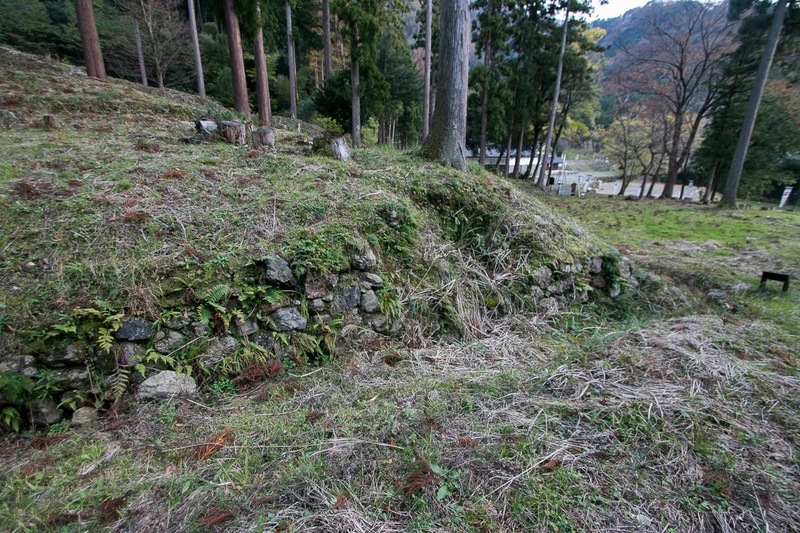 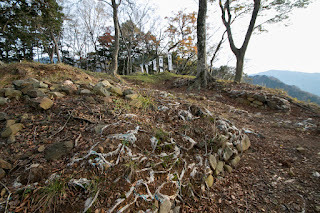 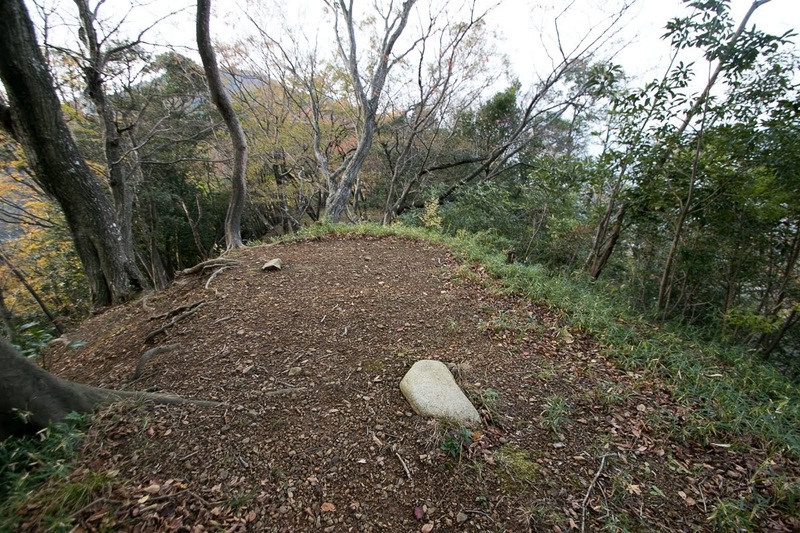 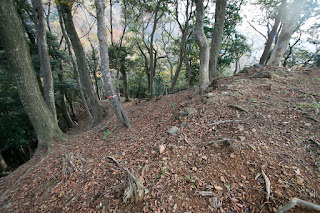 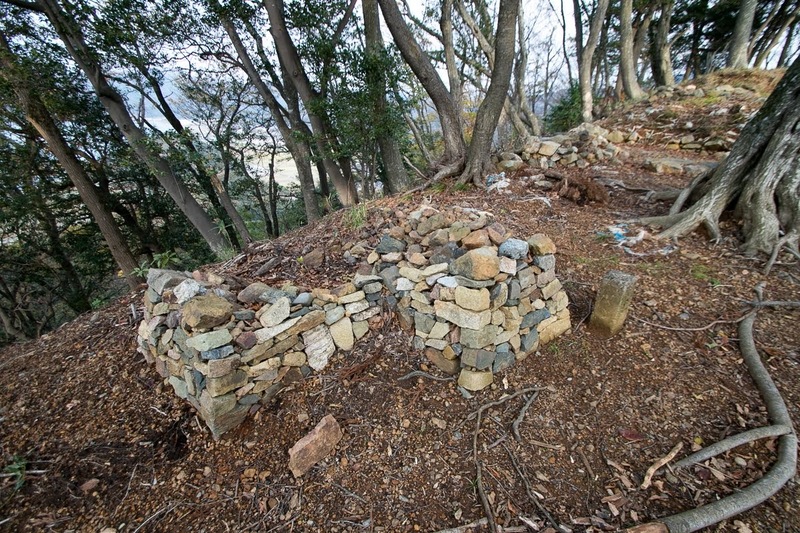 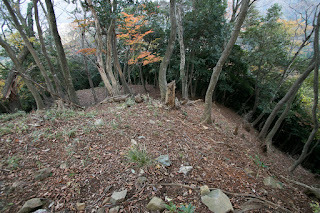 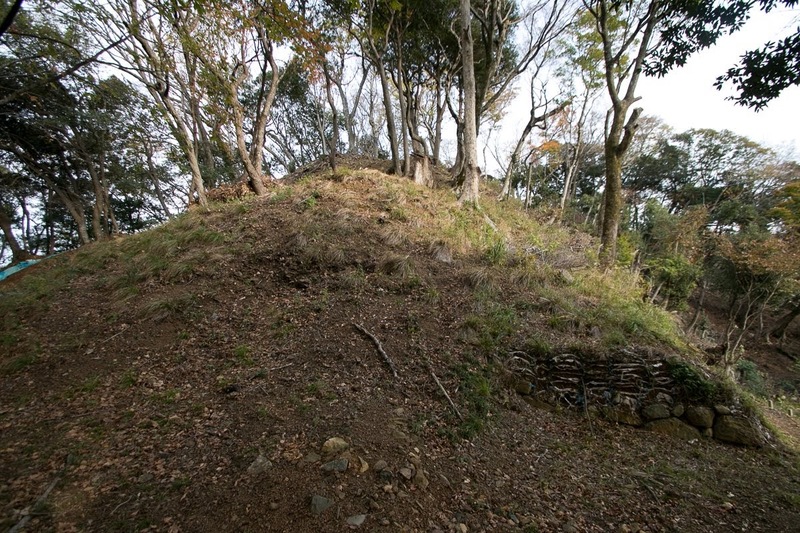 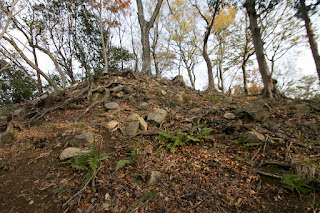 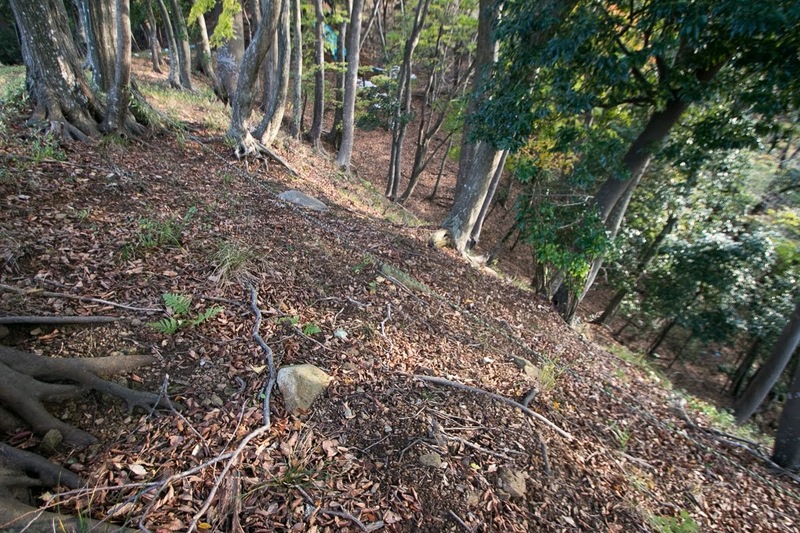 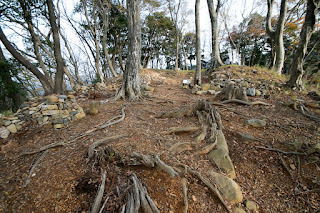 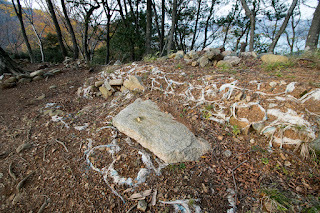 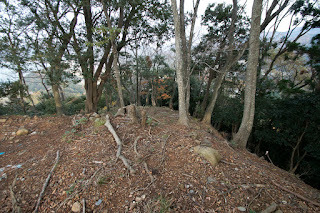 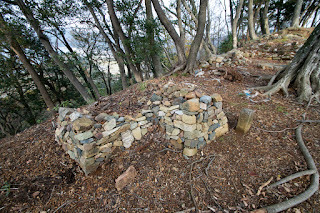 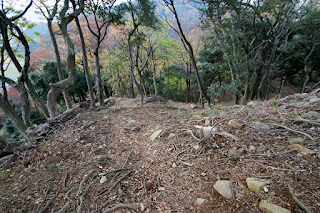 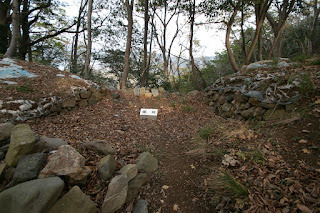 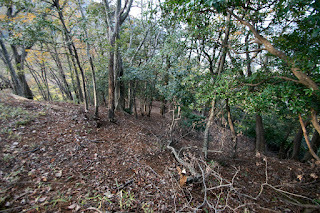 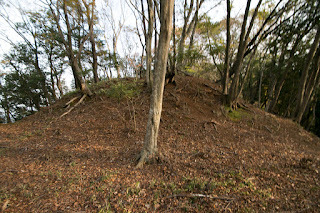 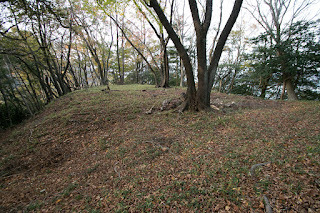 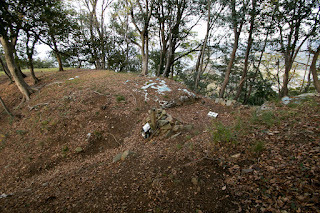 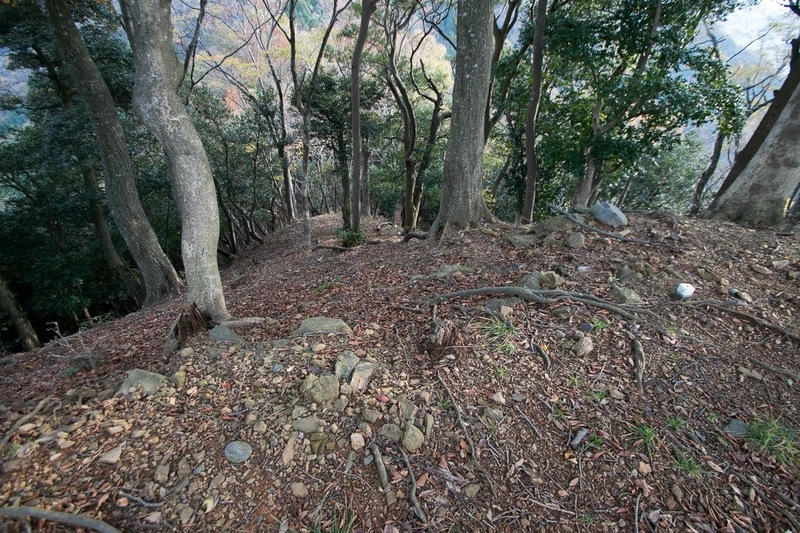 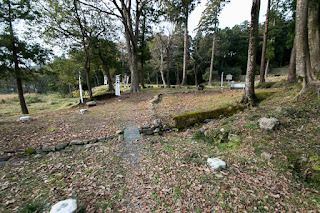 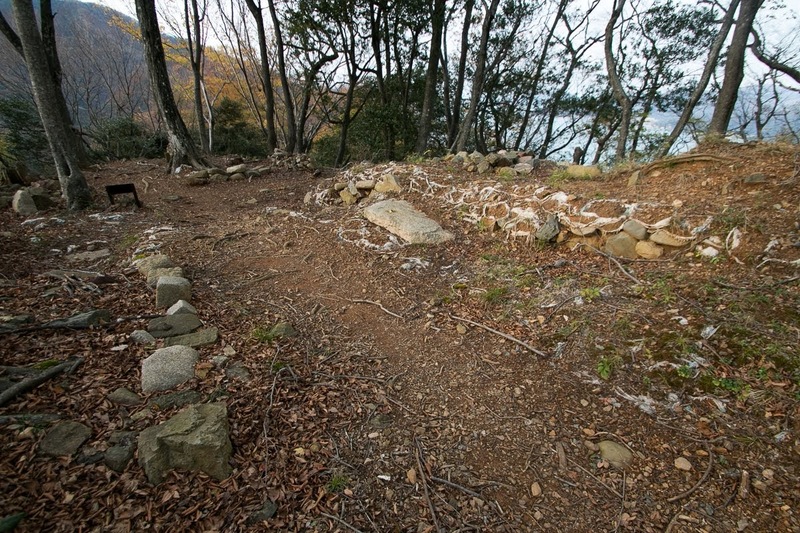 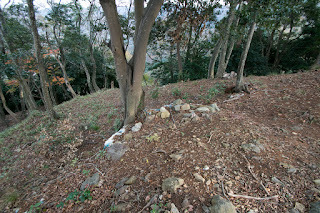 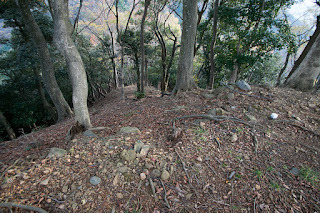 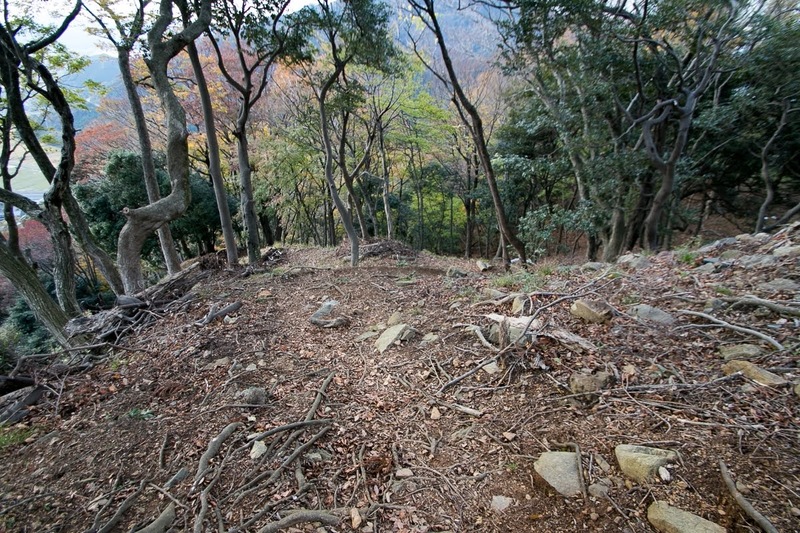 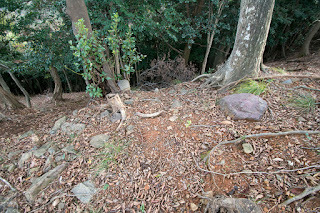 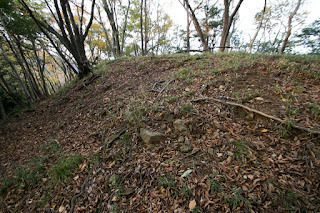 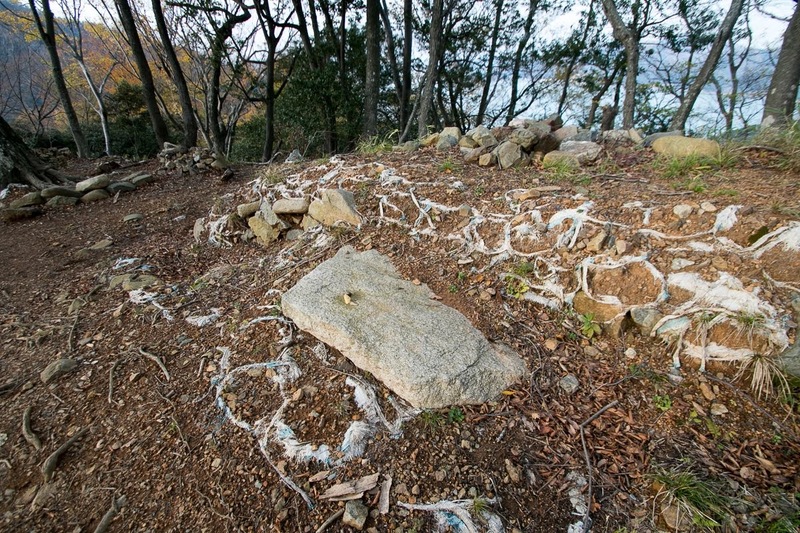 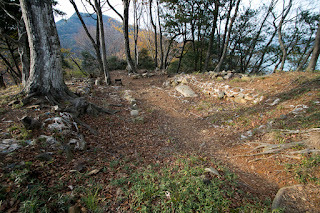 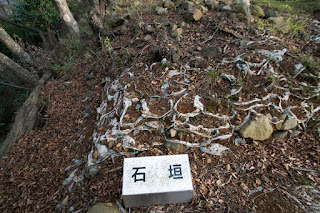 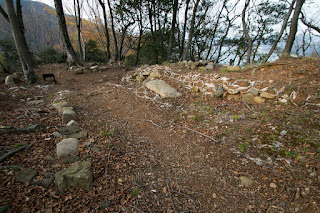 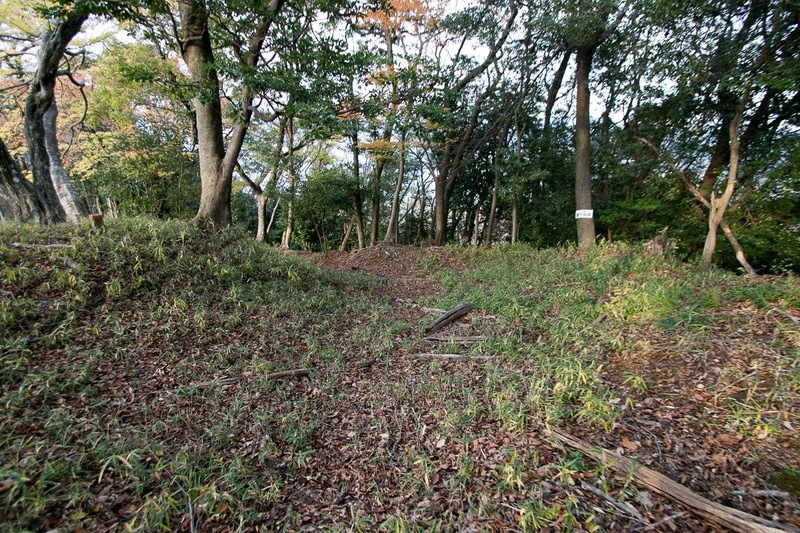 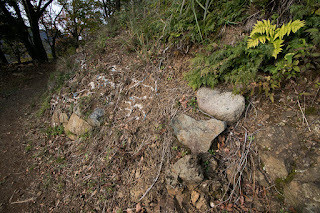 Central area at the top of the mountain is about 50 meter size square, and formerly covered by stone walls. 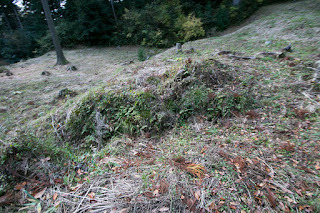 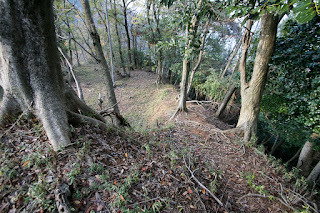 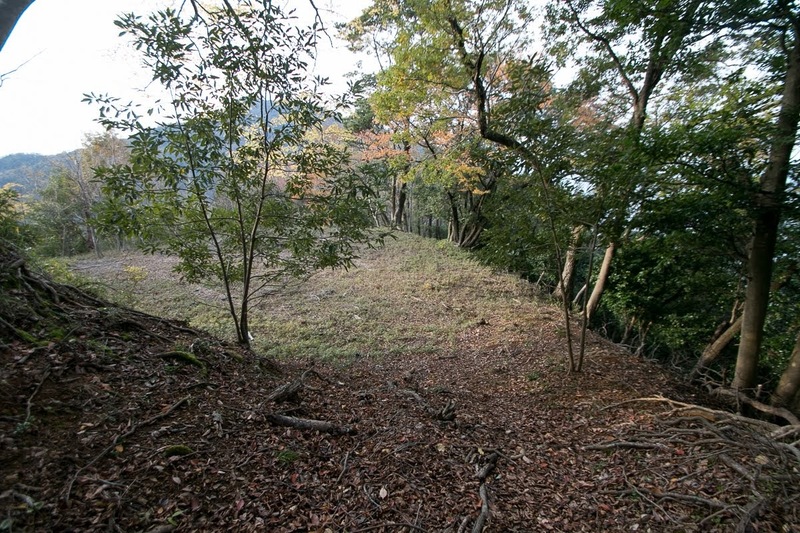 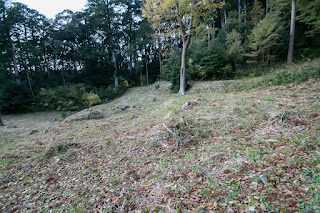 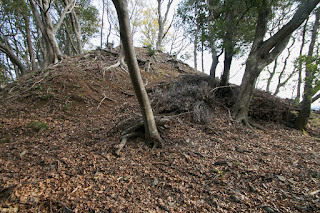 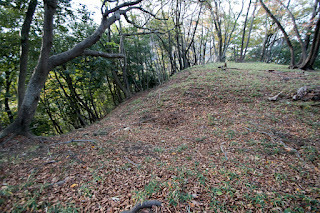 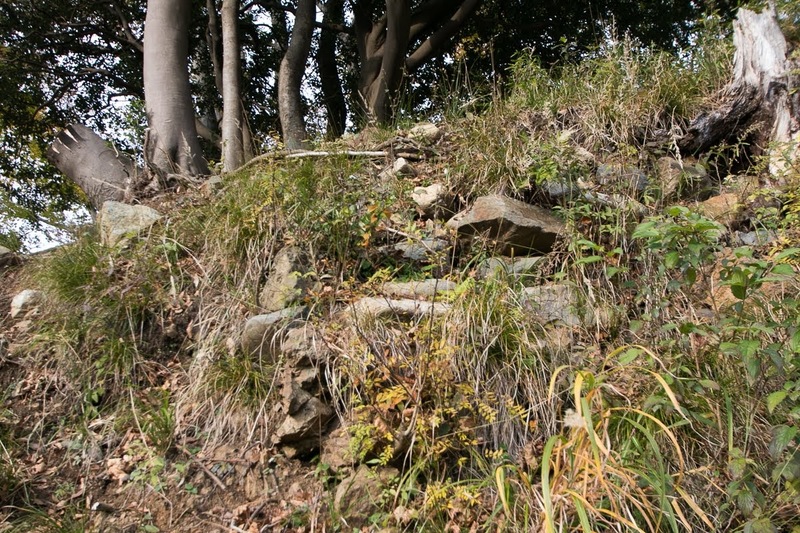 Terraces spread along the ridge for 200 meter, and secondary area was built at the halfway of the hill, as a entrance to the castle. At the hillside large terraces separated by stone walls were built, and this area was used as a residence of lords and upper class retainers. 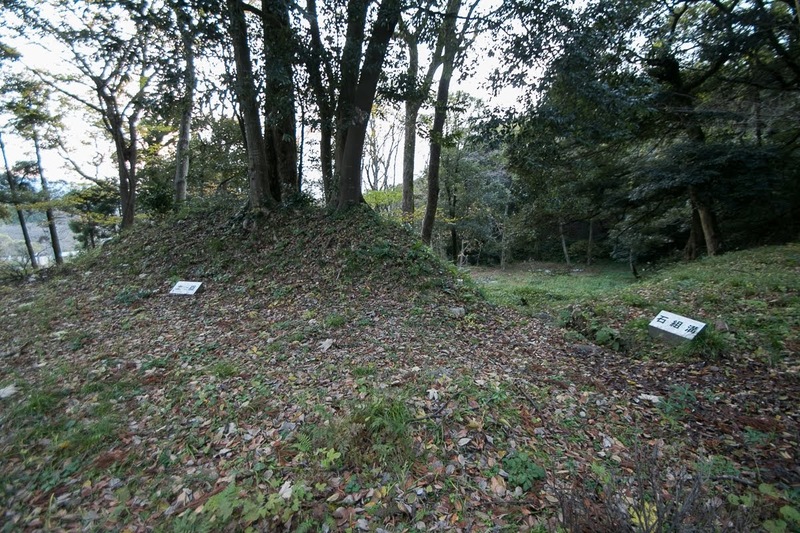 After the battle of Sekigahara, Kuniyoshi castle was held by Obama domain, but due to Ikkoku Ichijyo Rei (one country one castle rule) it was abolished at the beginning of Edo era. 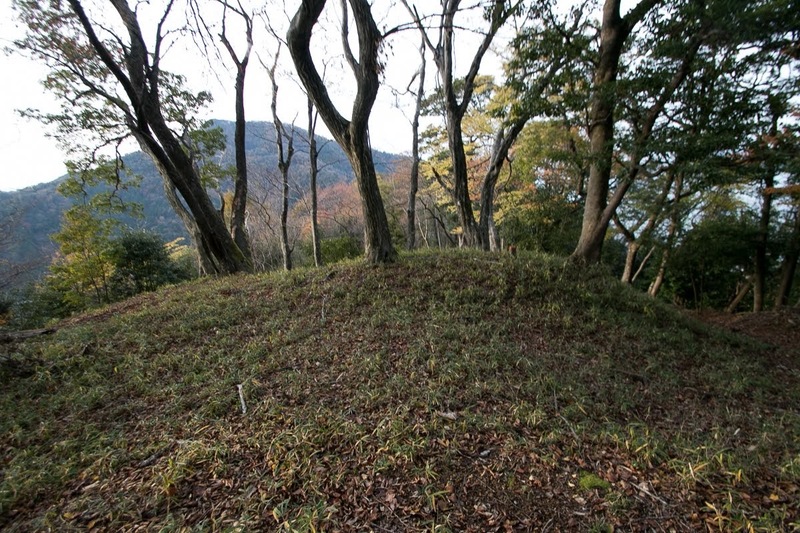 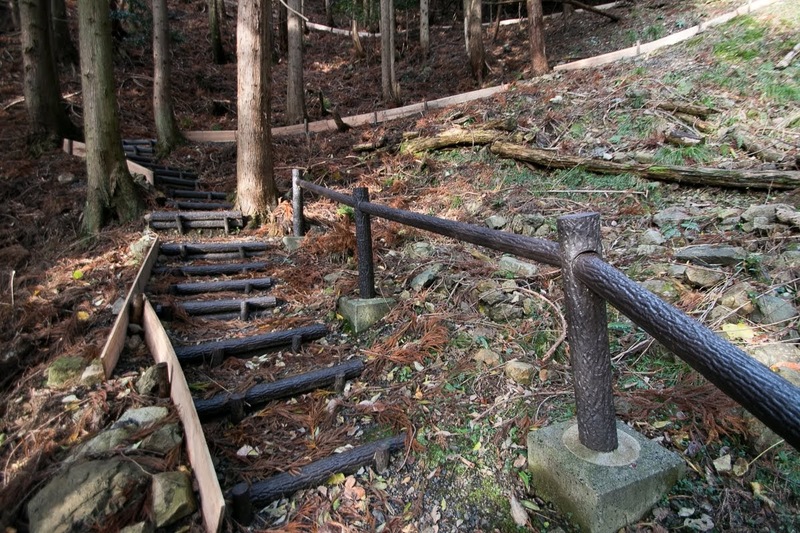 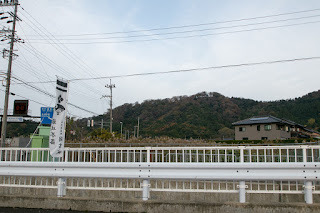 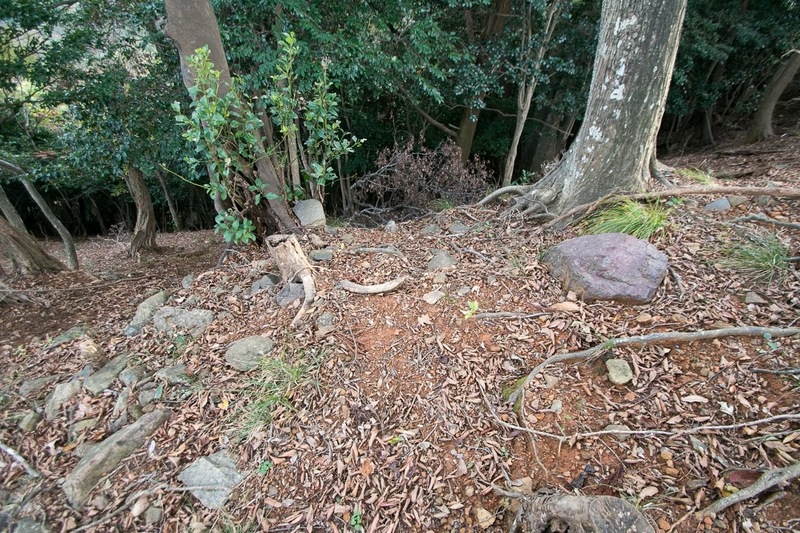 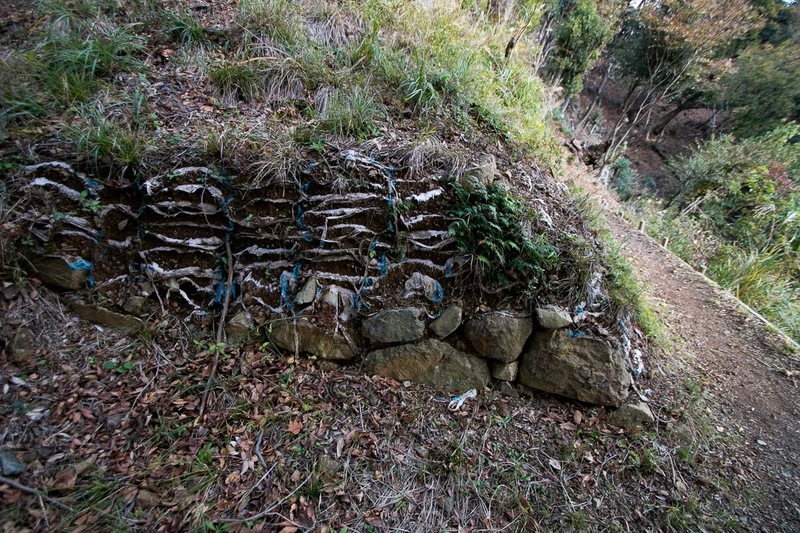 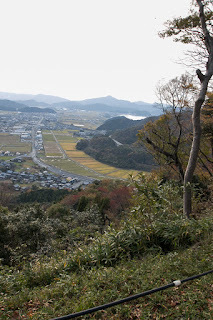 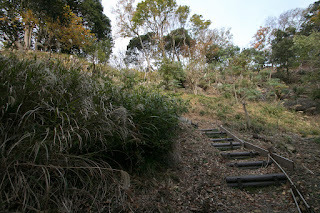 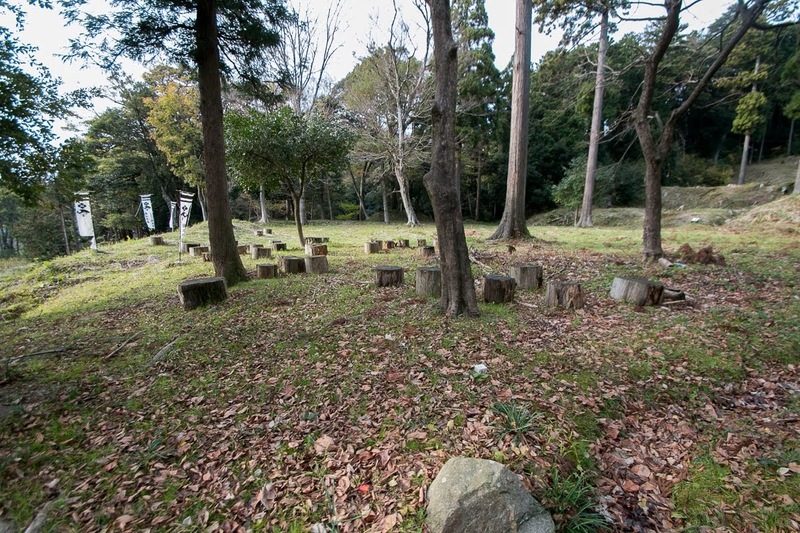 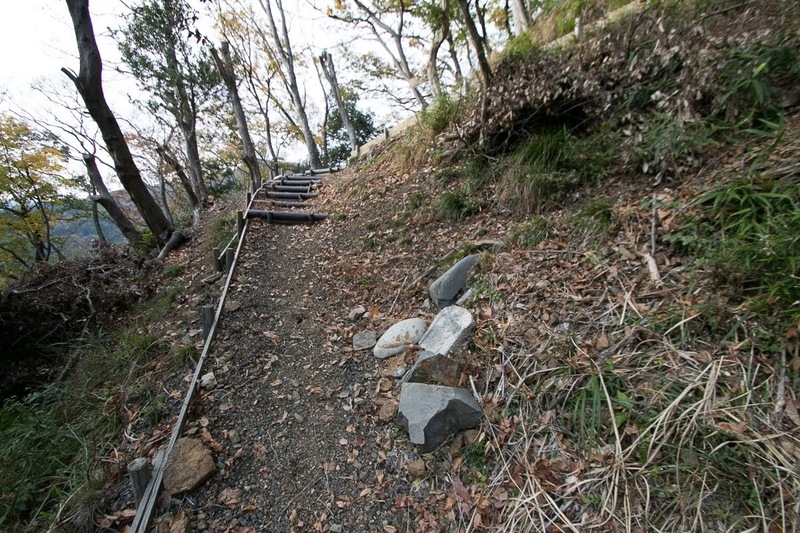 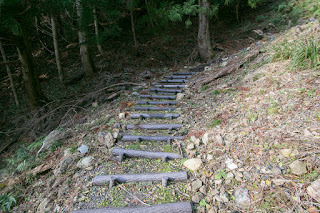 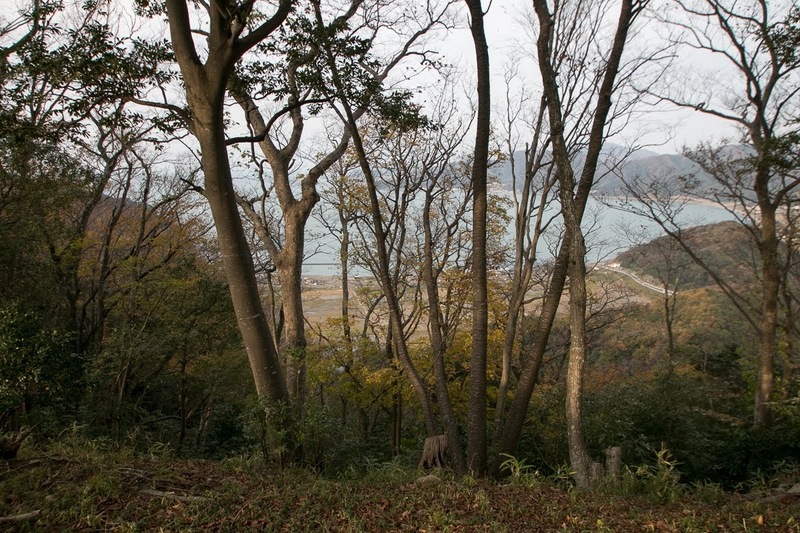 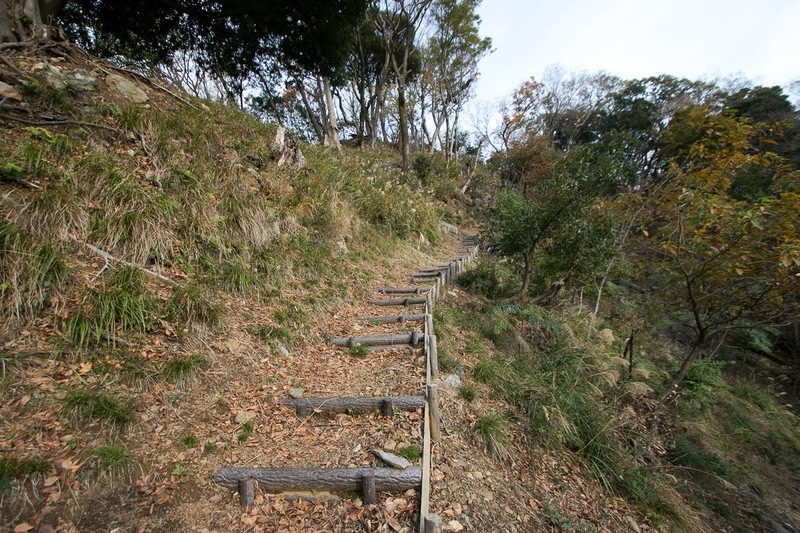 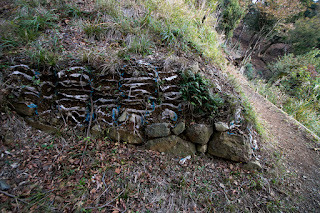 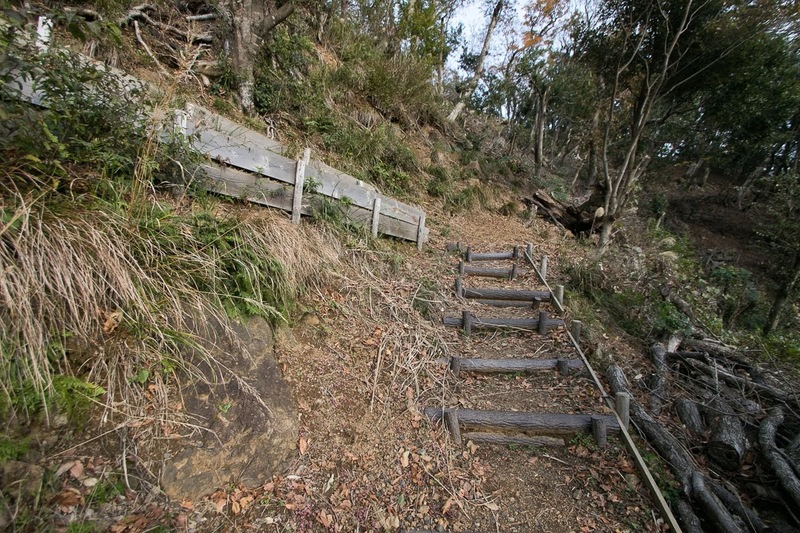 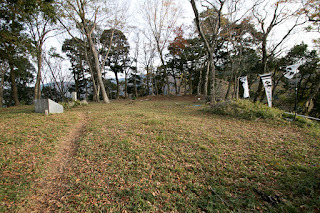 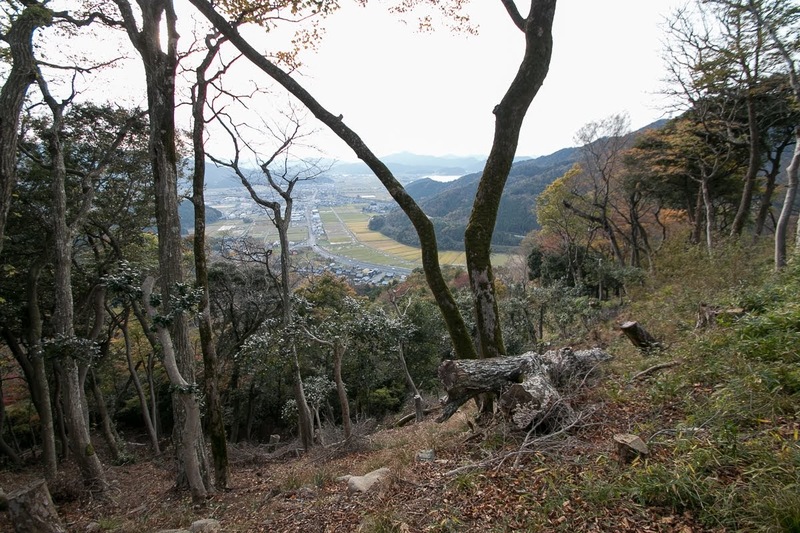 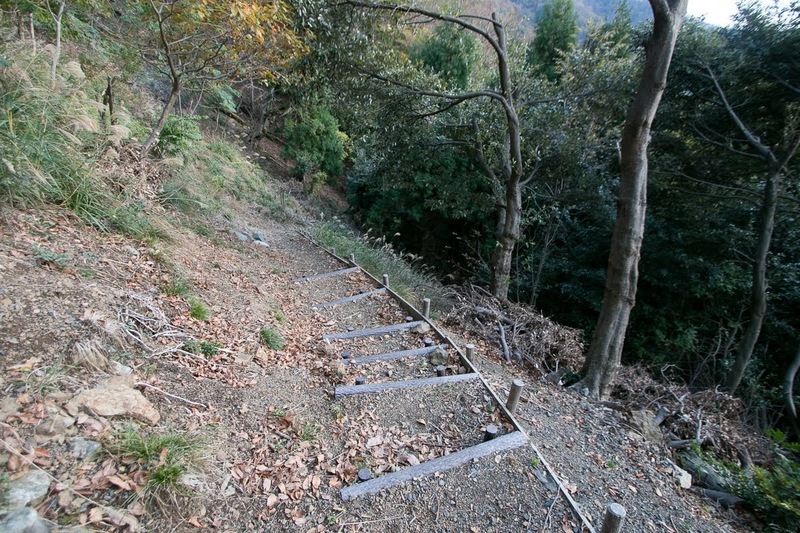 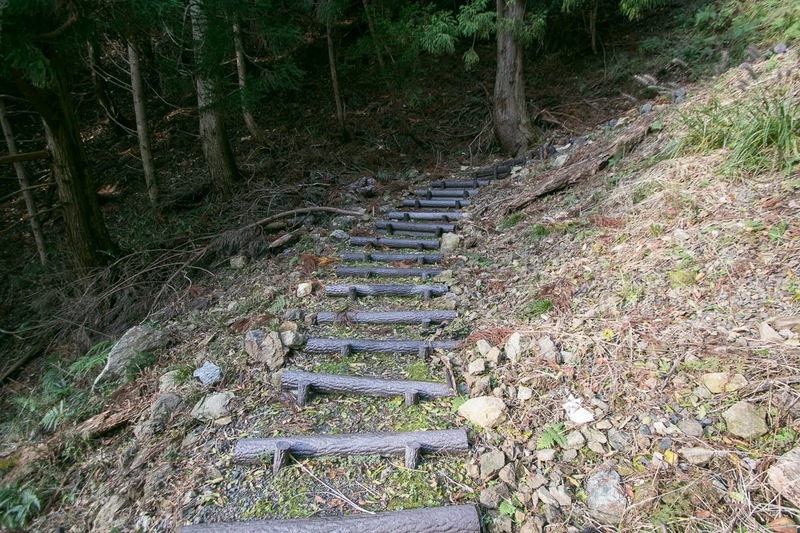 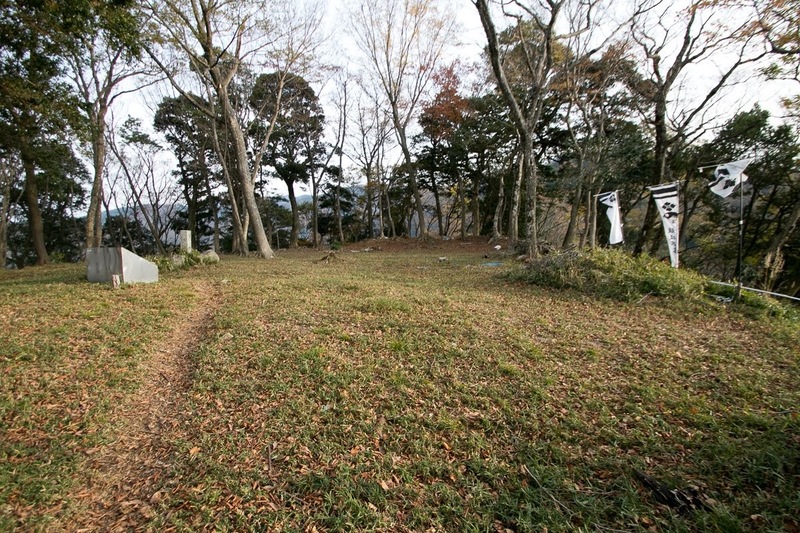 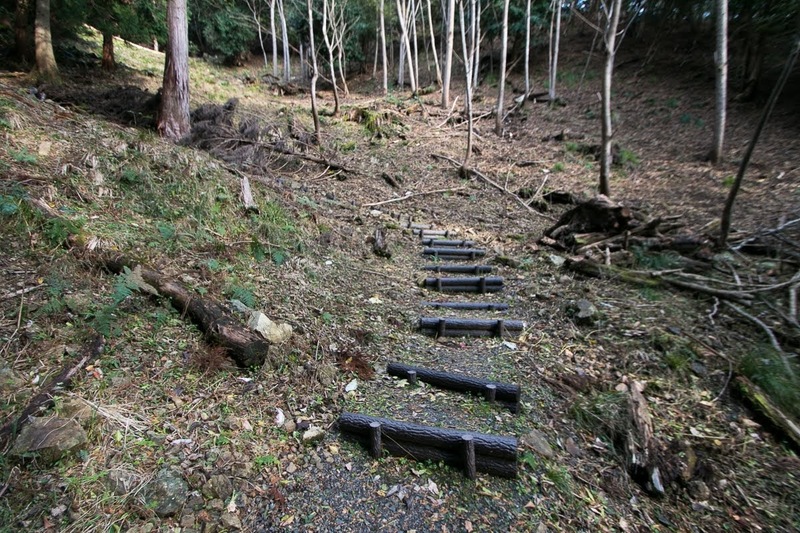 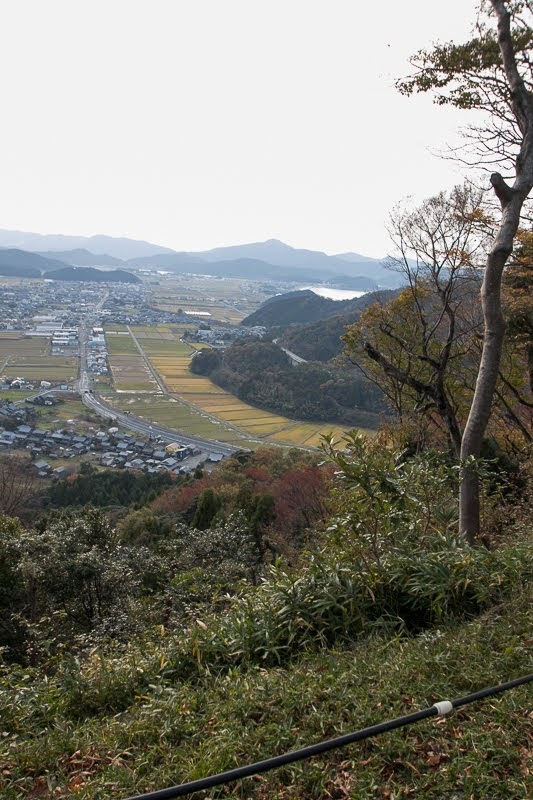 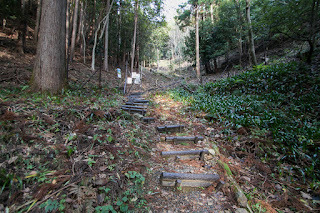 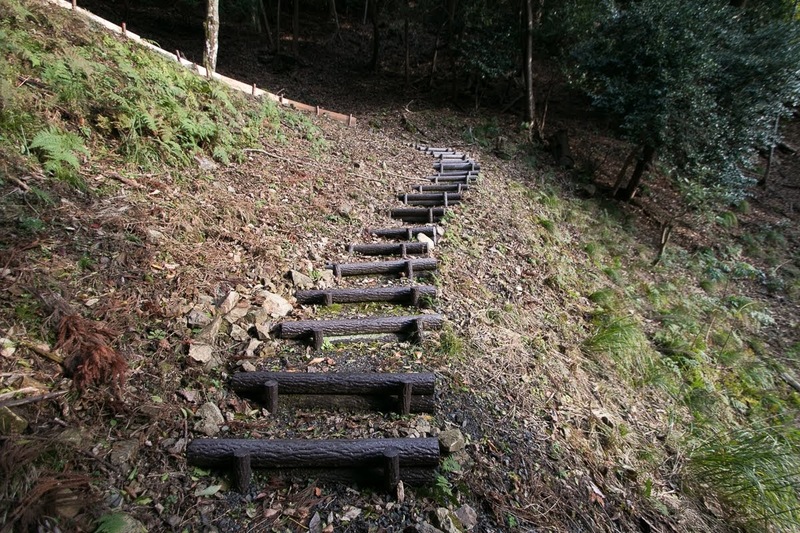 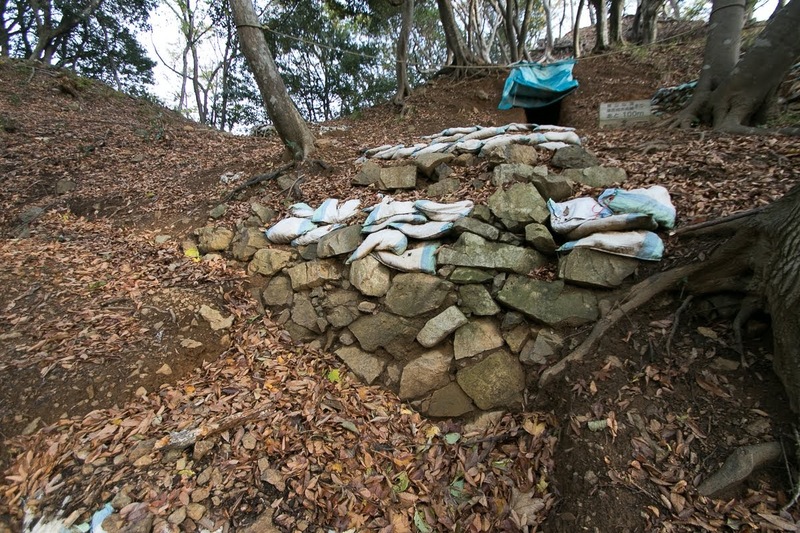 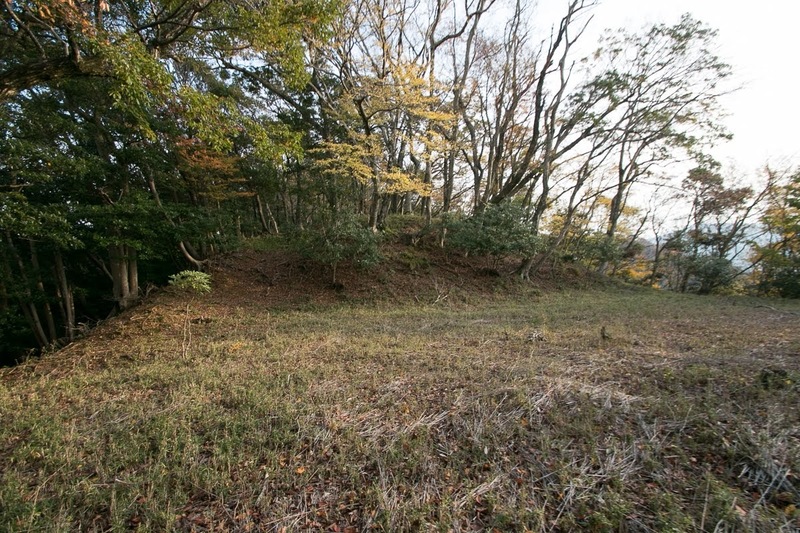 Local office was built at the foot of the mountain, and castle town named Sakaki town continuously prospered without castle as an important place of eastern Wakasa province. 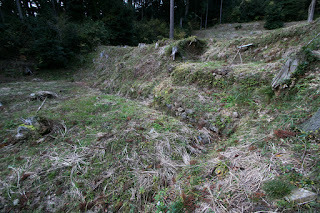 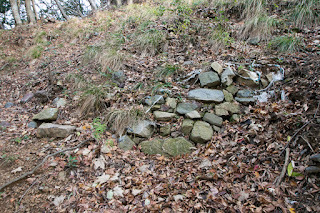 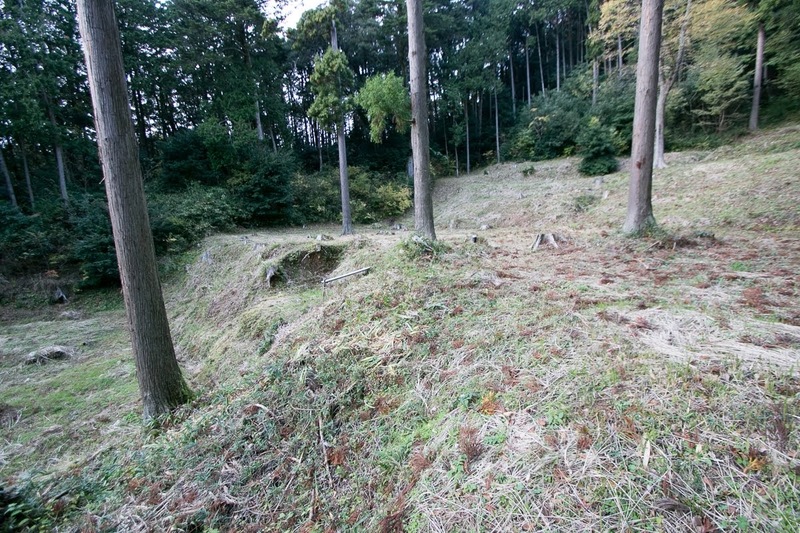 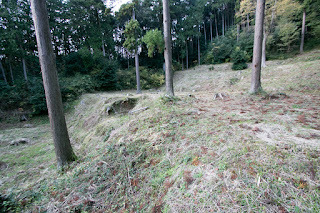 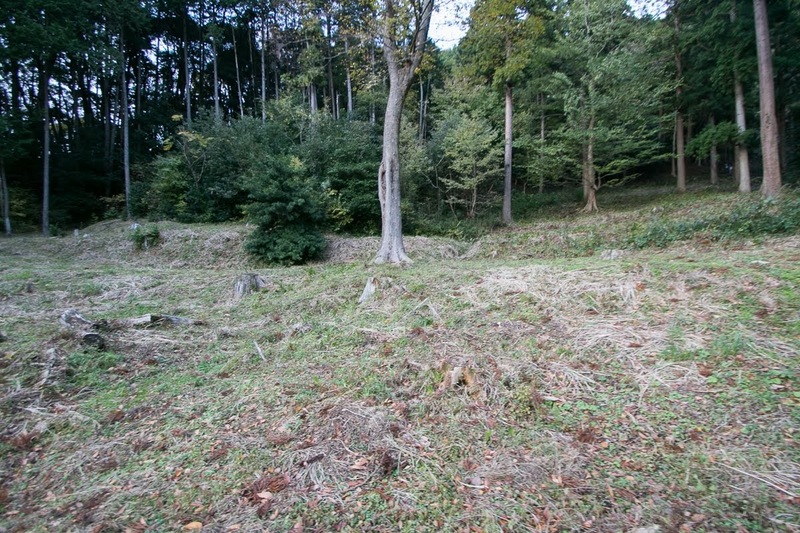 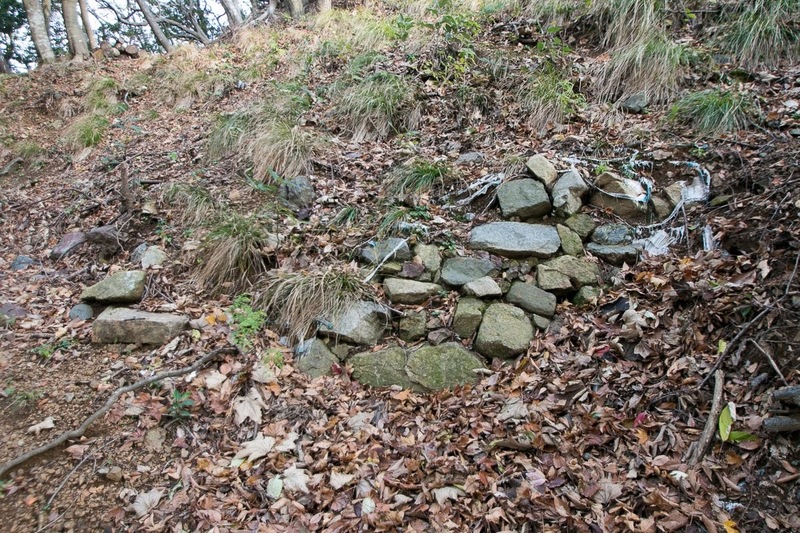 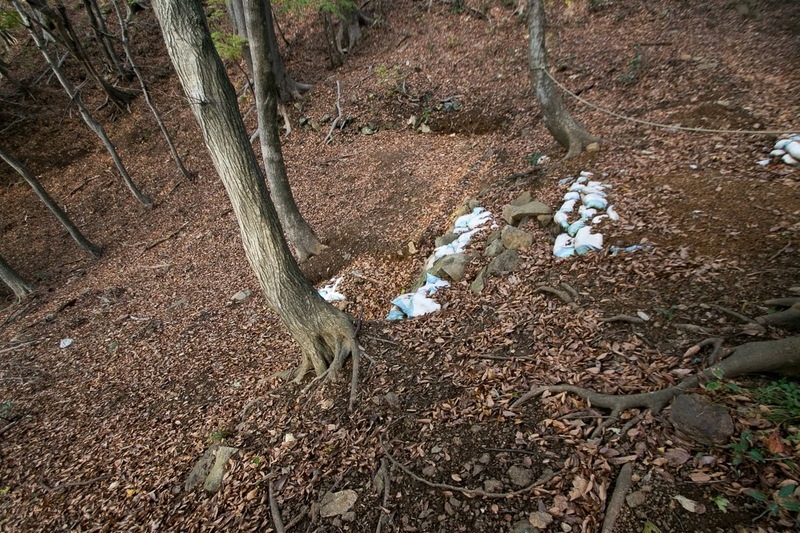 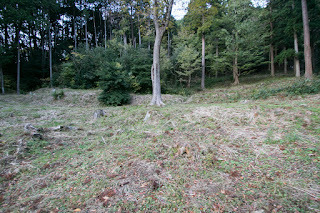 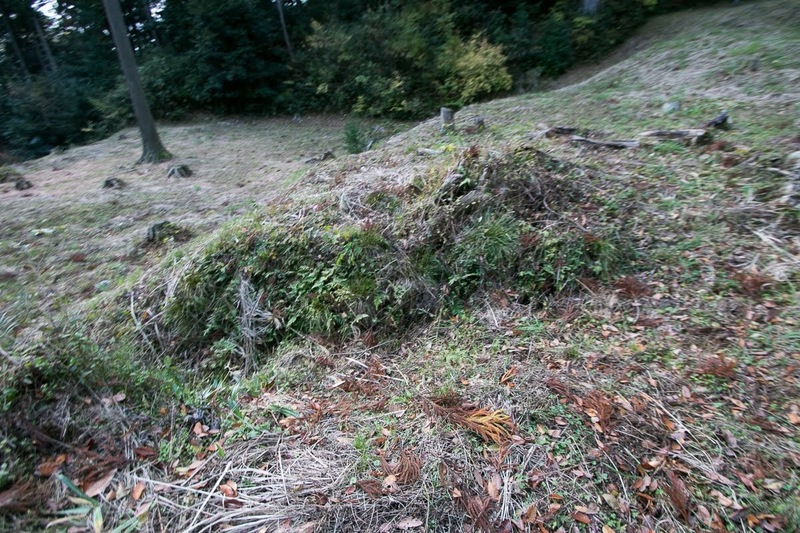 Now all building were lost but terrain of the castle well remain, and investigation and improvement of the site is proceeding. 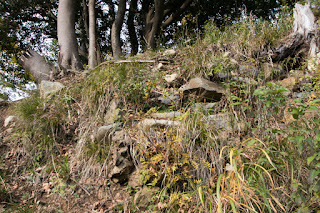 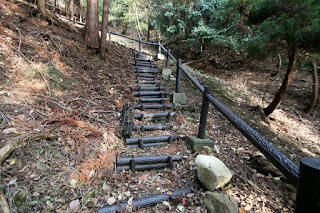 We can still imagine the security of the castle by steep steps into the castle and broken stone walls. 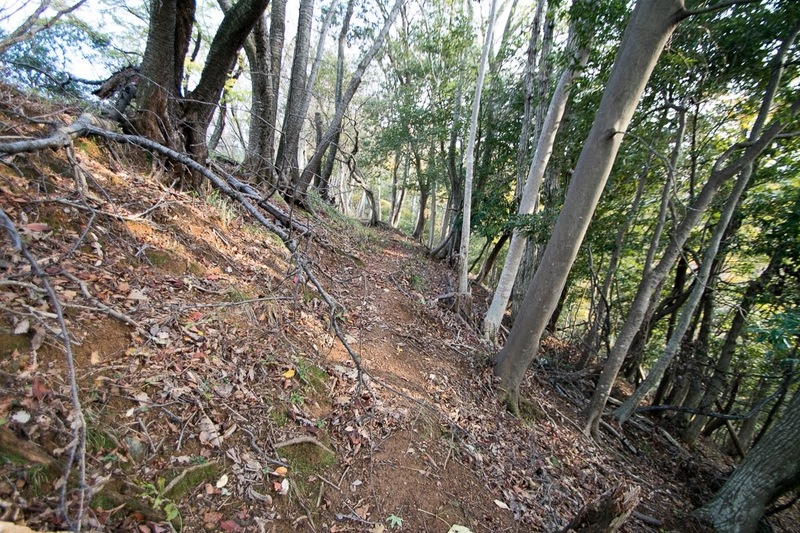 20 minutes walk from JR West Obama-sen line Mihama station. 10 minutes drive from Maizuru-Wakasa Jidoshado Expressway Wakasa-Mihama interchange. 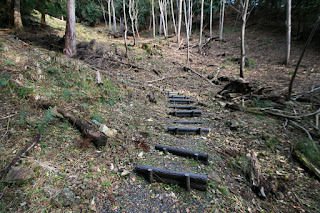 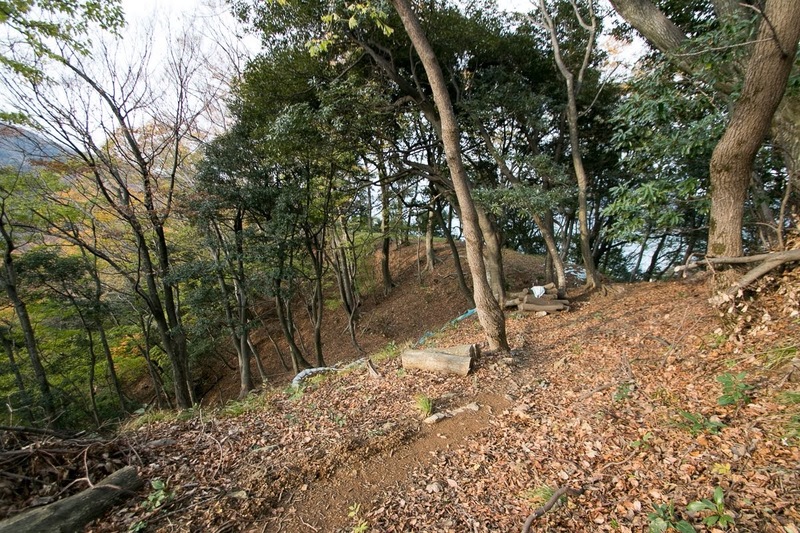 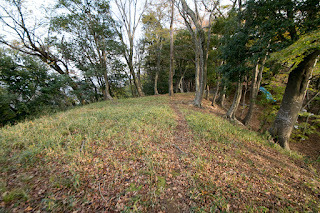 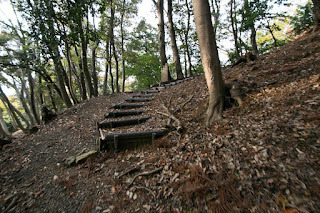 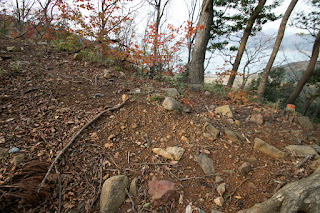 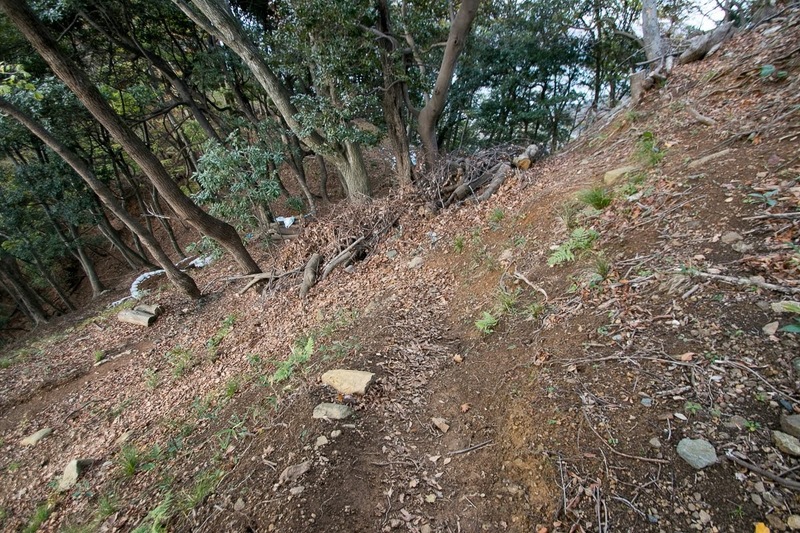 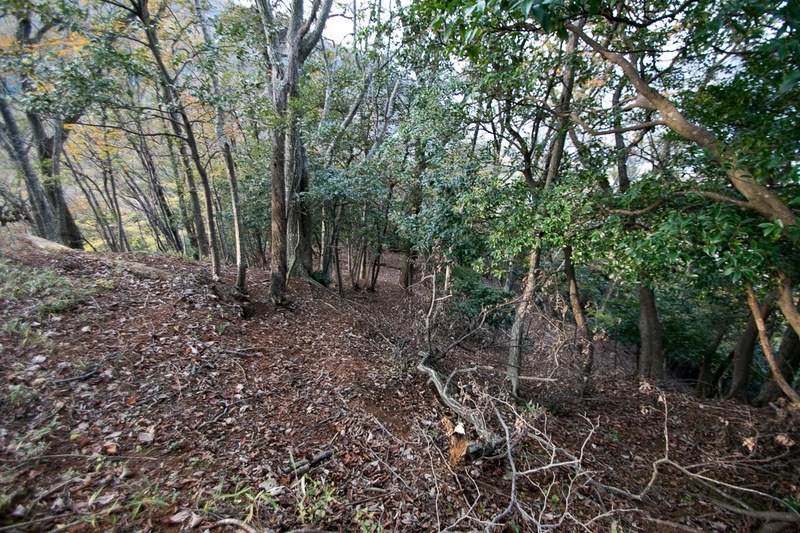 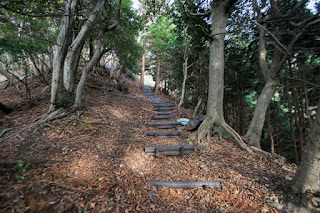 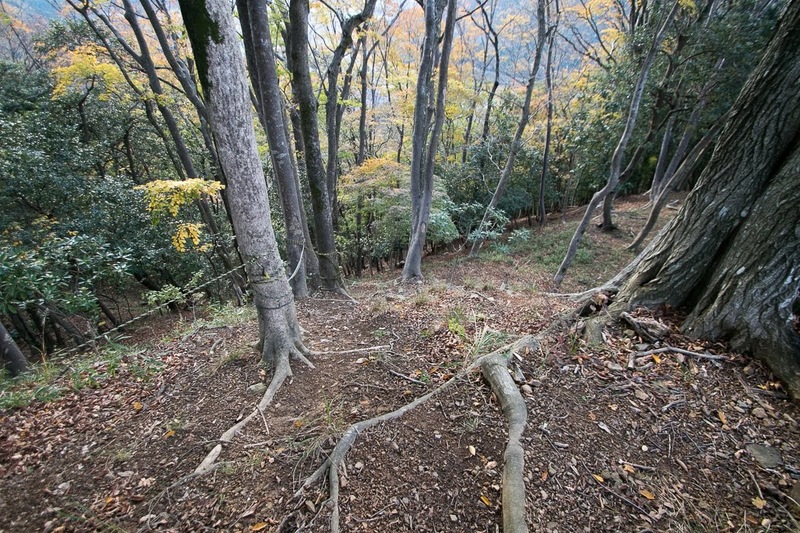 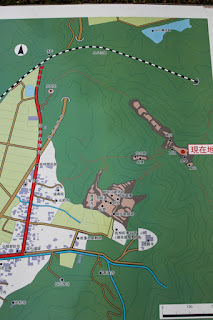 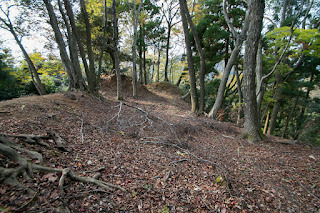 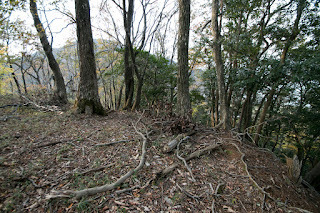 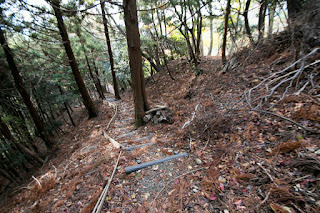 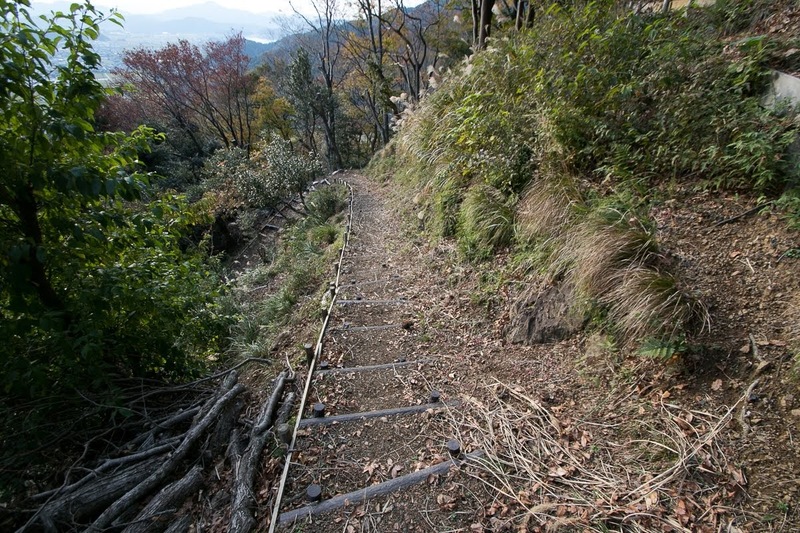 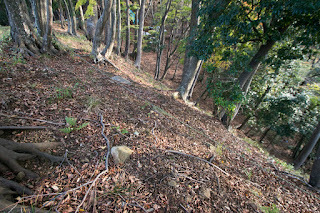 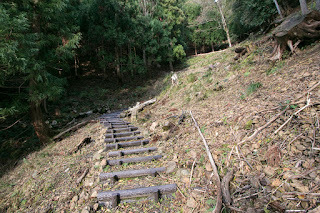 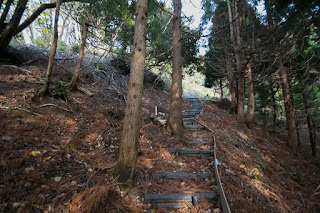 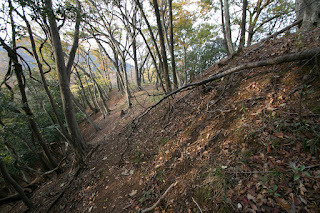 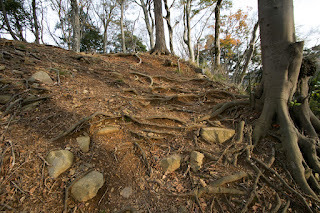 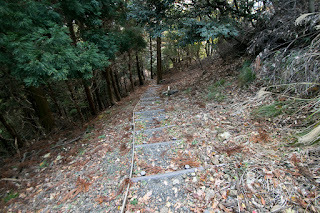 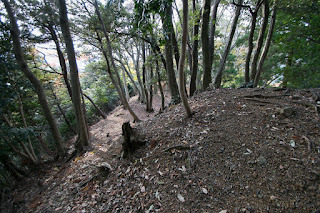 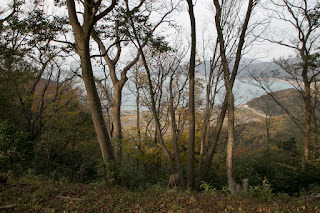 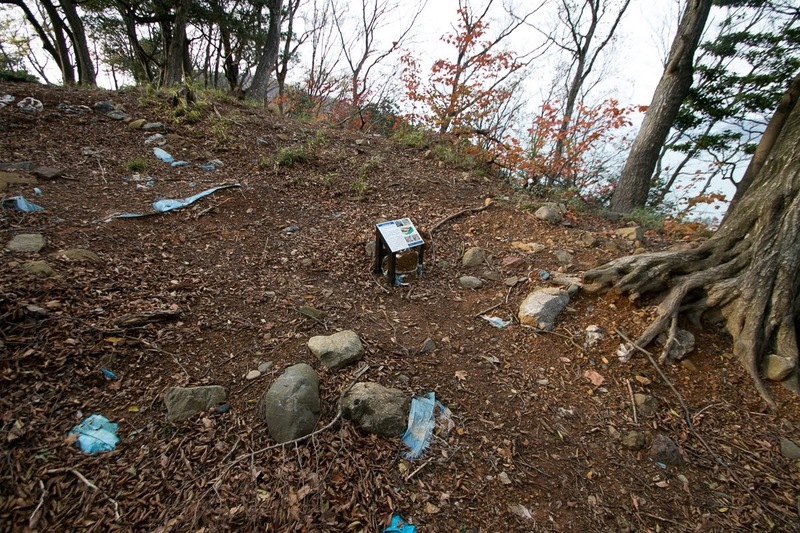 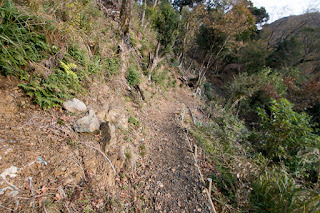 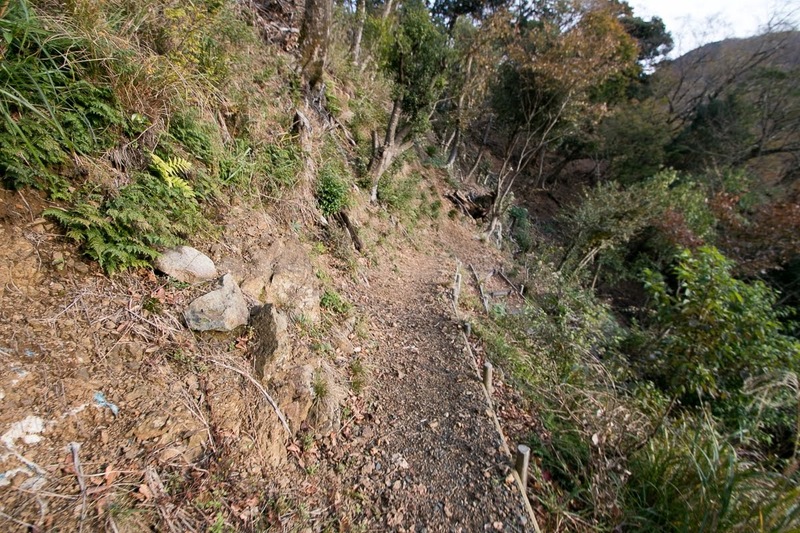 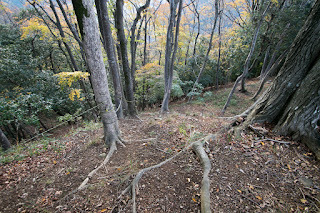 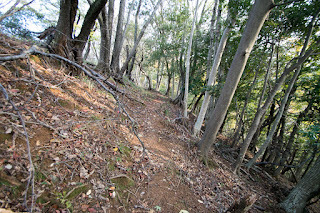 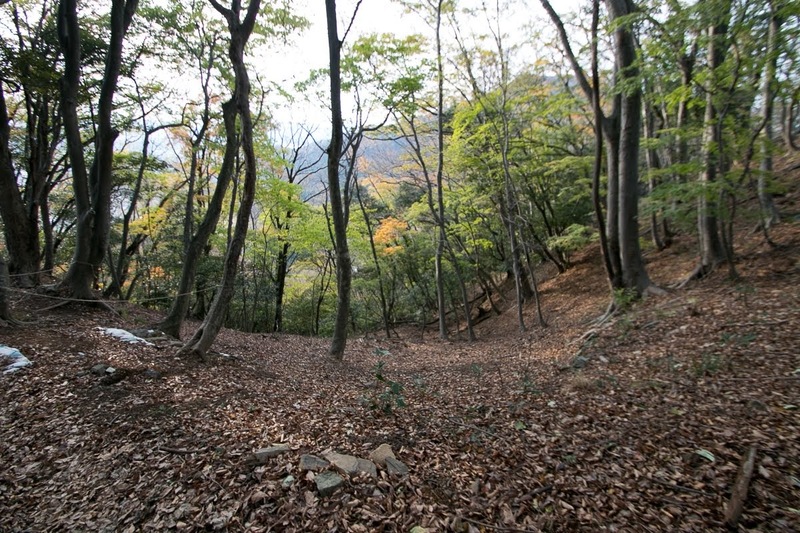 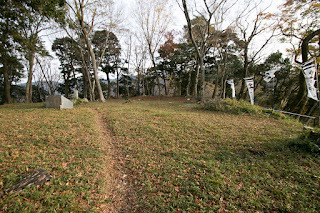 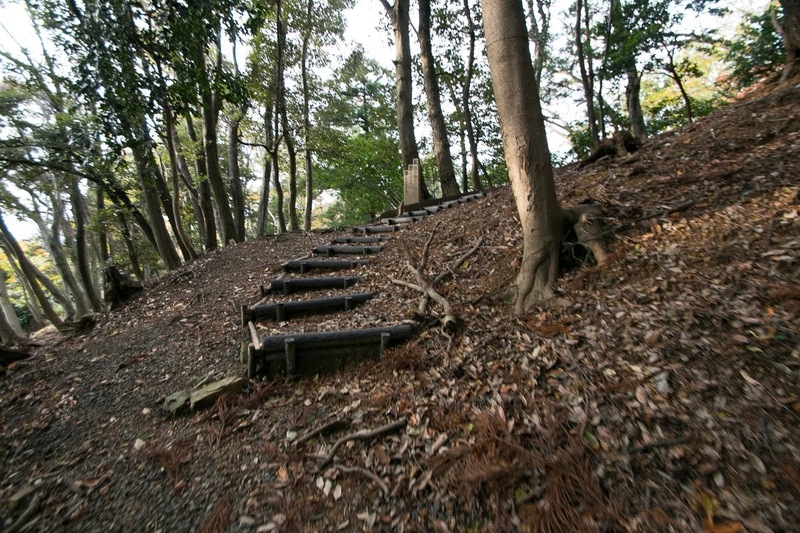 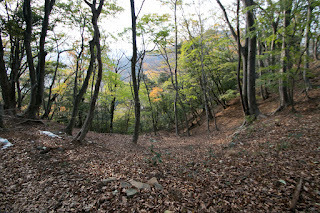 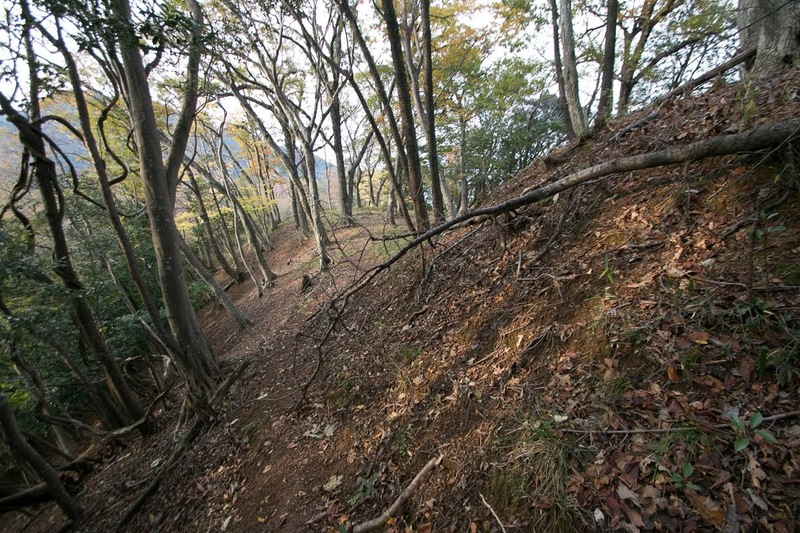 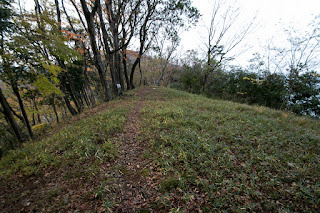 30 minutes walk from hillside entrance to hilltop castle.